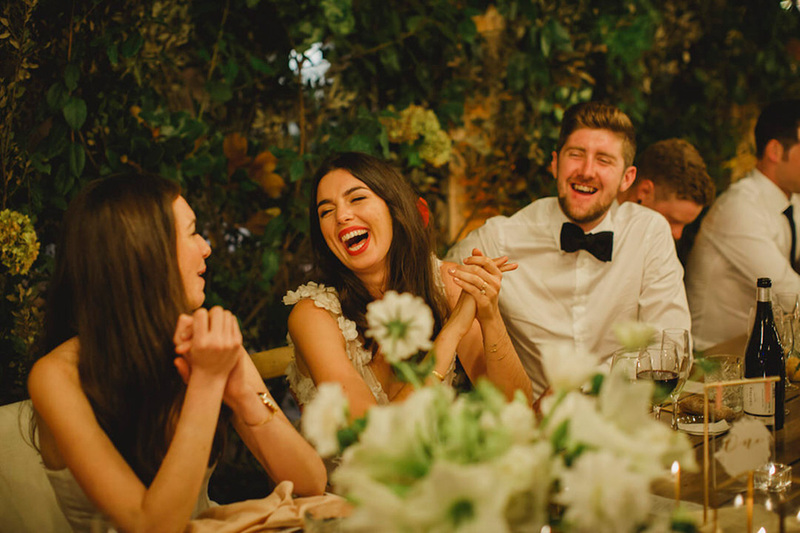 There are two types of people in the world: Good People and all the rest. 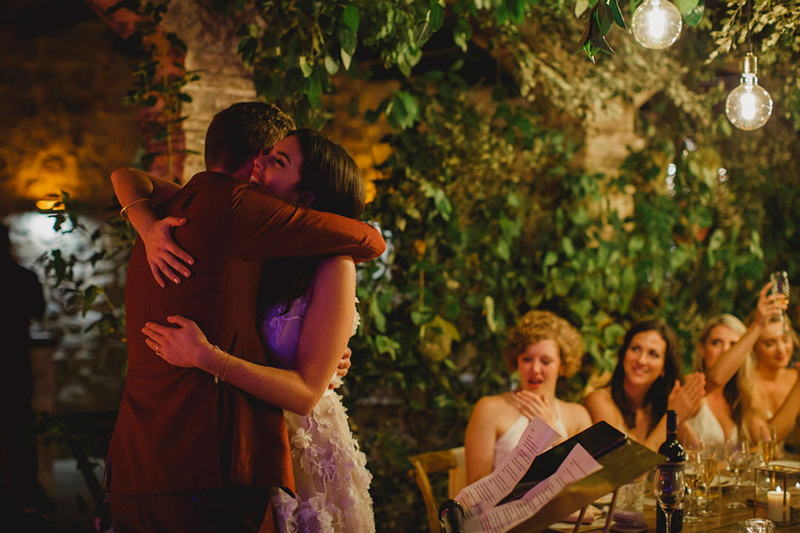 Lara and Luke are Good People. 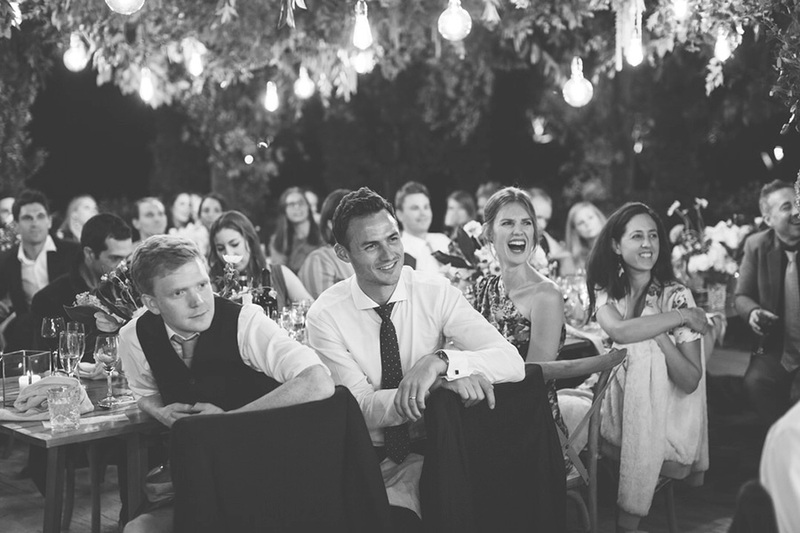 They are the kind of couple that brings happiness to their family, to their friends and to the people they work with. 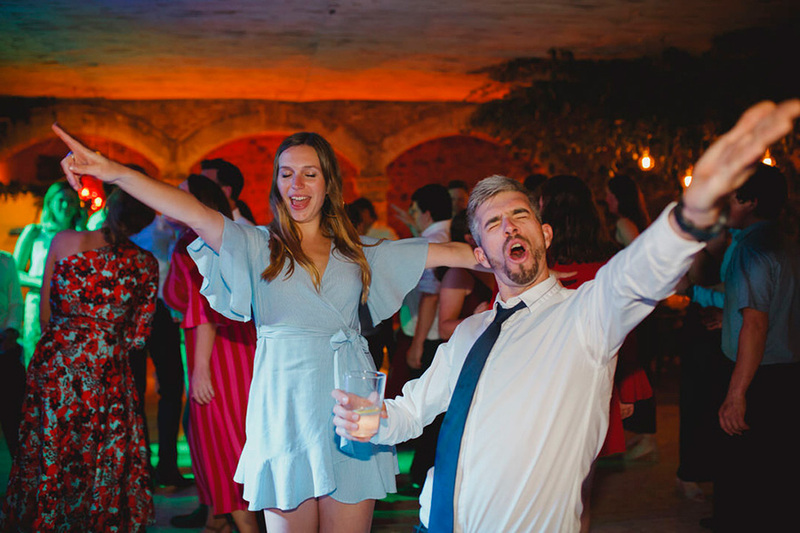 This feeling was in the air. 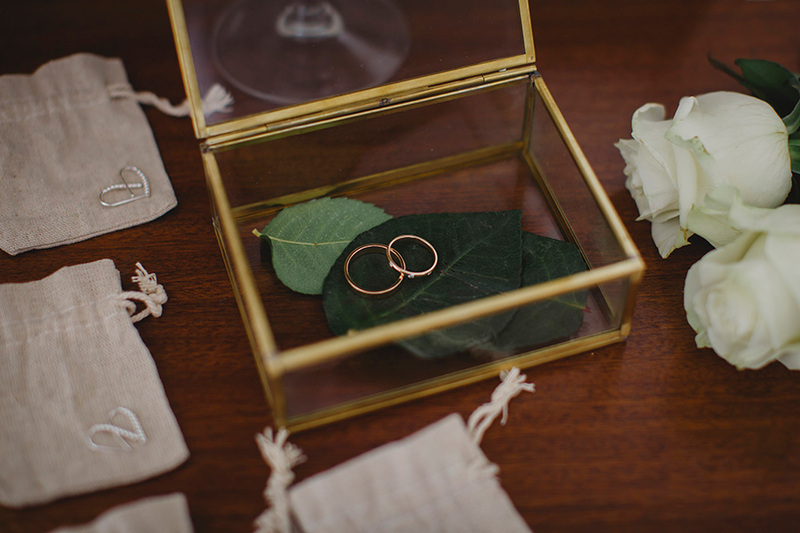 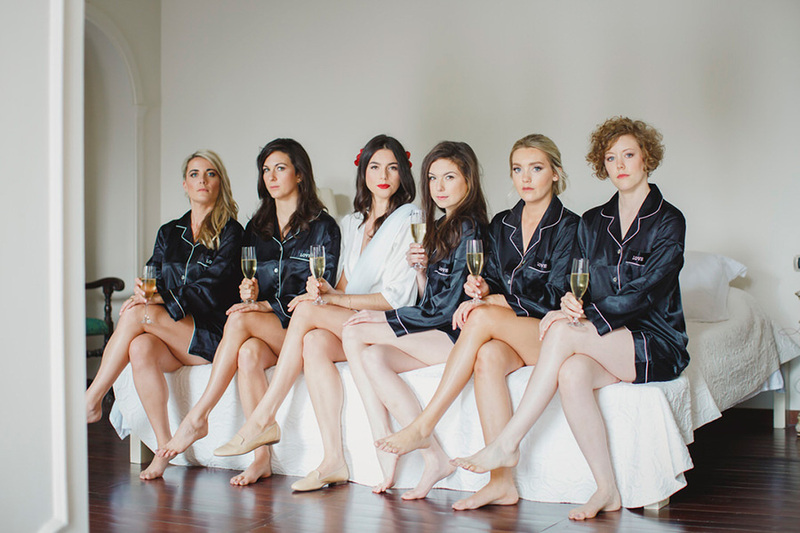 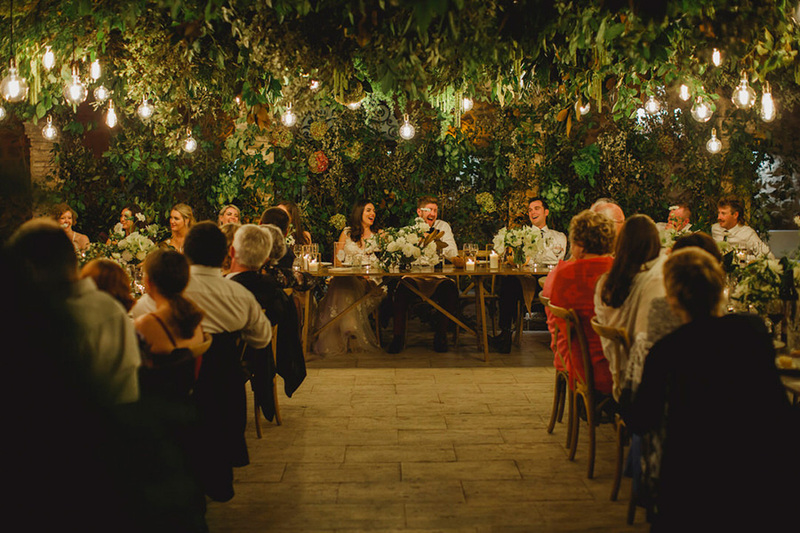 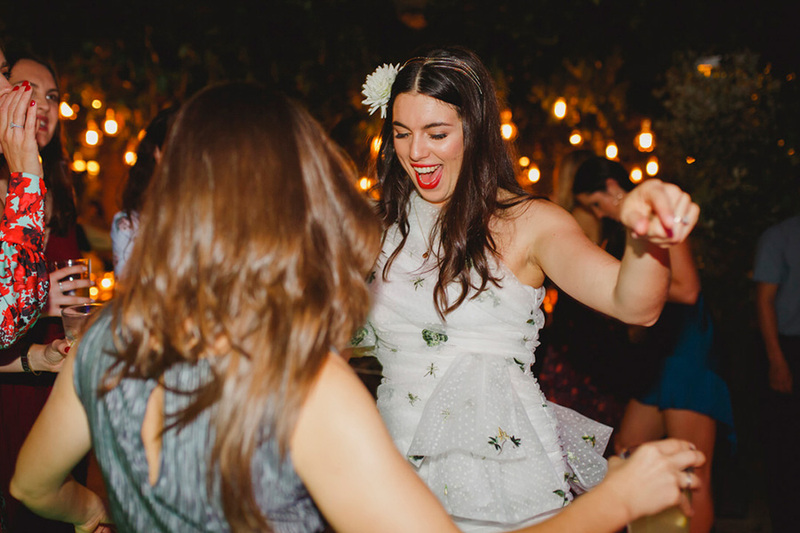 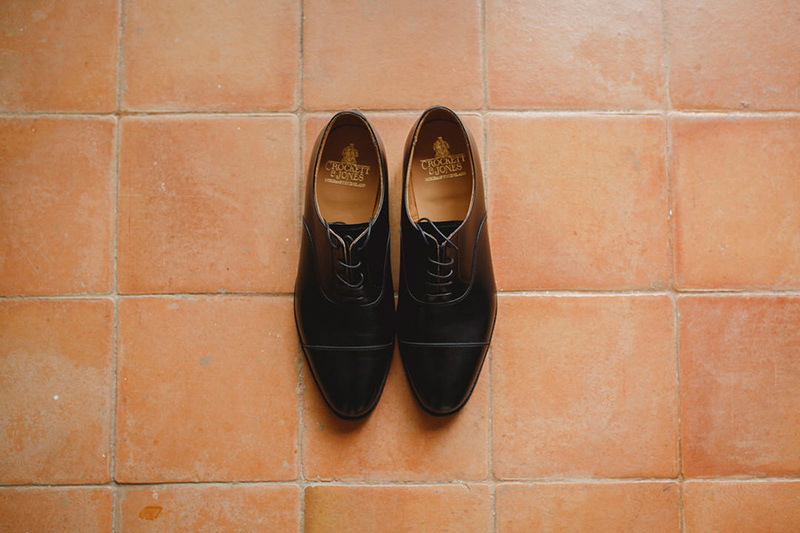 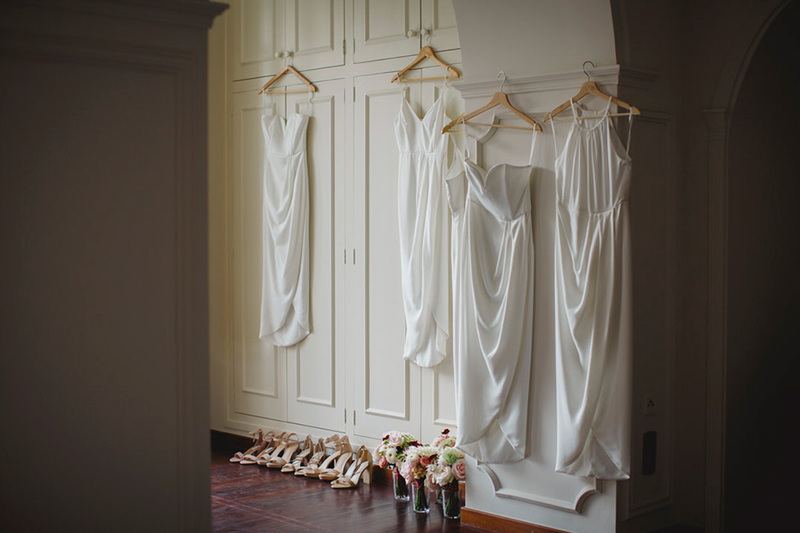 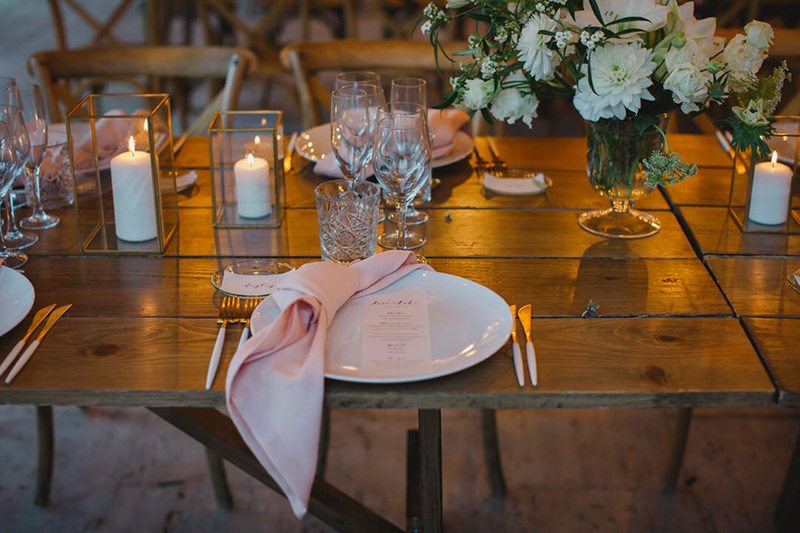 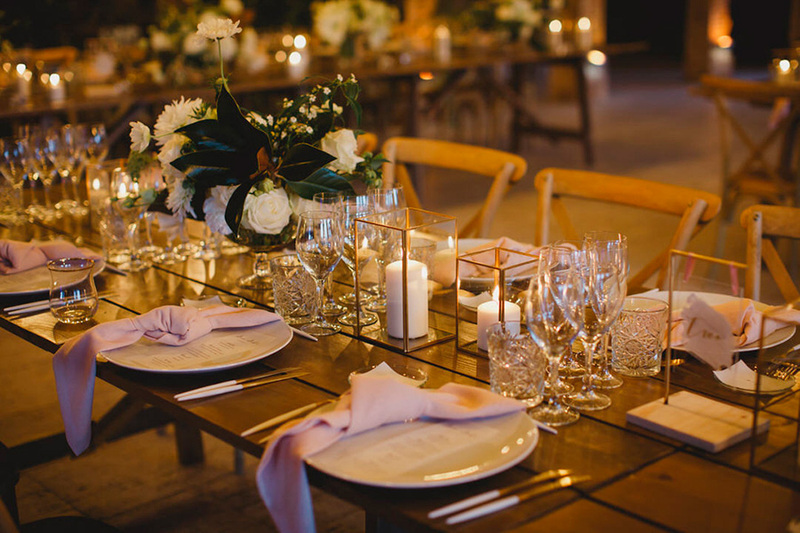 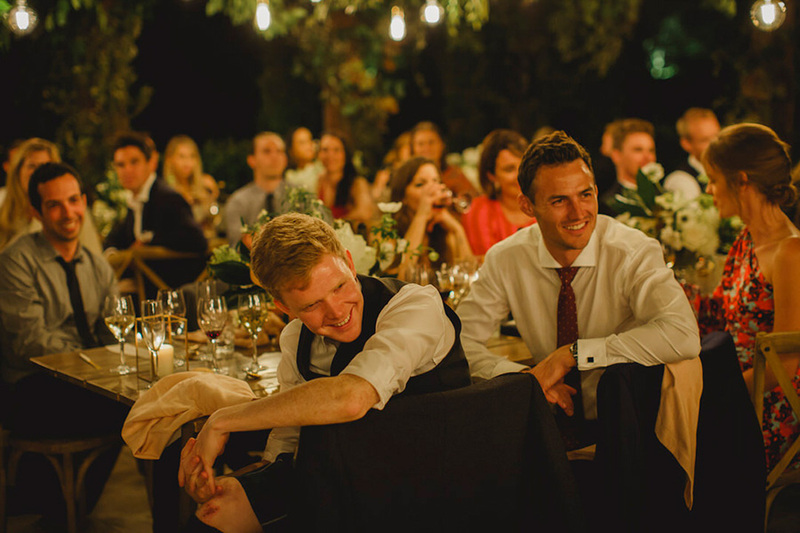 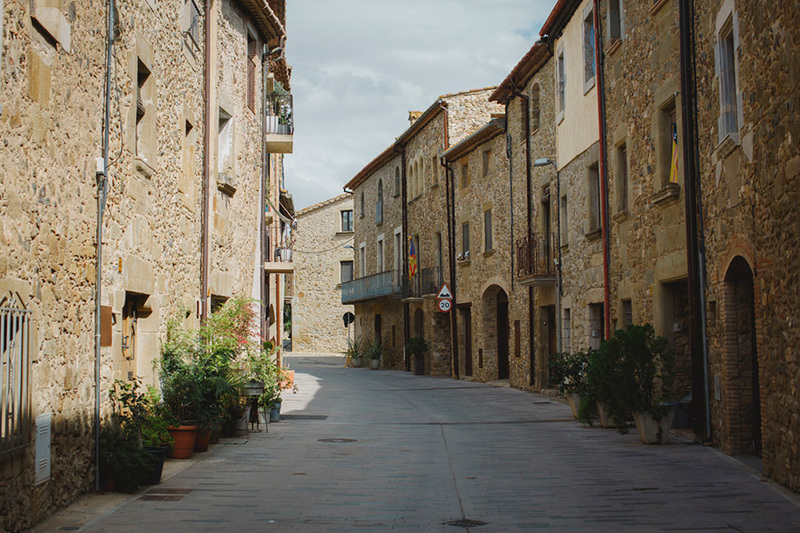 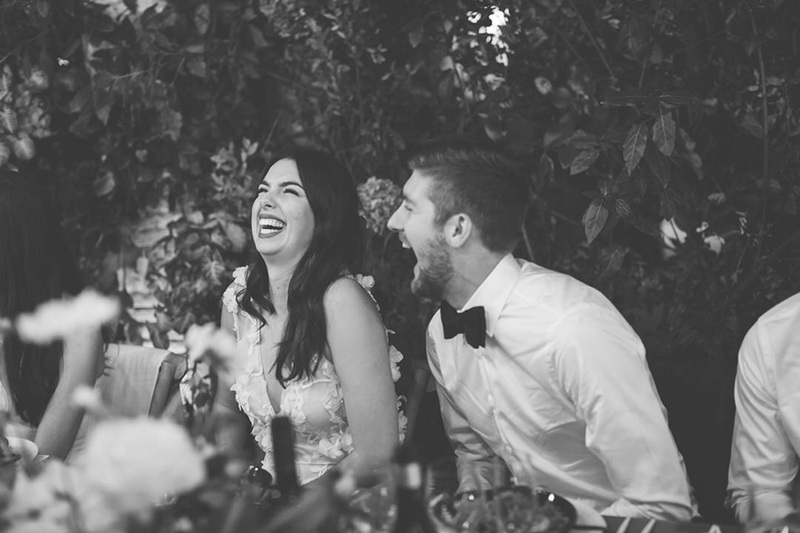 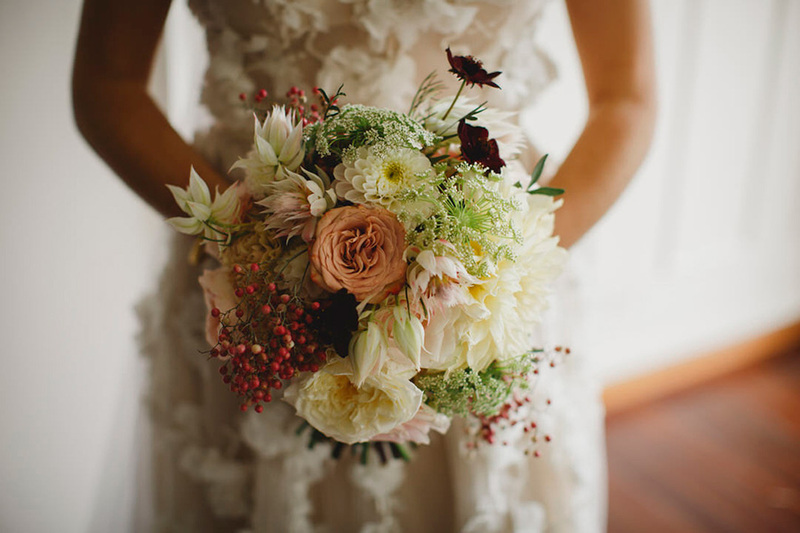 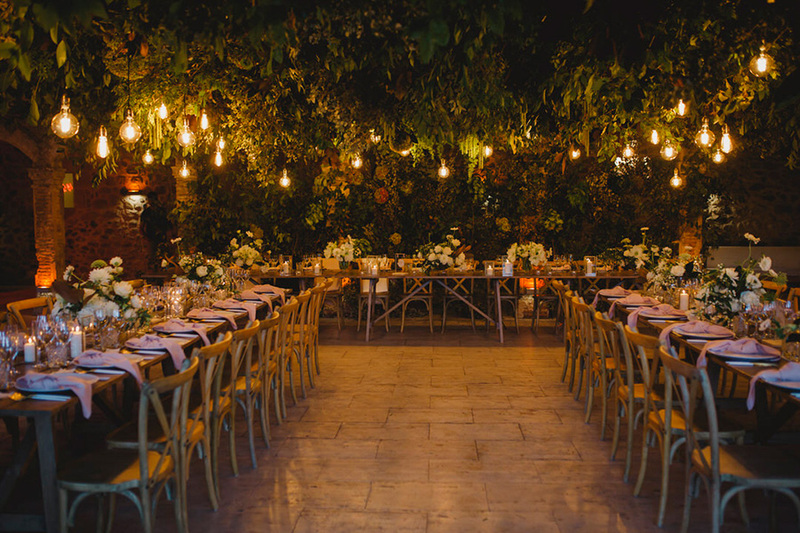 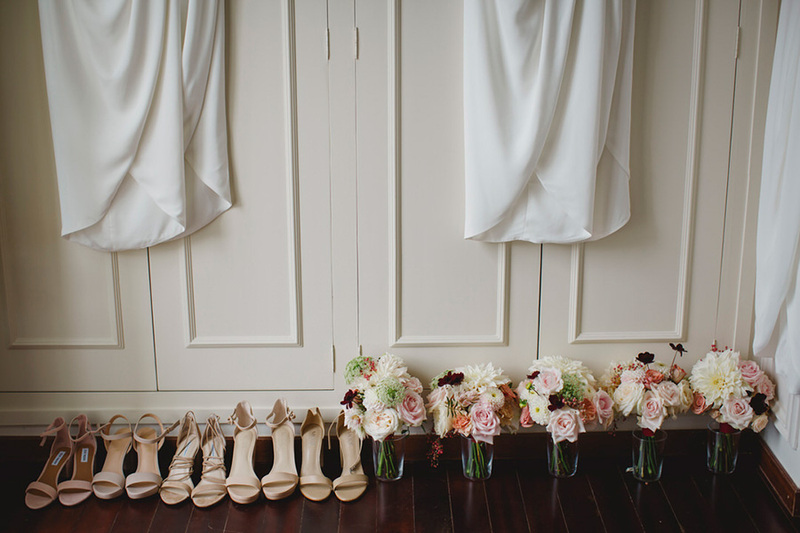 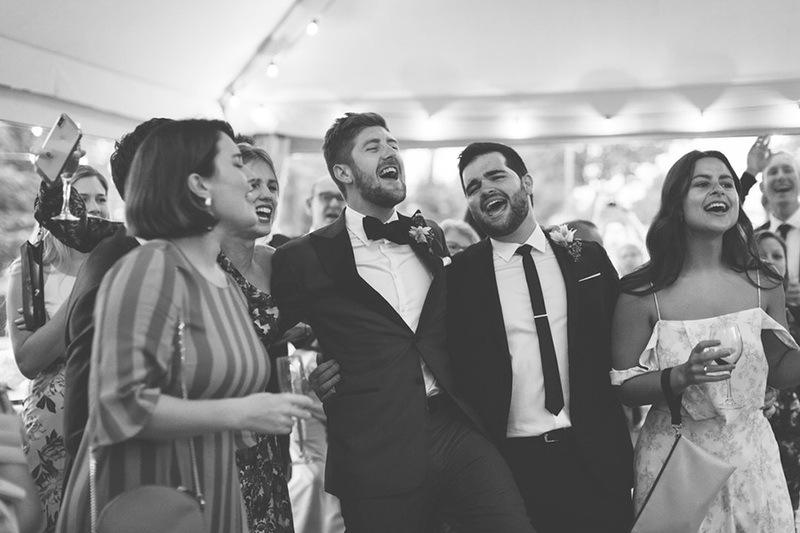 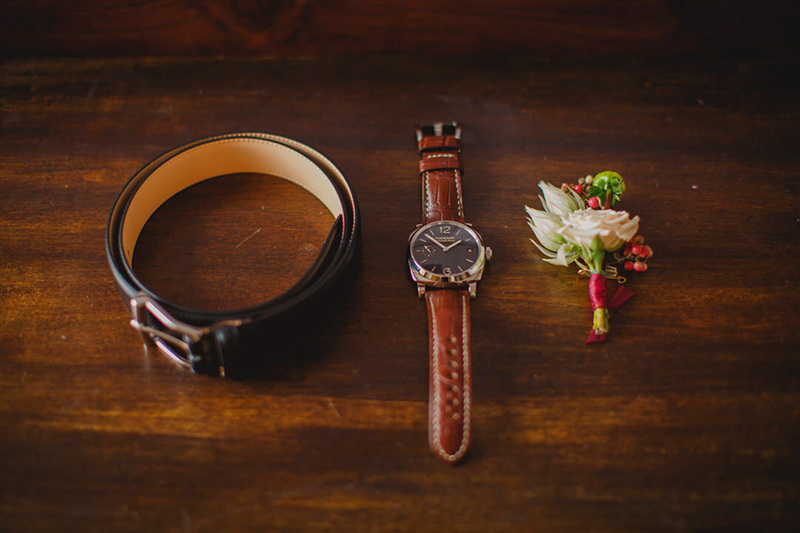 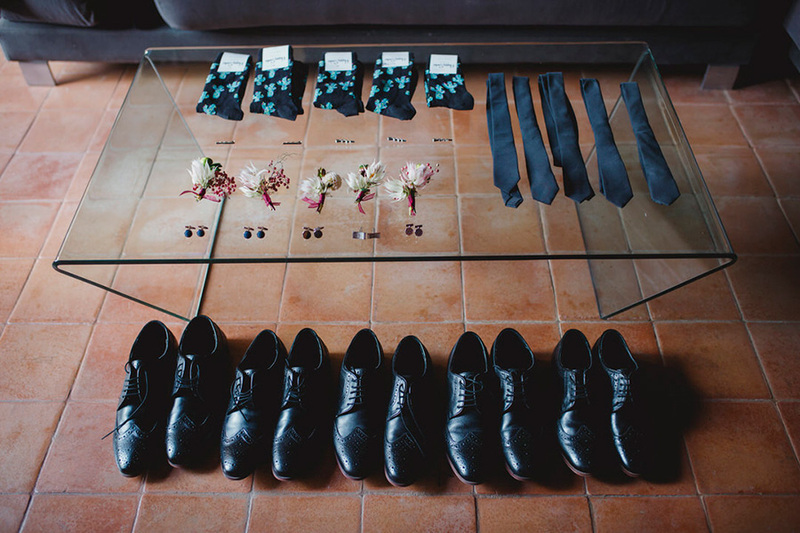 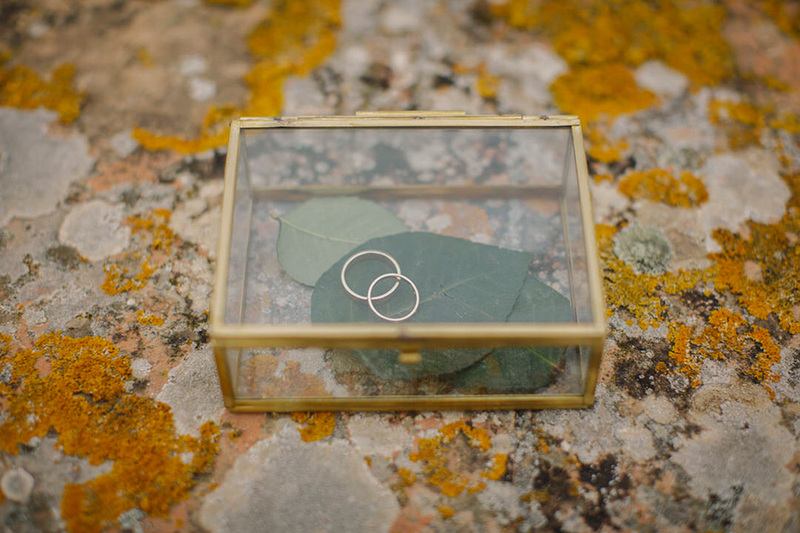 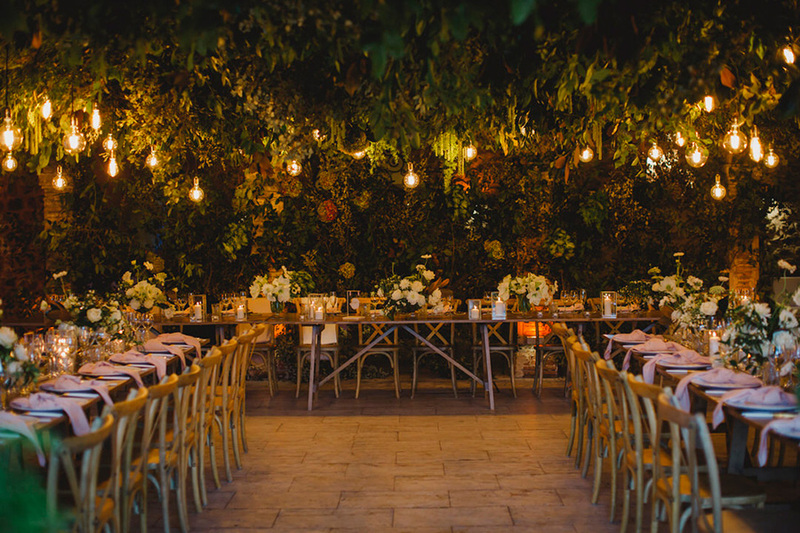 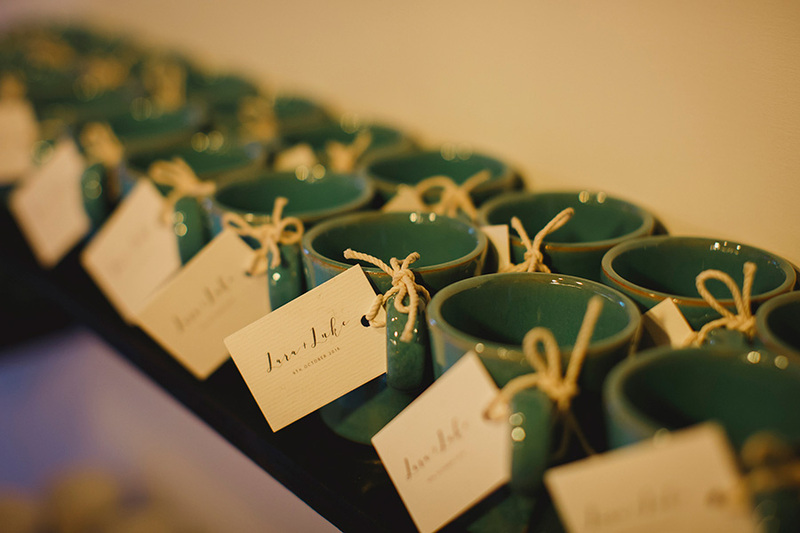 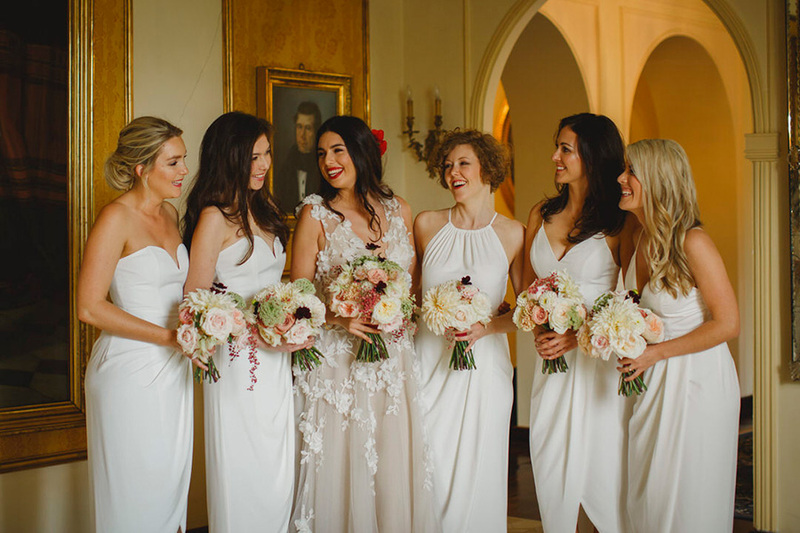 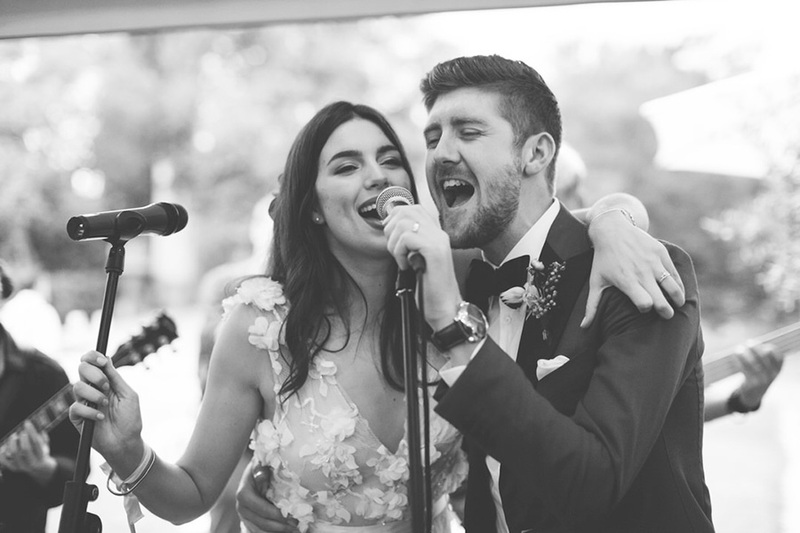 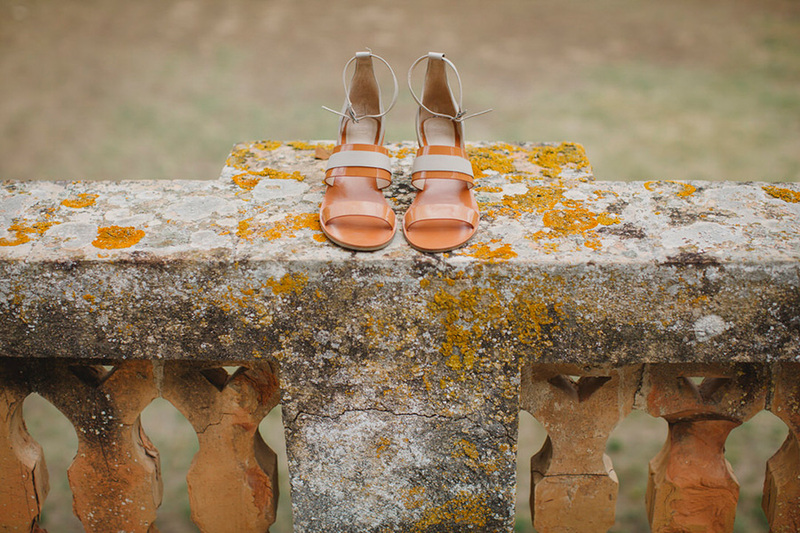 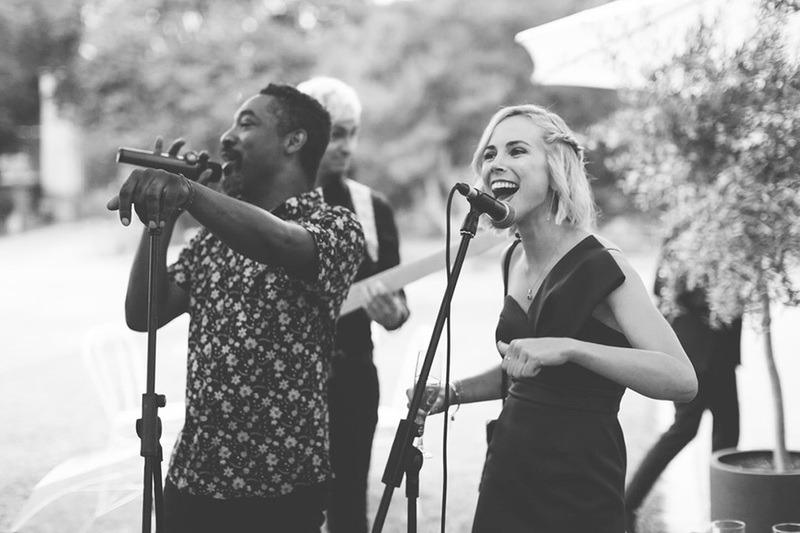 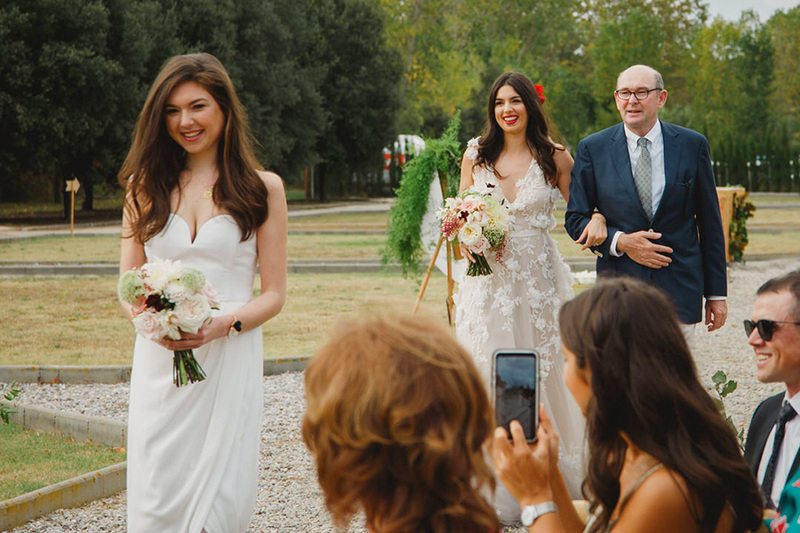 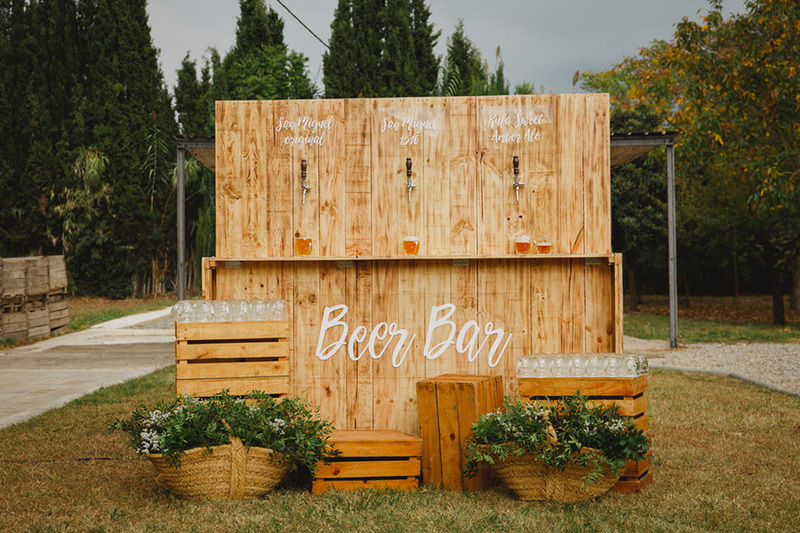 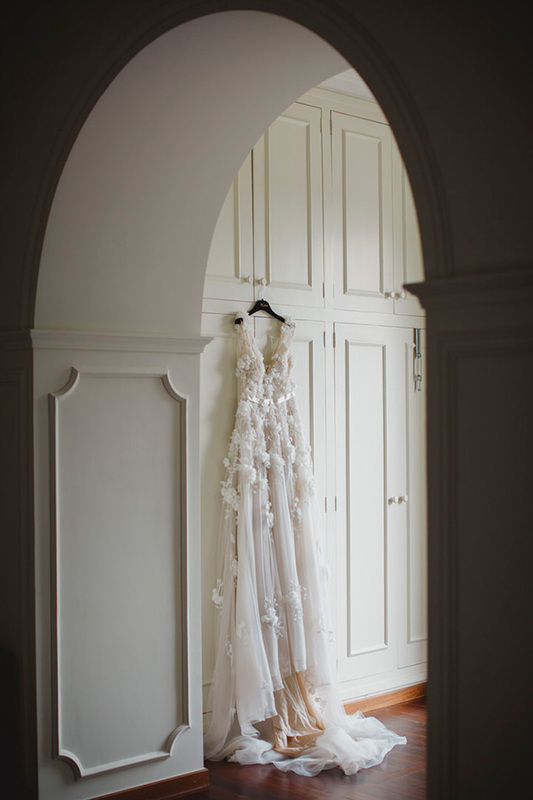 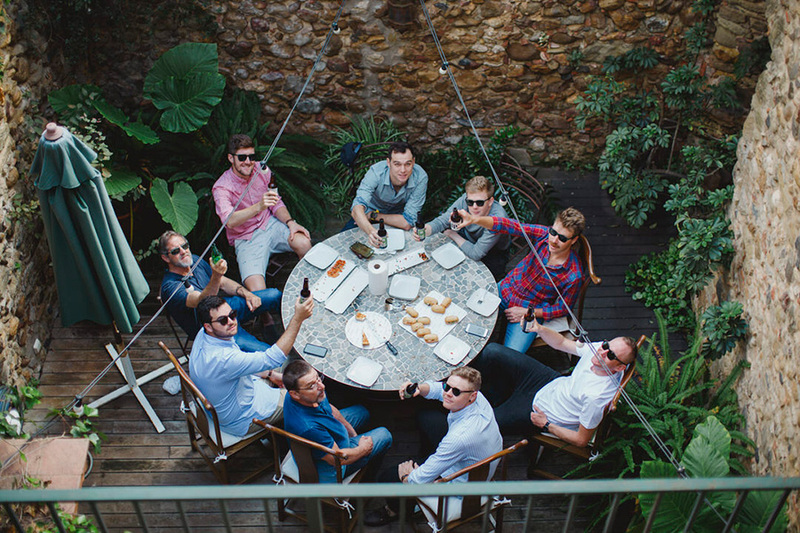 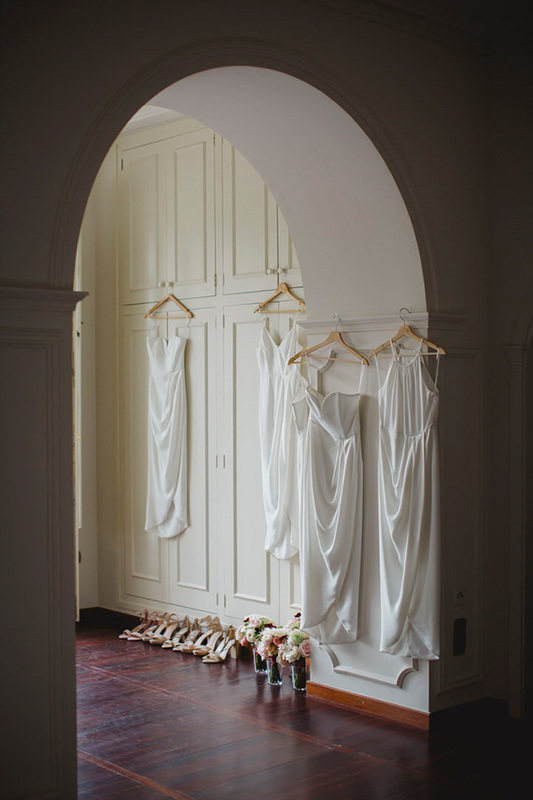 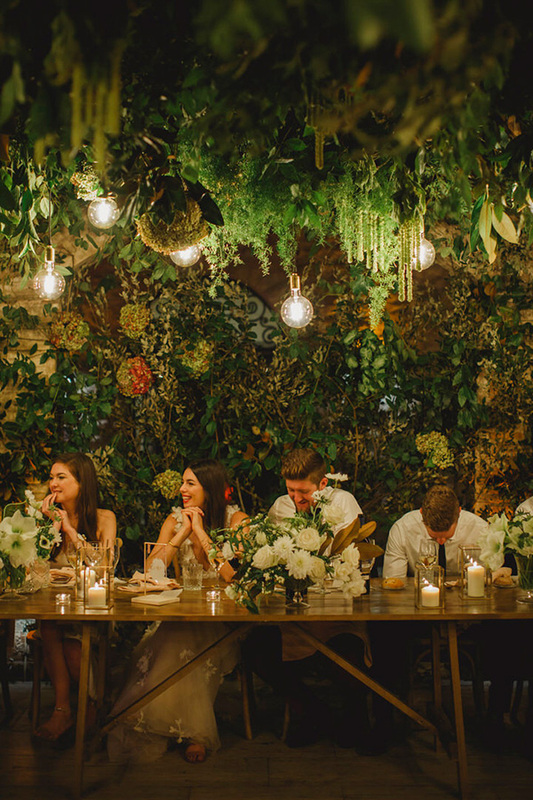 Everybody was expecting this wedding to arrive and it did not disappoint. 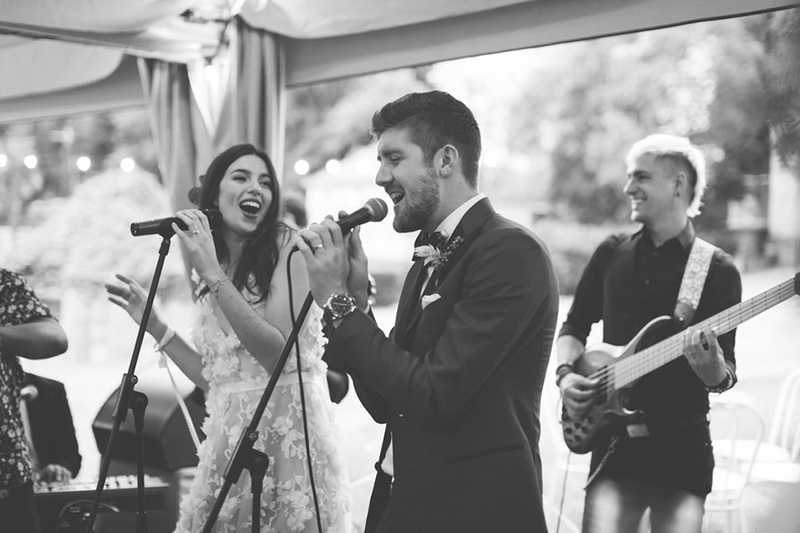 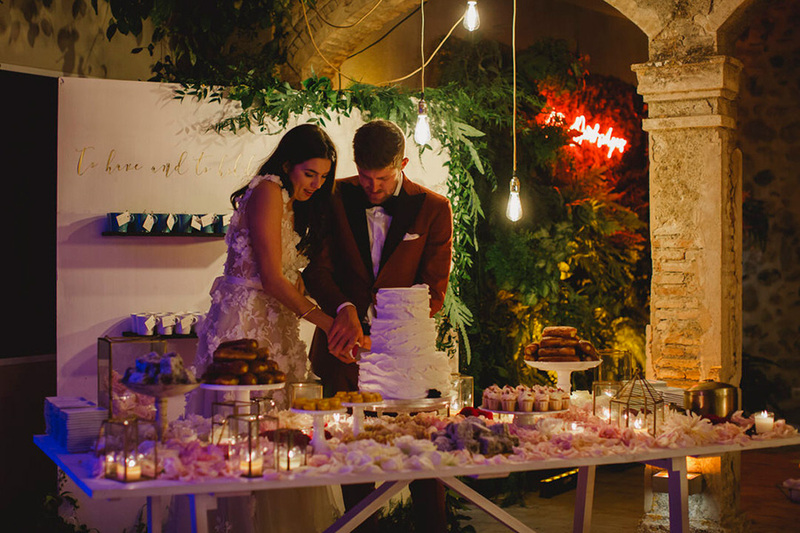 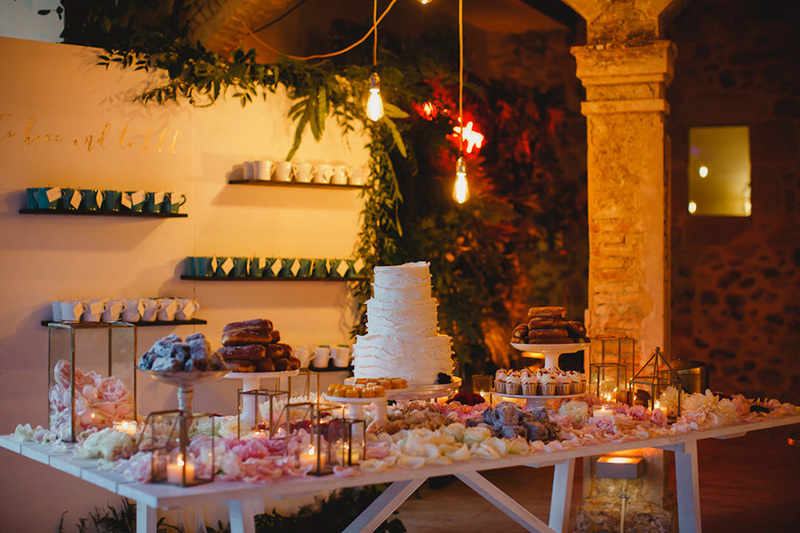 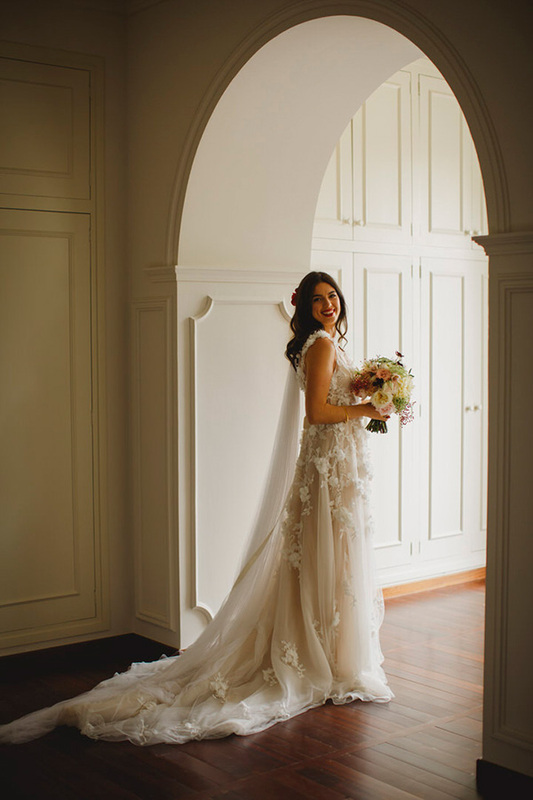 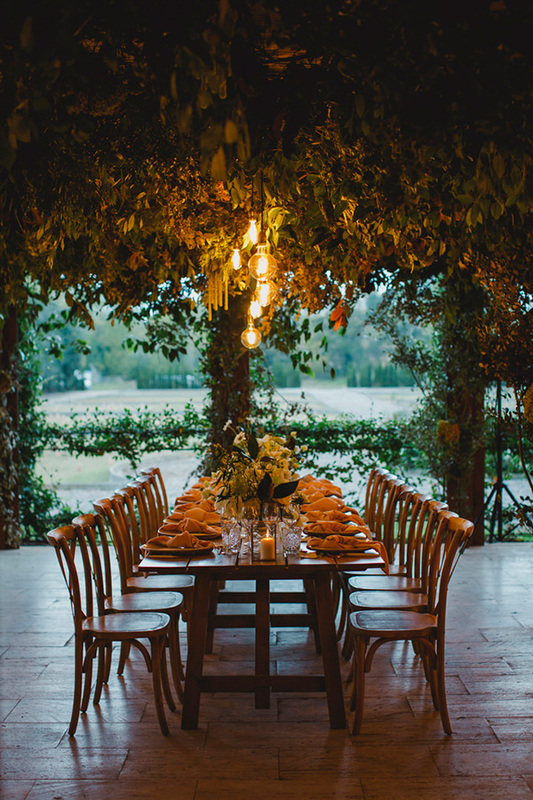 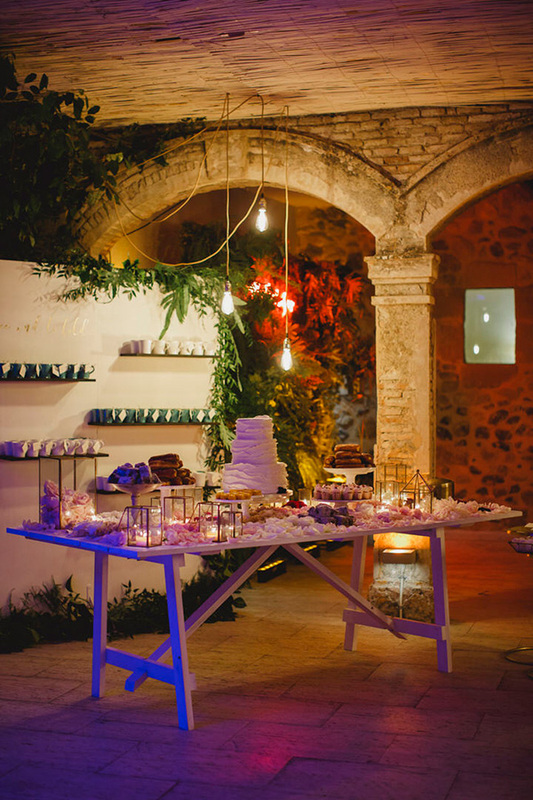 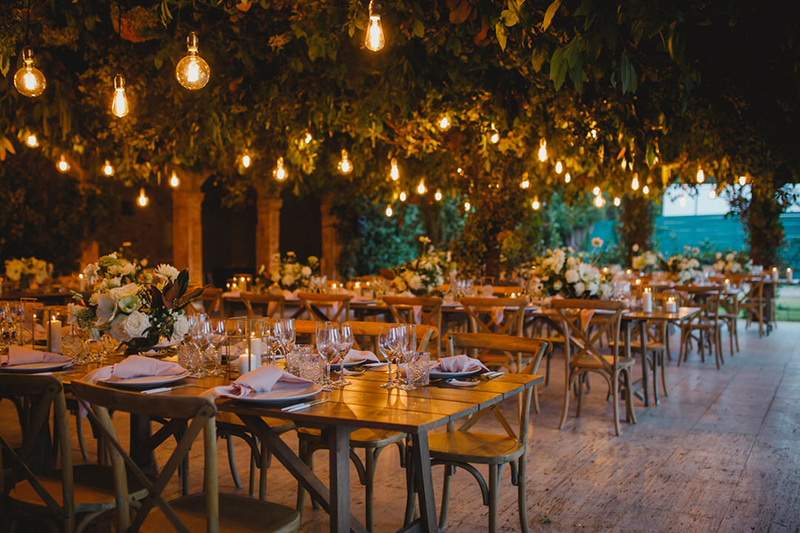 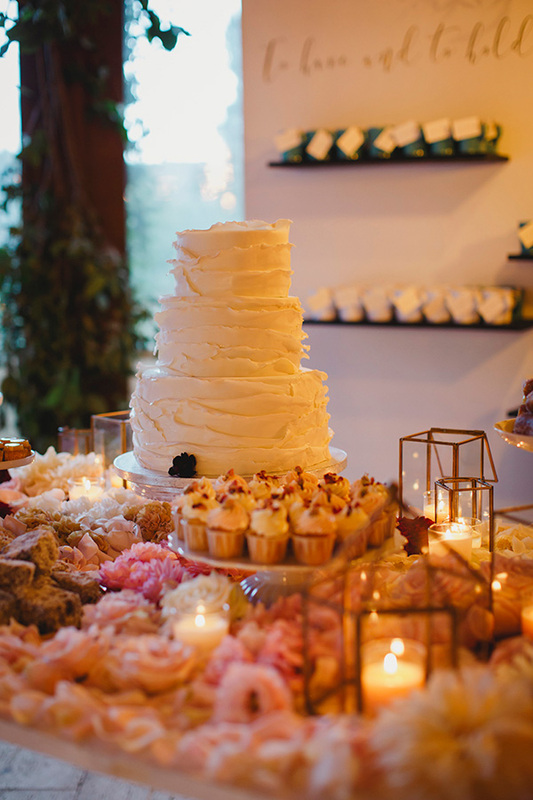 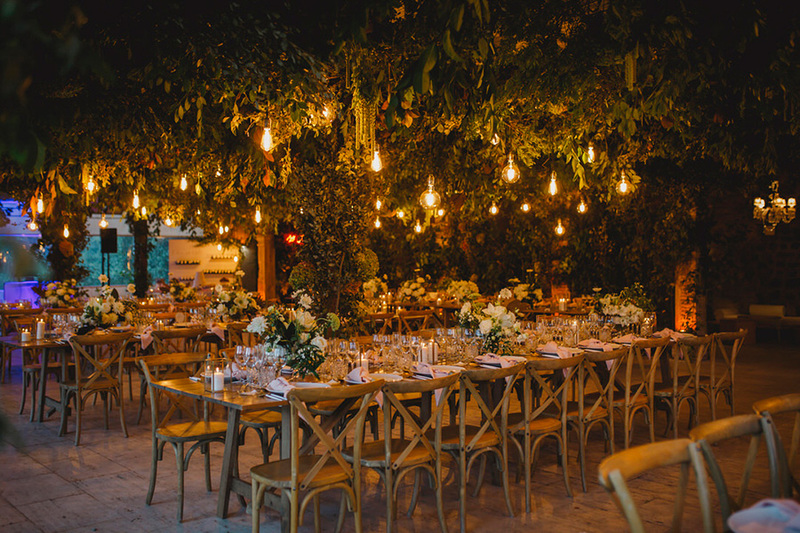 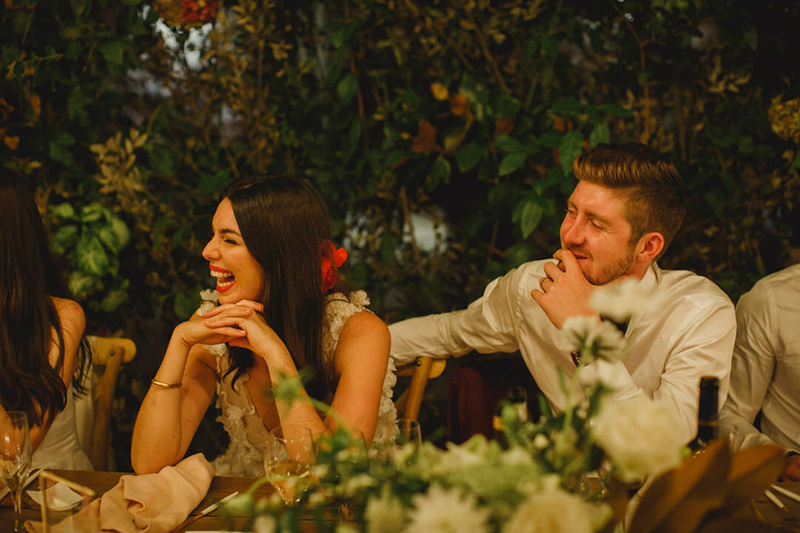 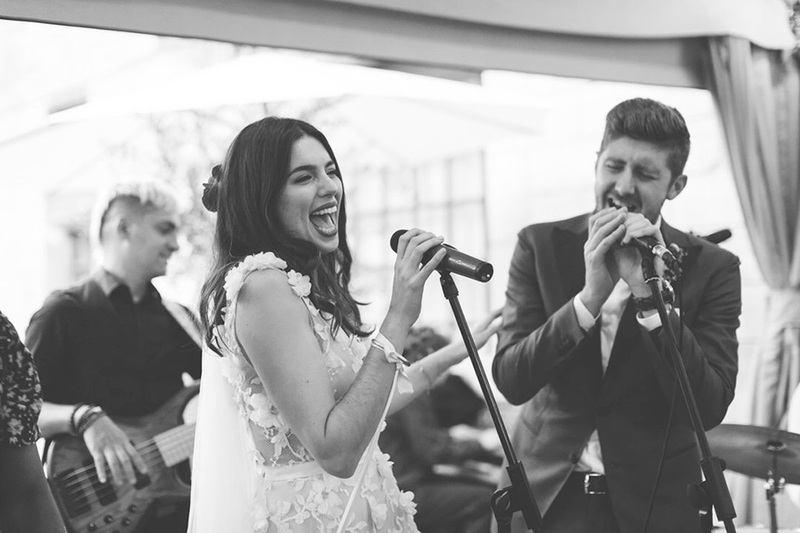 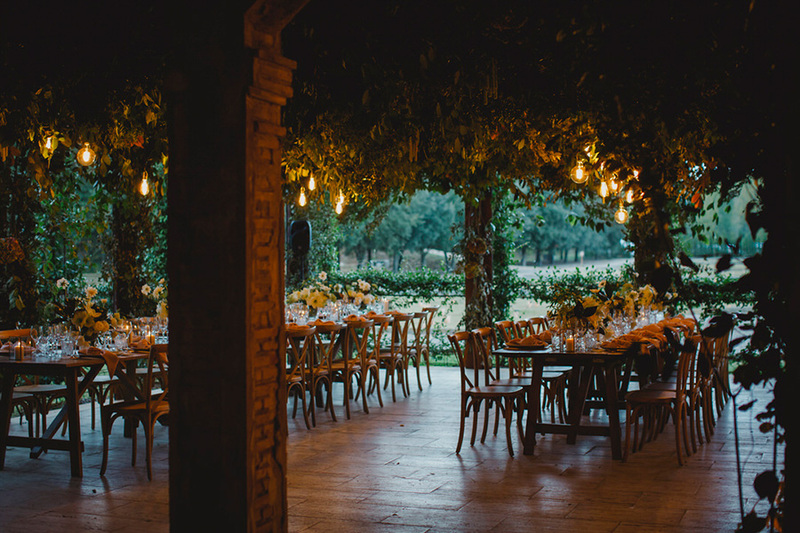 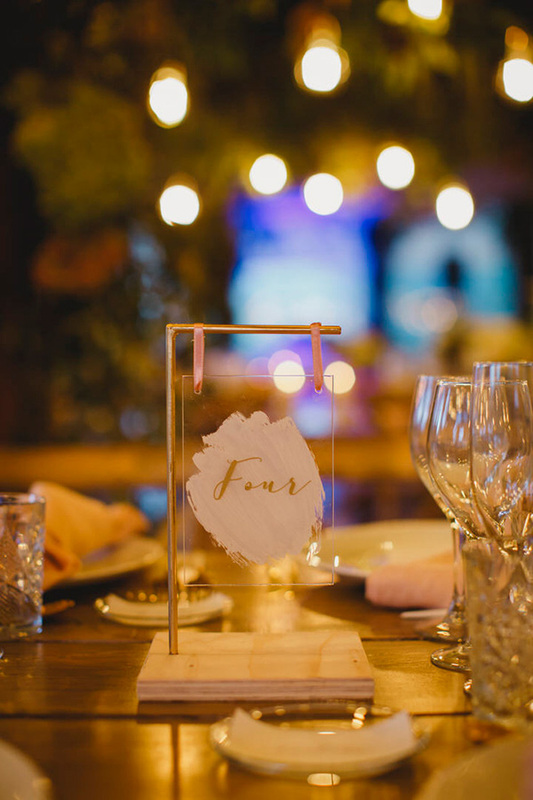 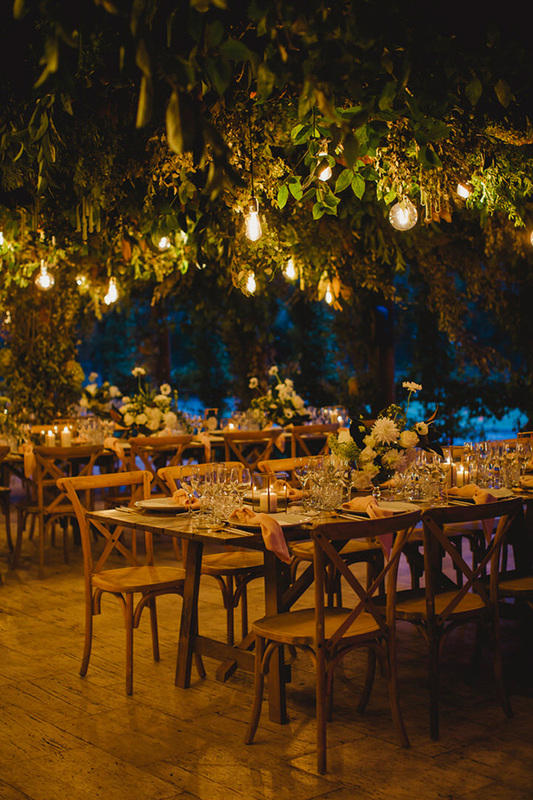 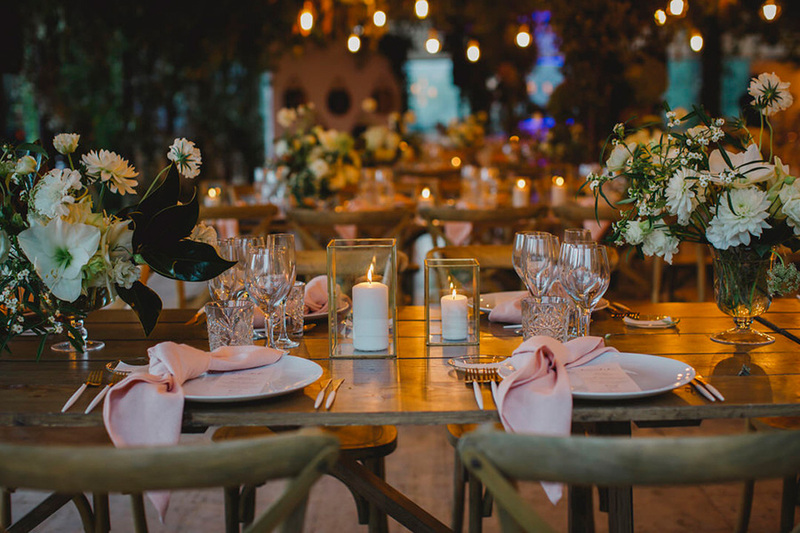 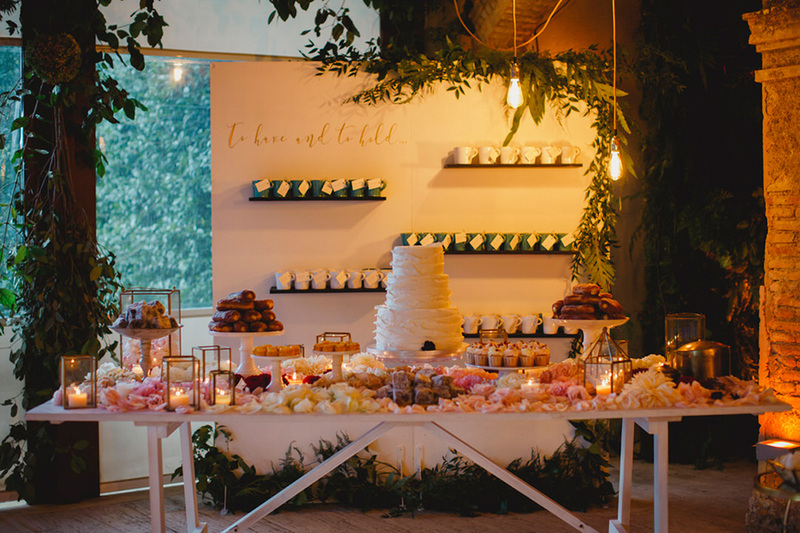 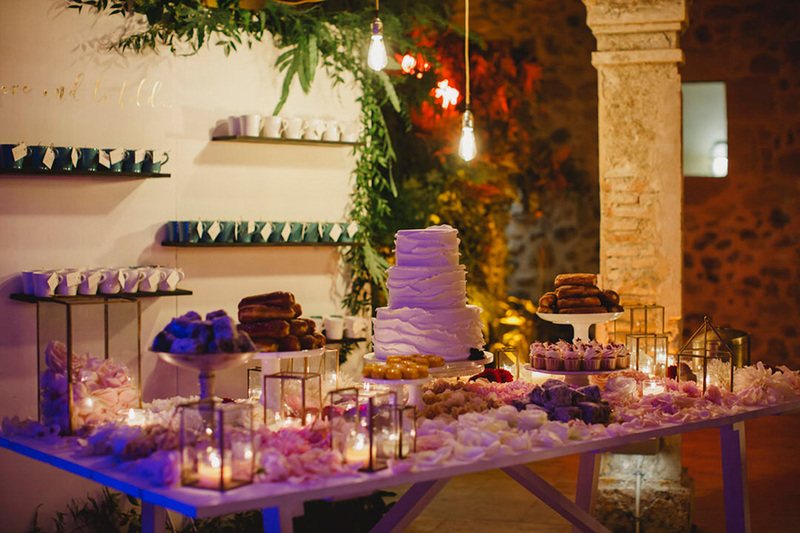 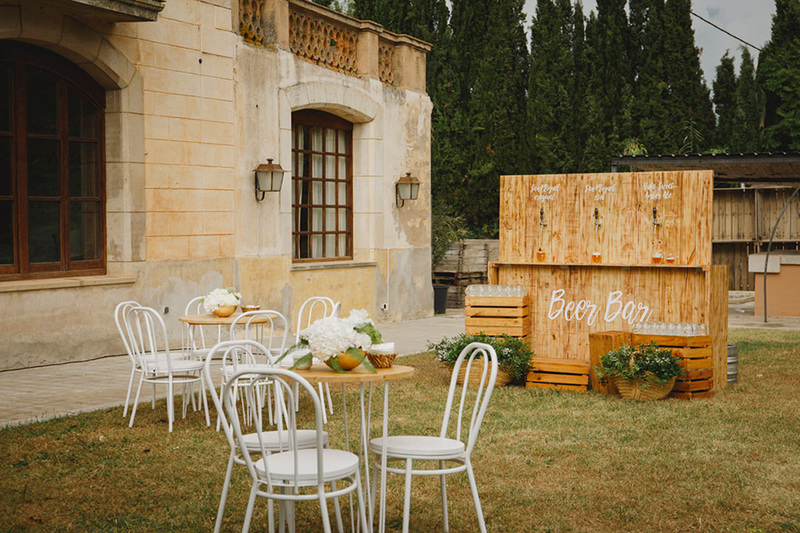 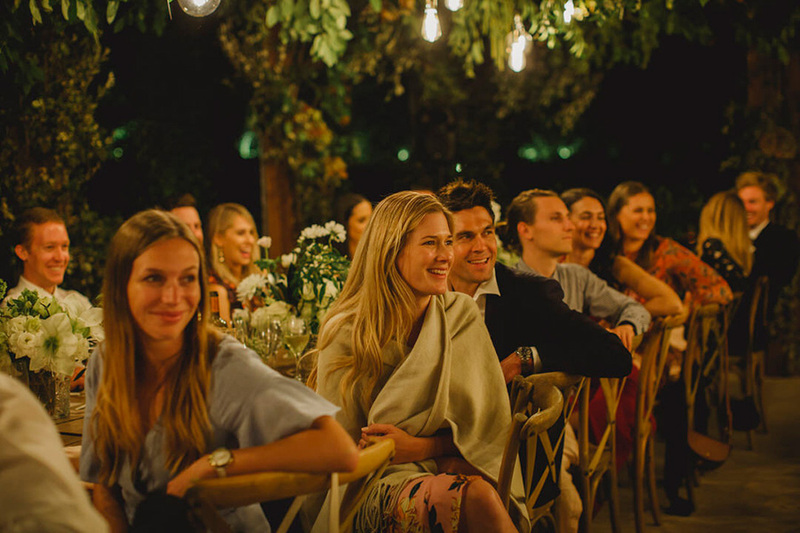 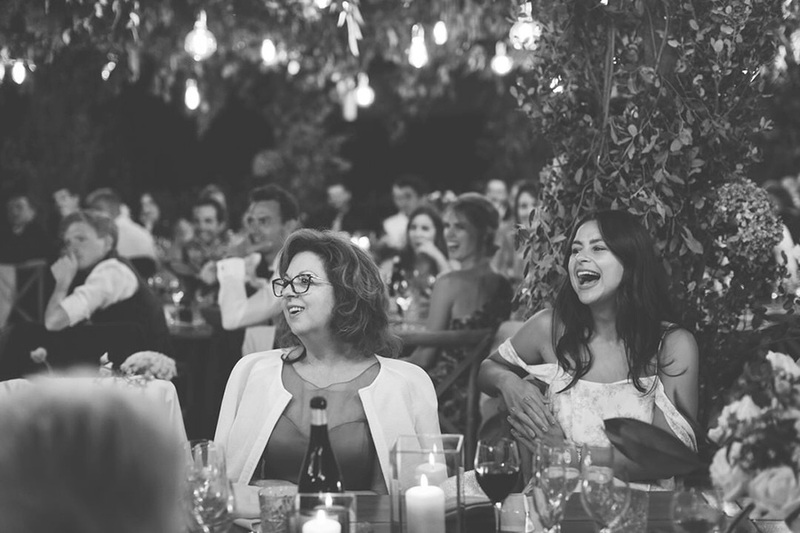 Not only because of the delicious international food made to measure for them, the crazy funky music, the hilarious moments, the hand-made details or the fairy-tale decoration, but for the thousands of smiles that could be seen that day. 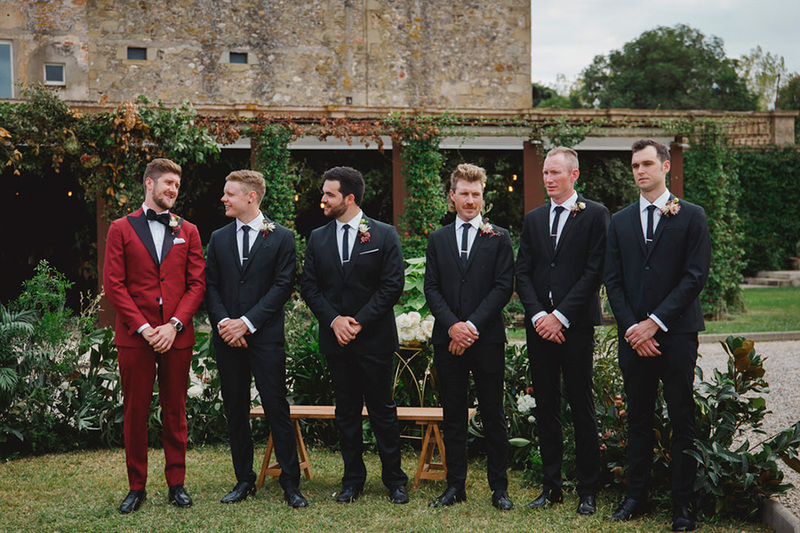 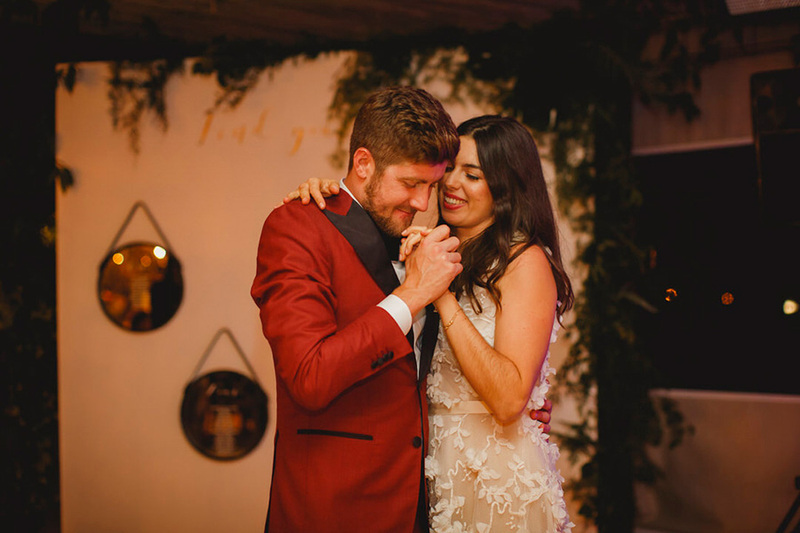 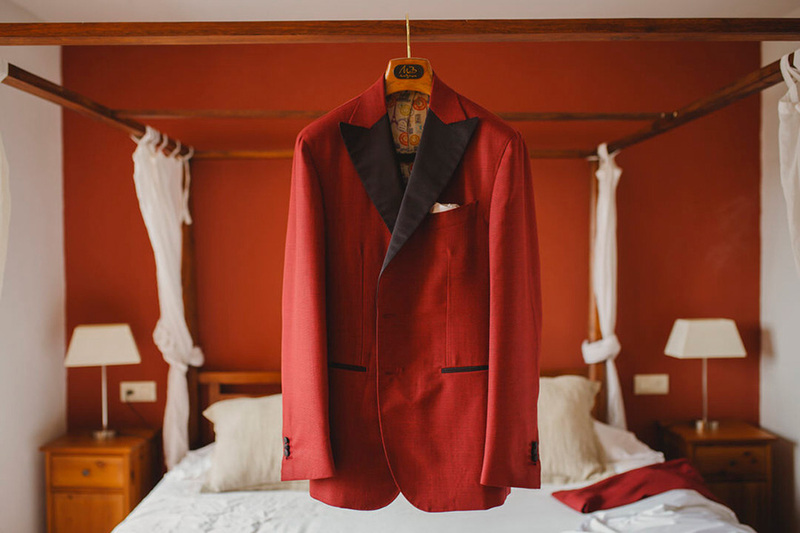 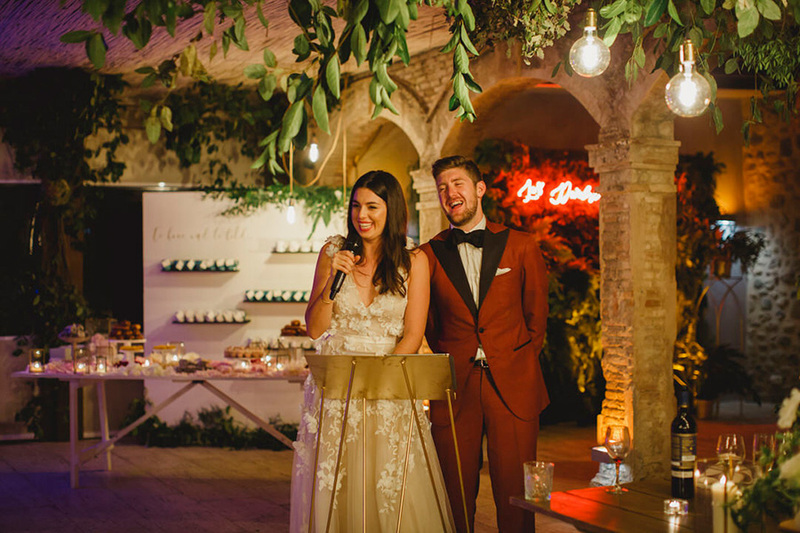 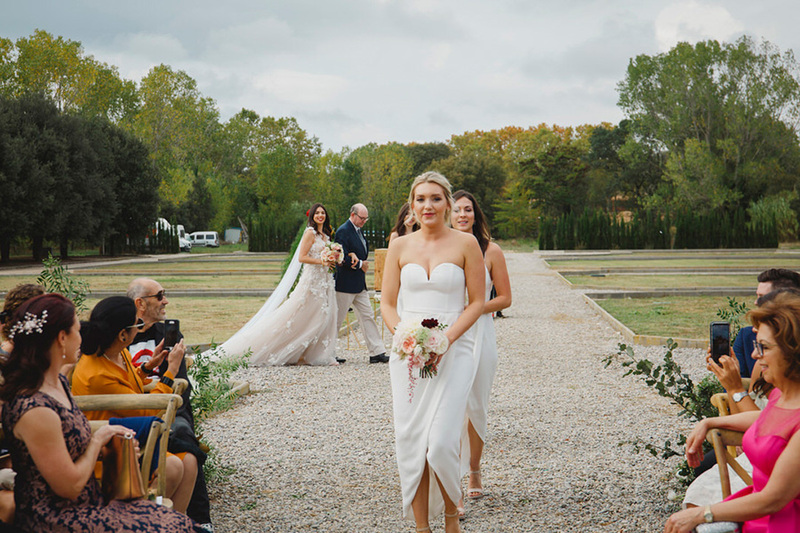 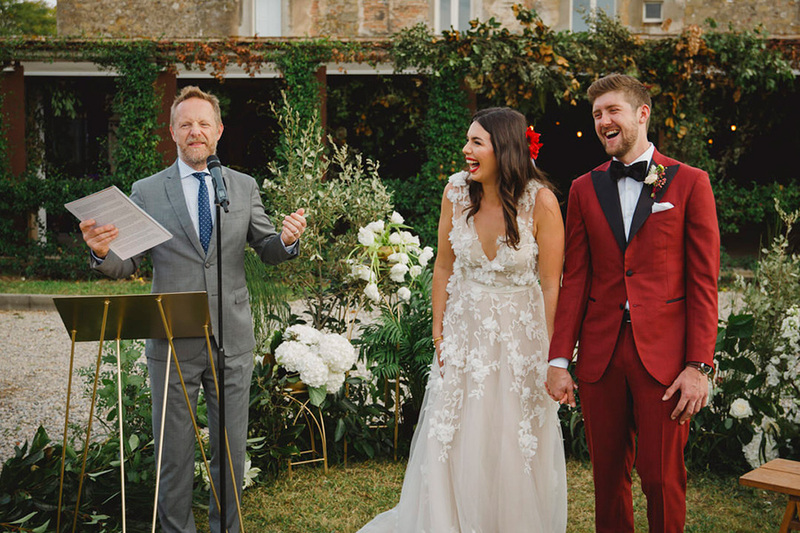 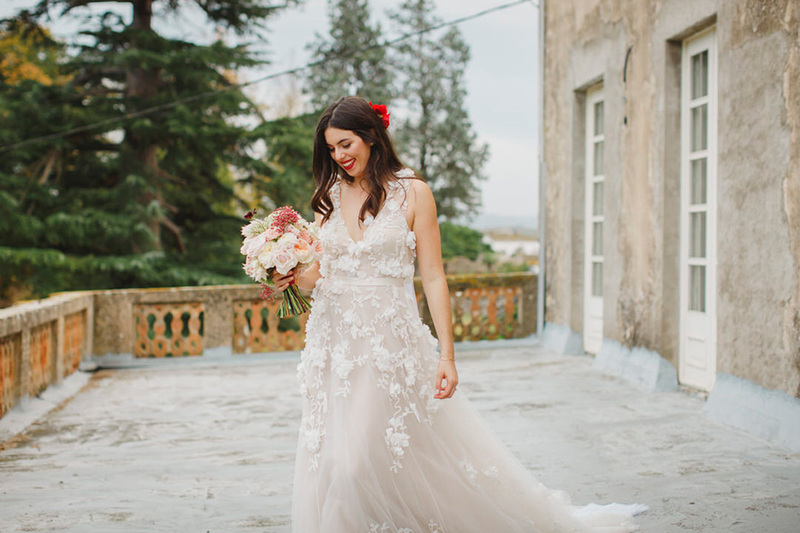 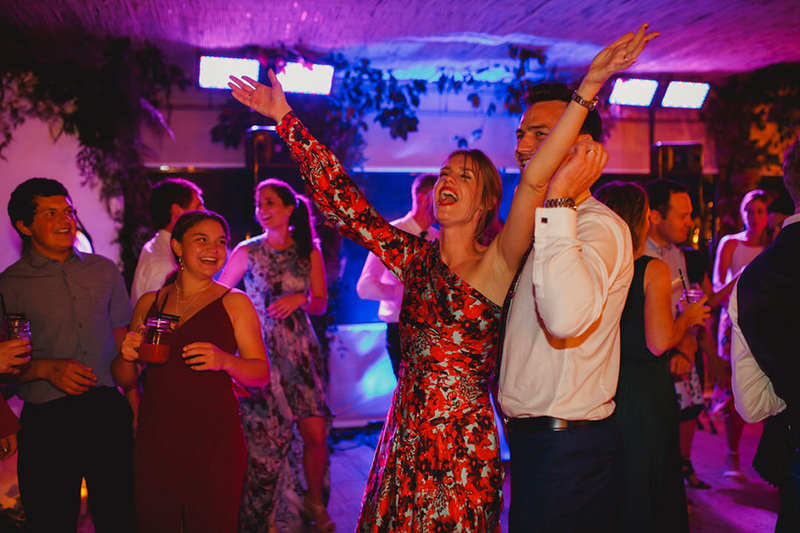 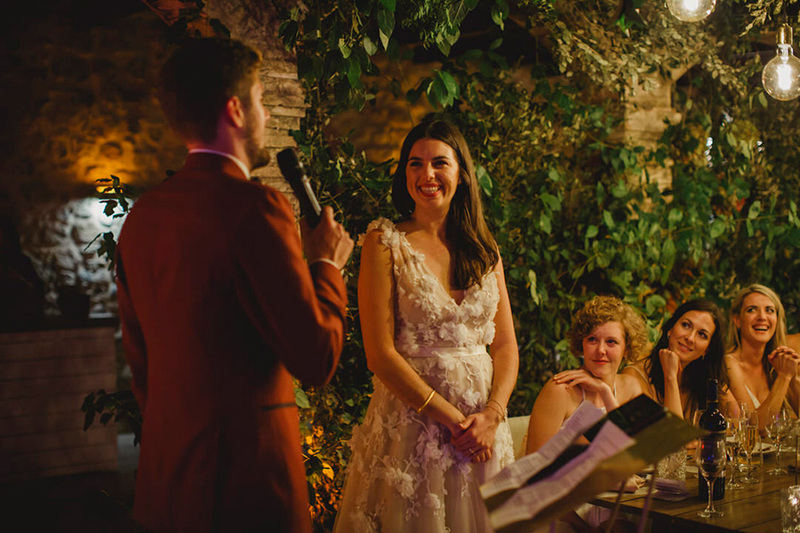 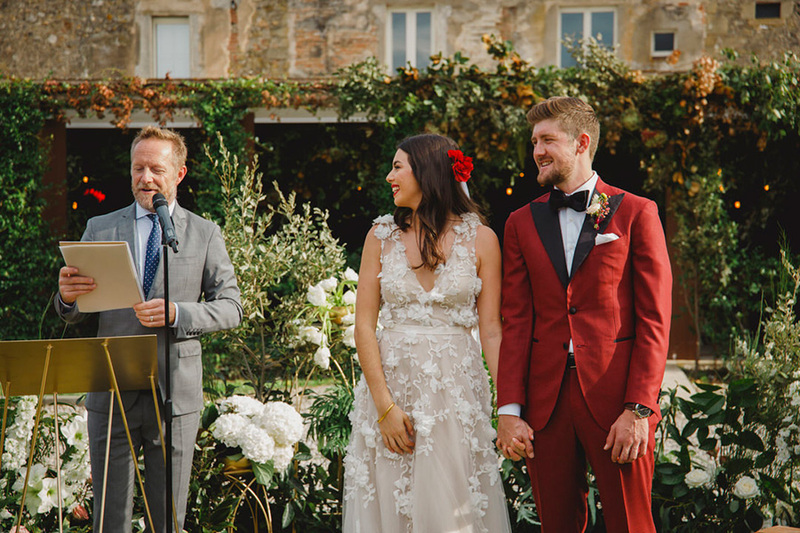 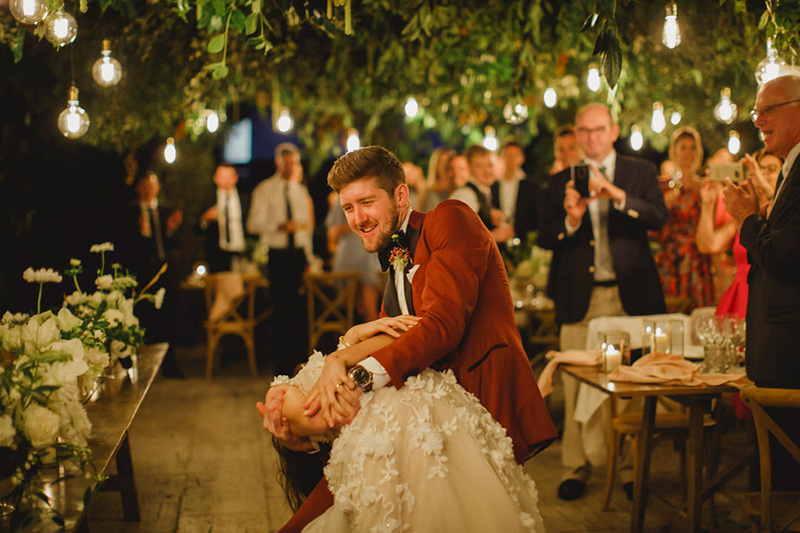 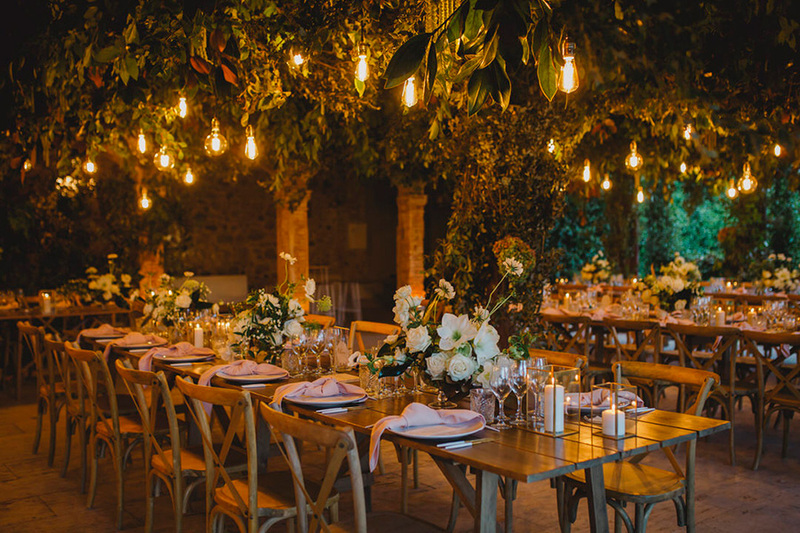 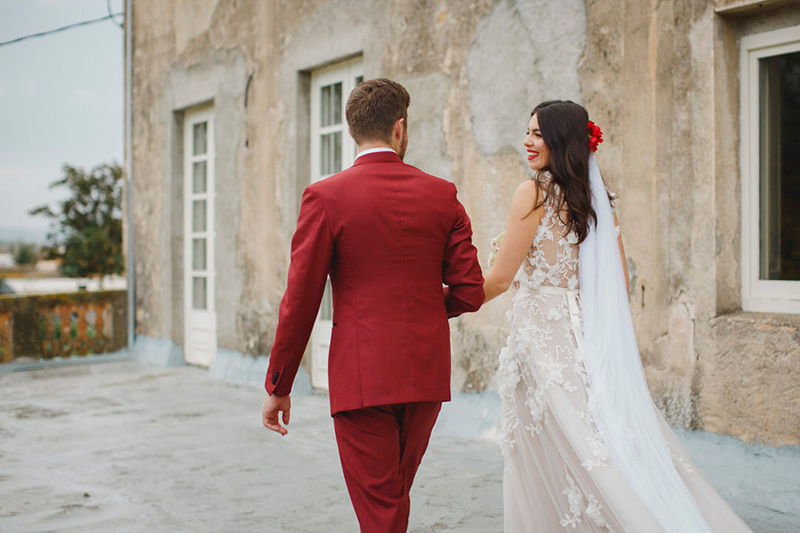 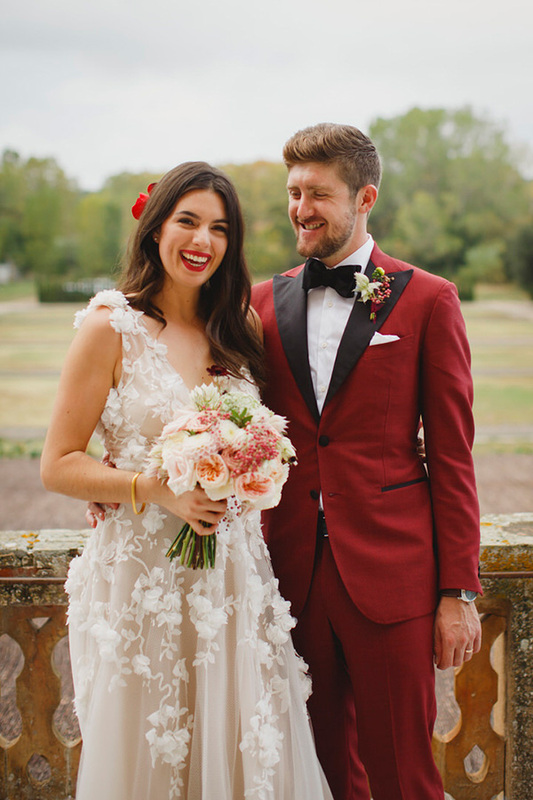 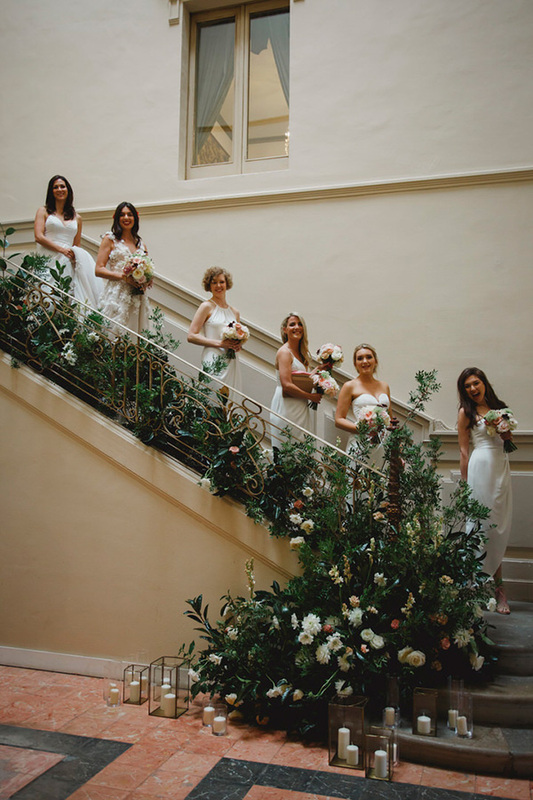 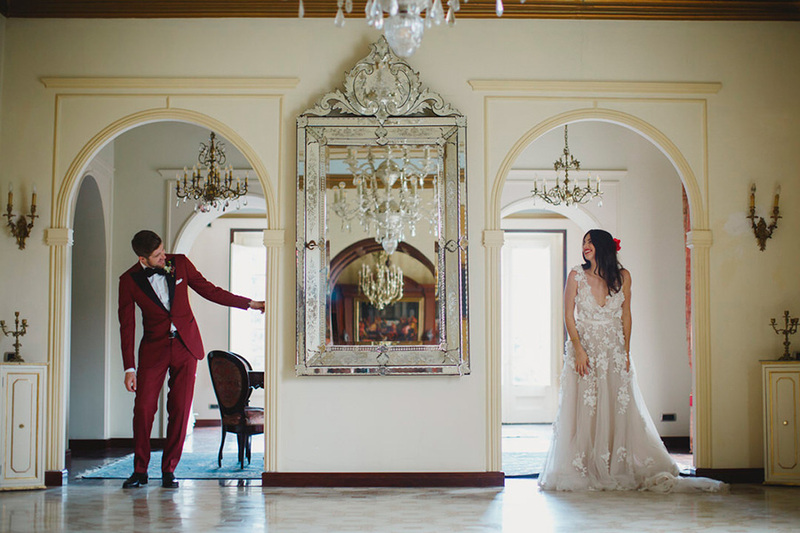 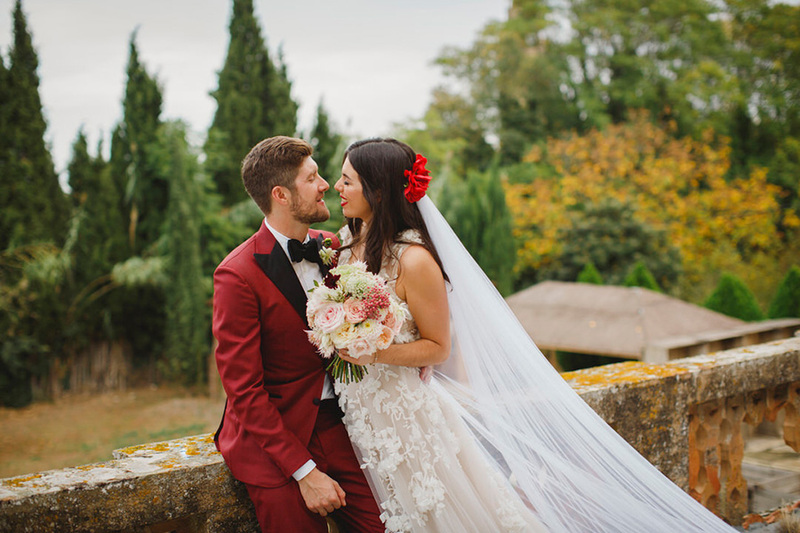 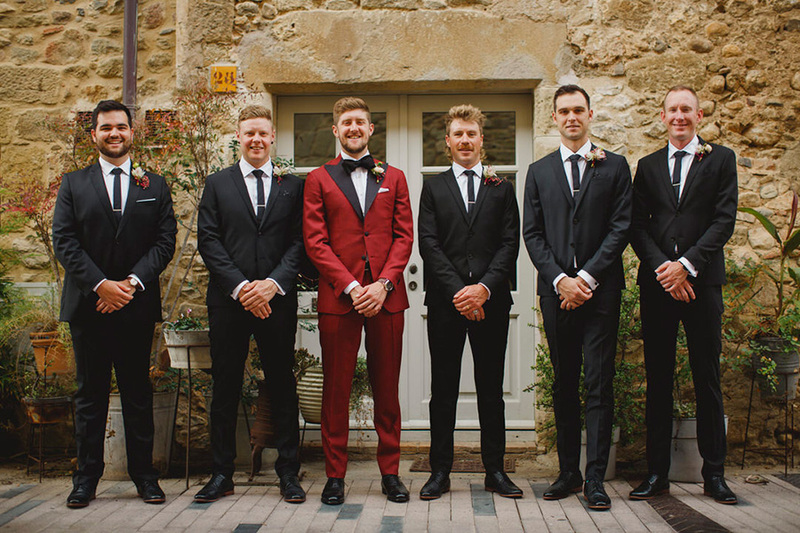 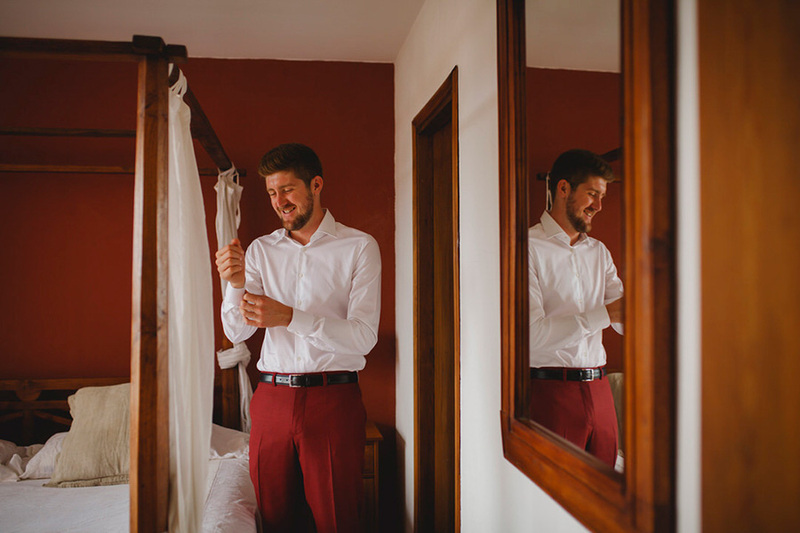 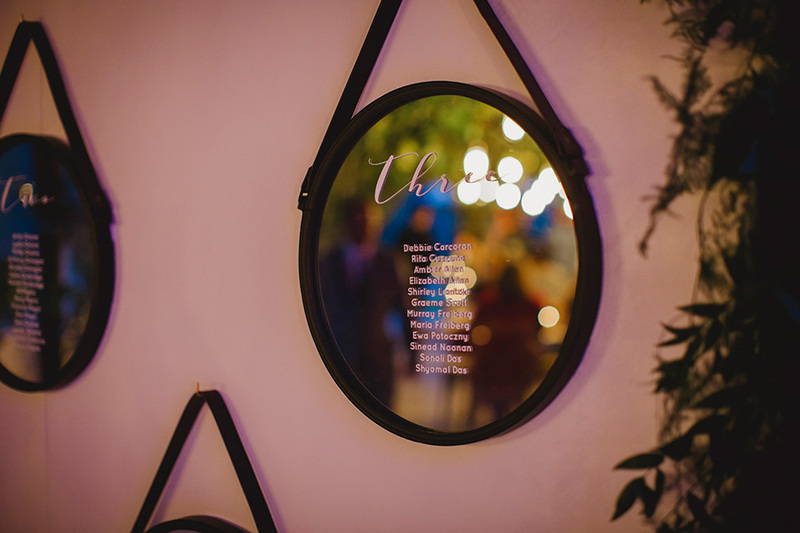 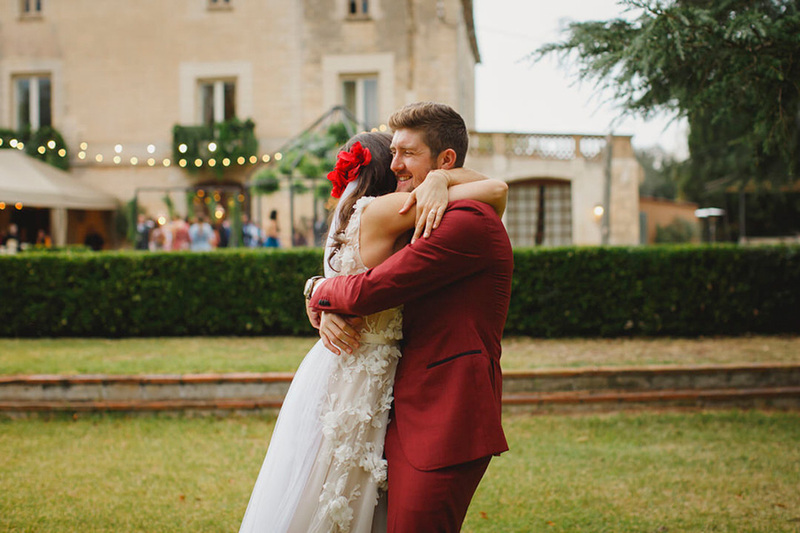 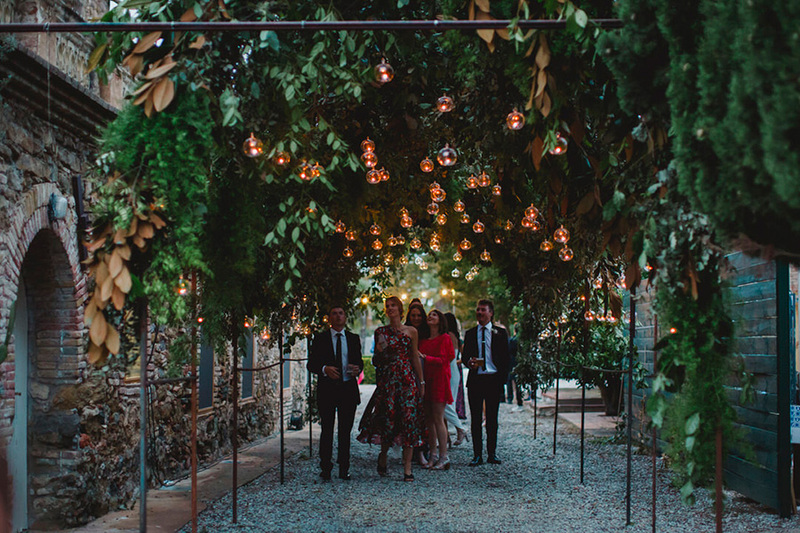 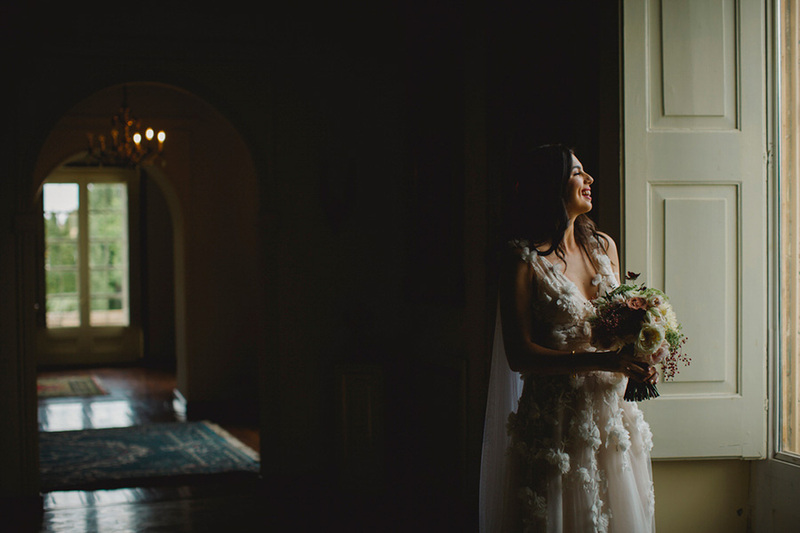 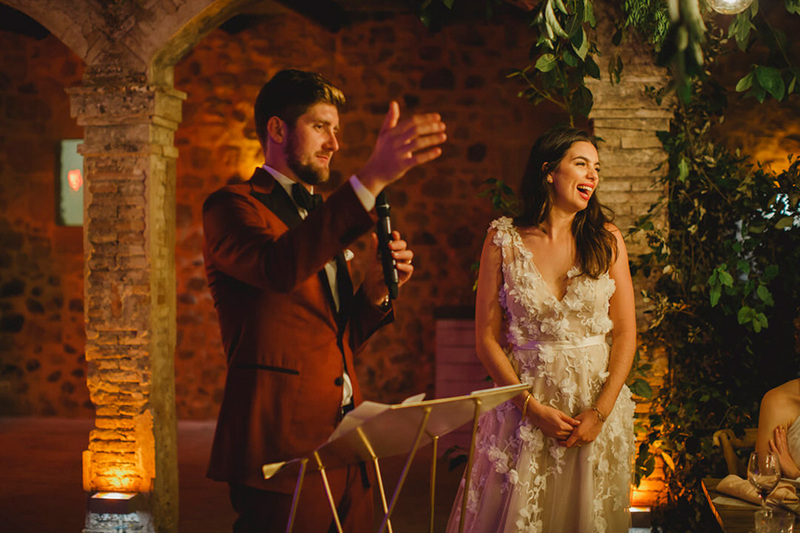 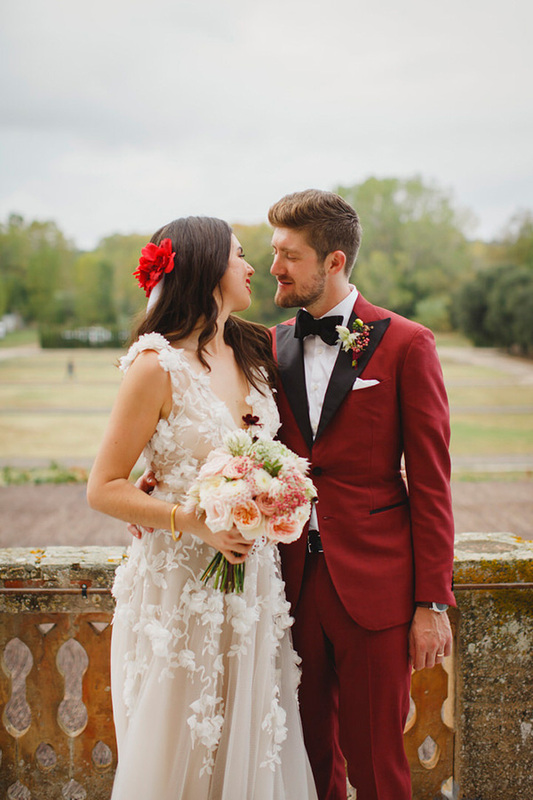 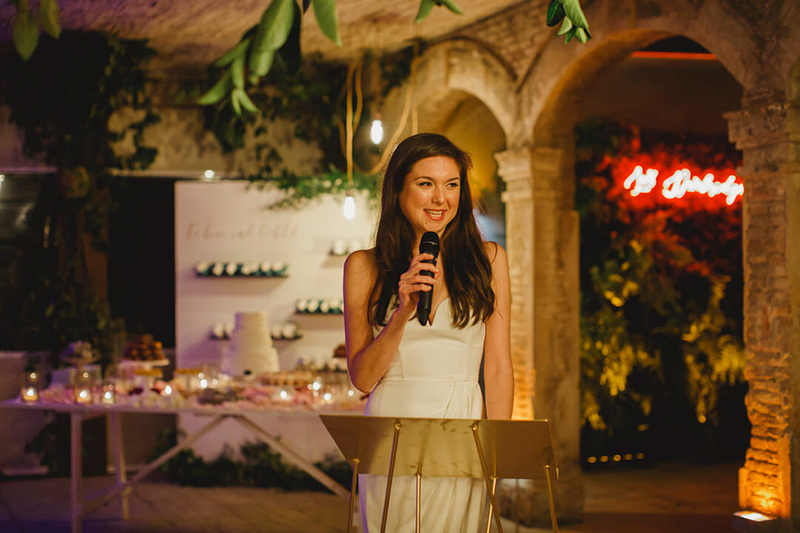 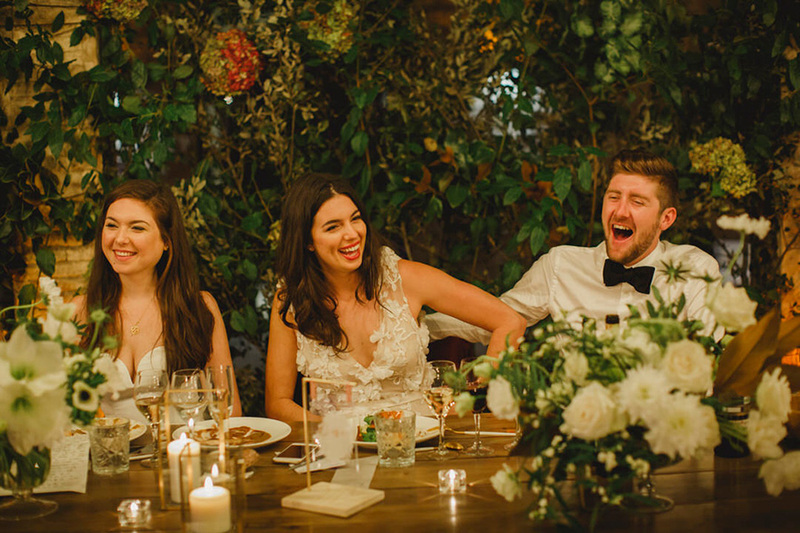 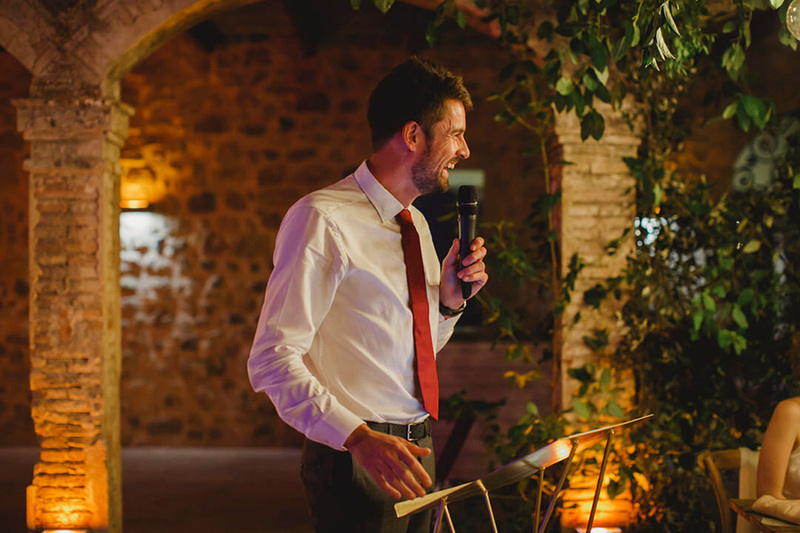 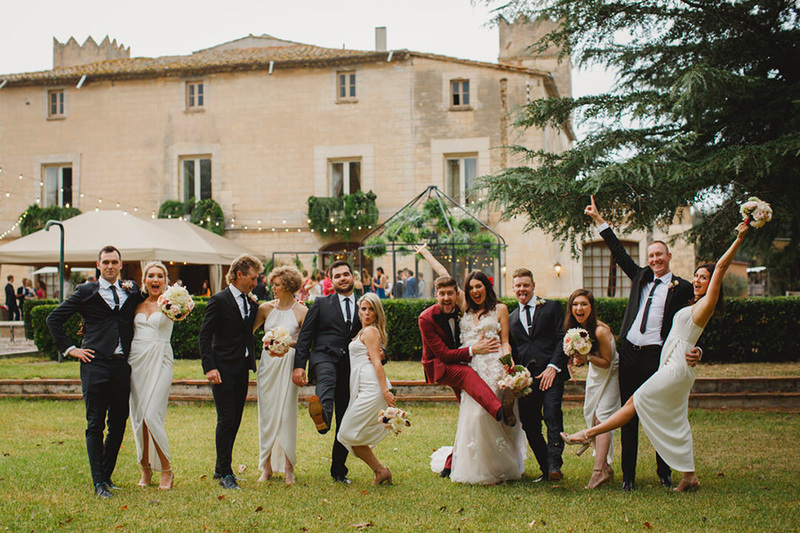 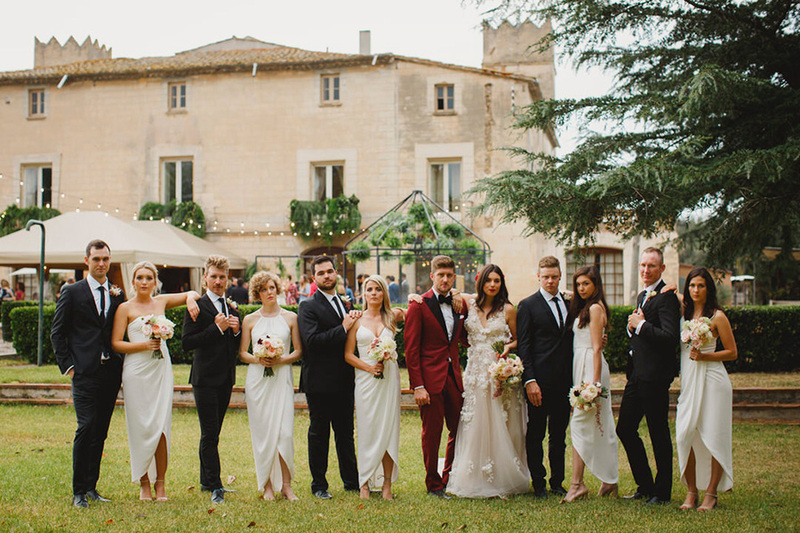 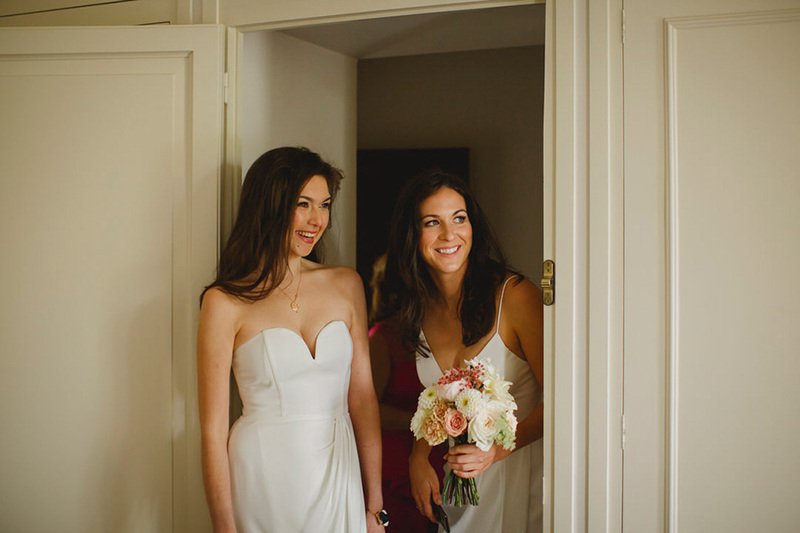 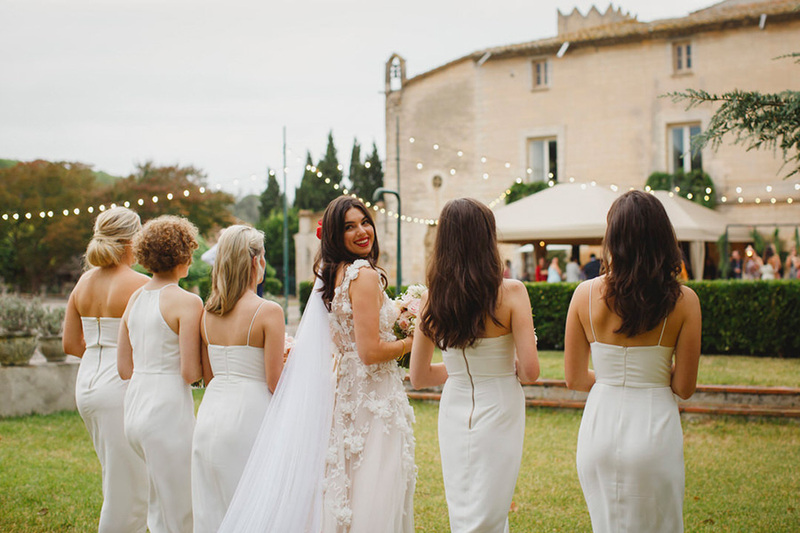 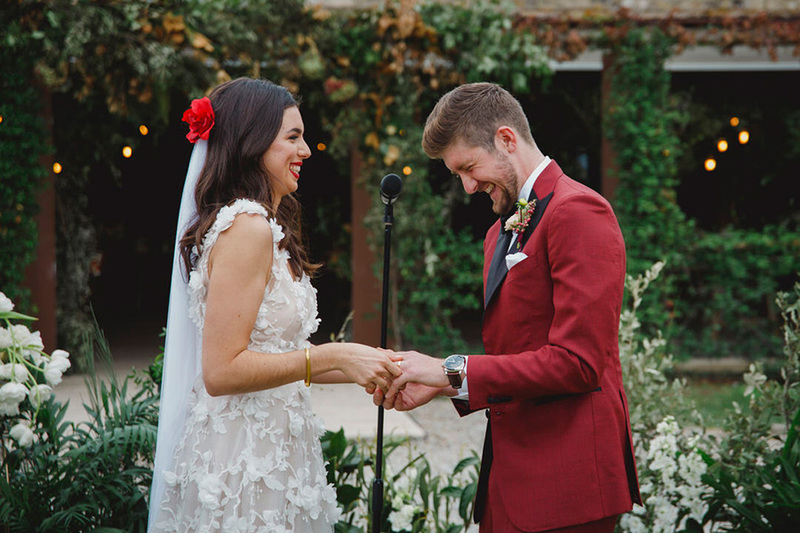 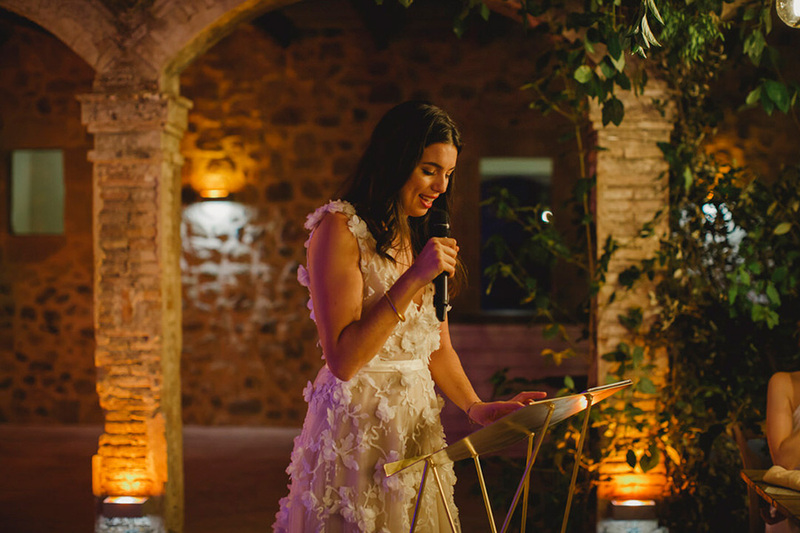 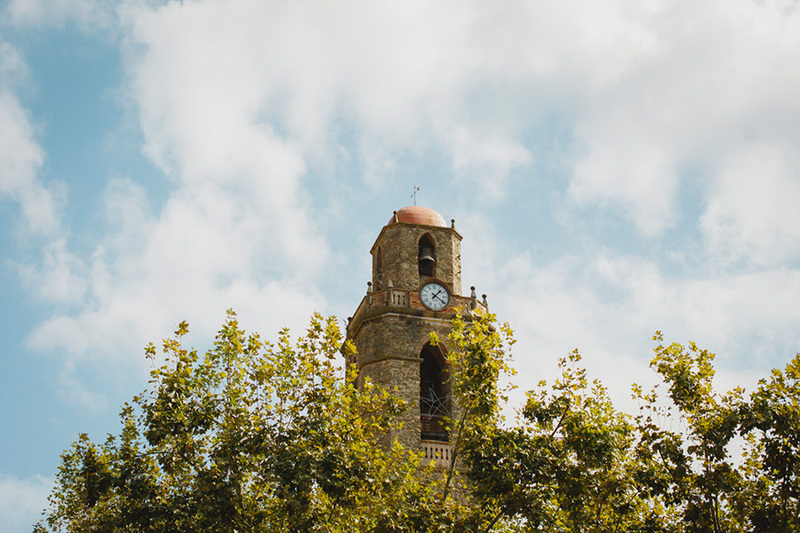 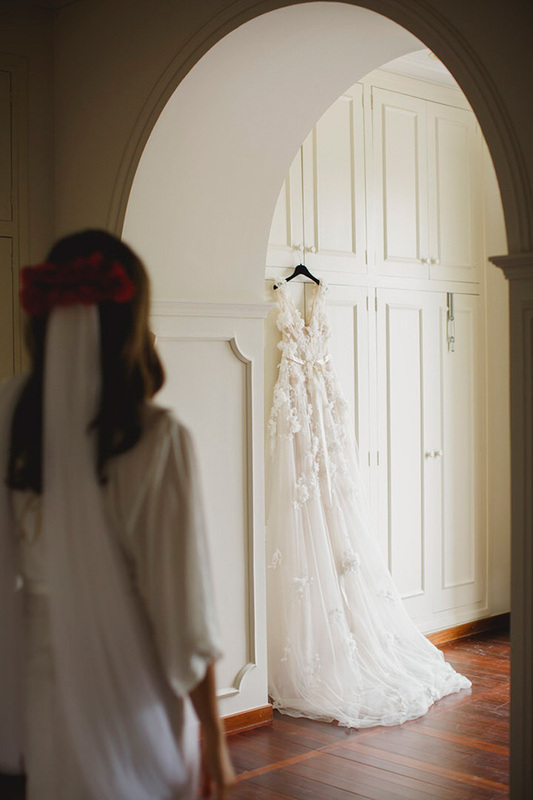 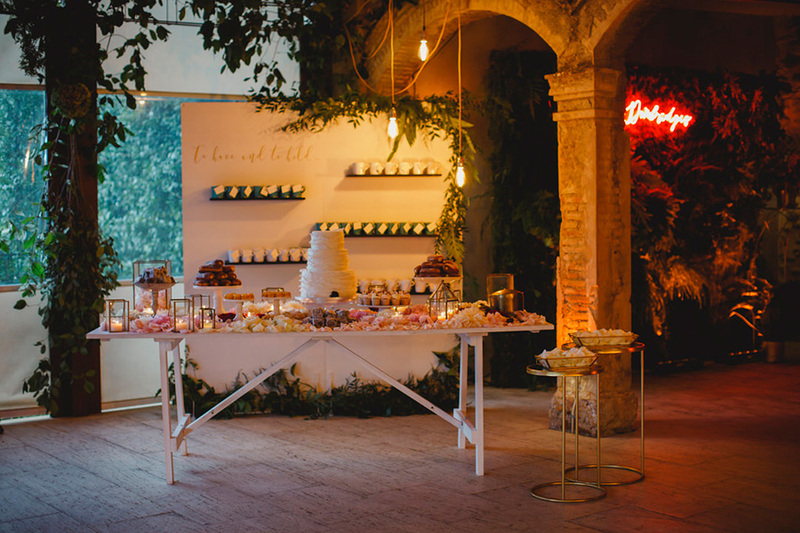 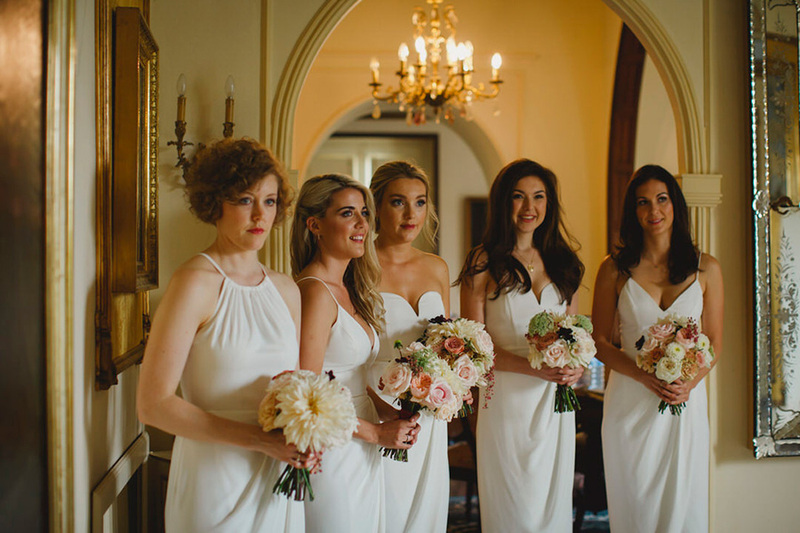 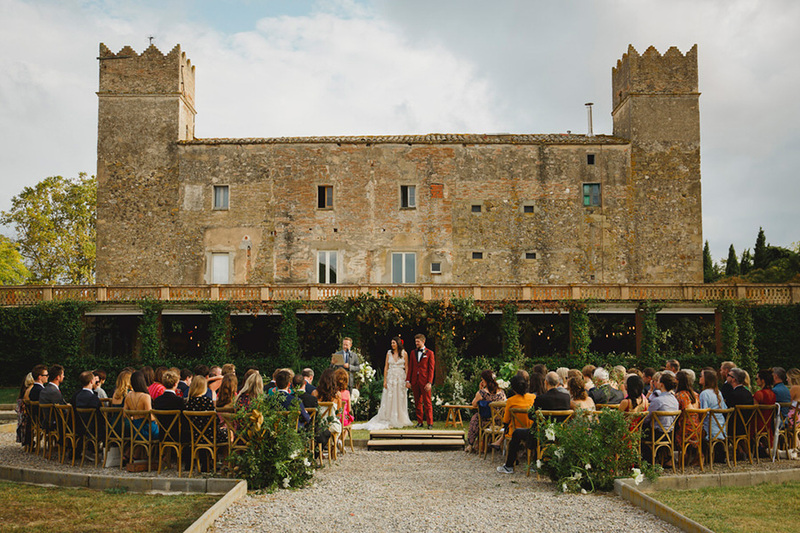 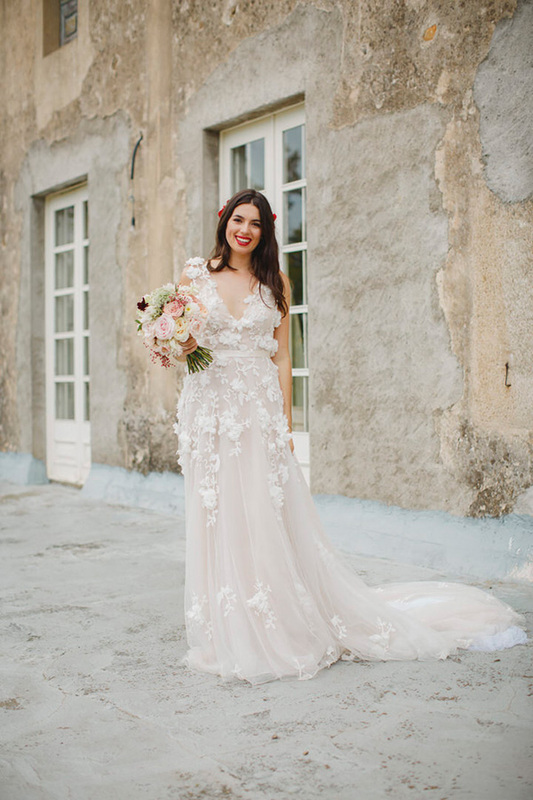 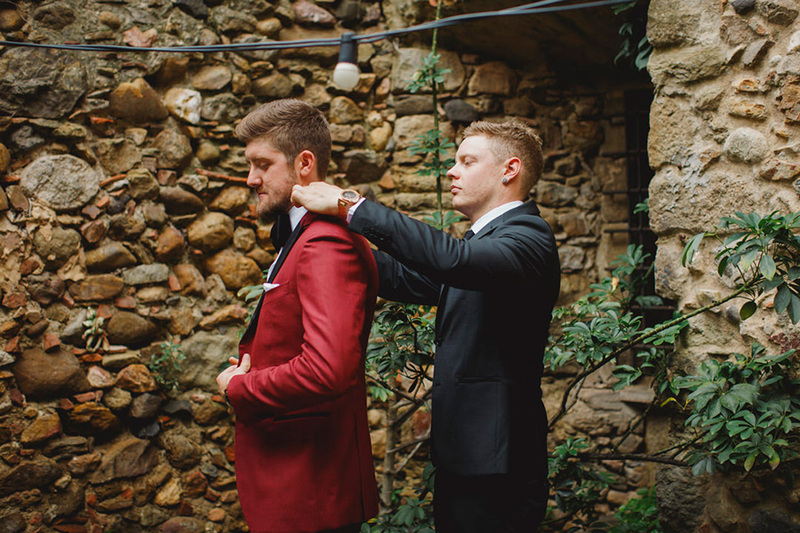 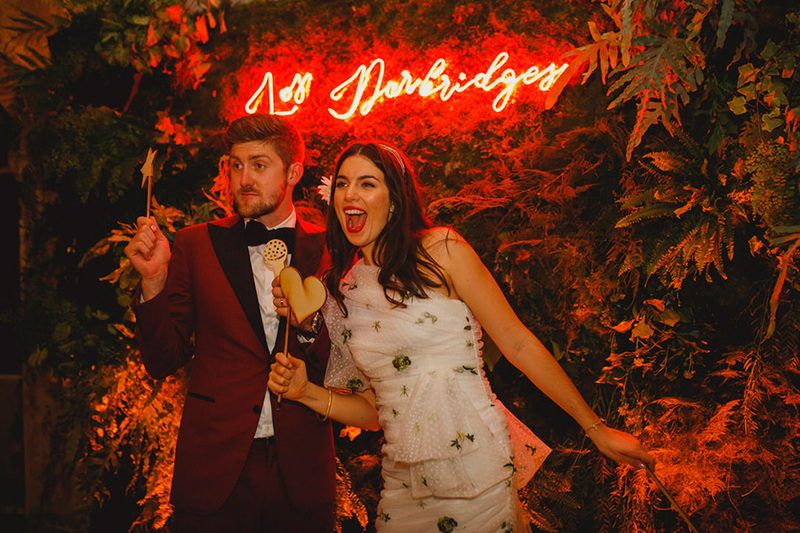 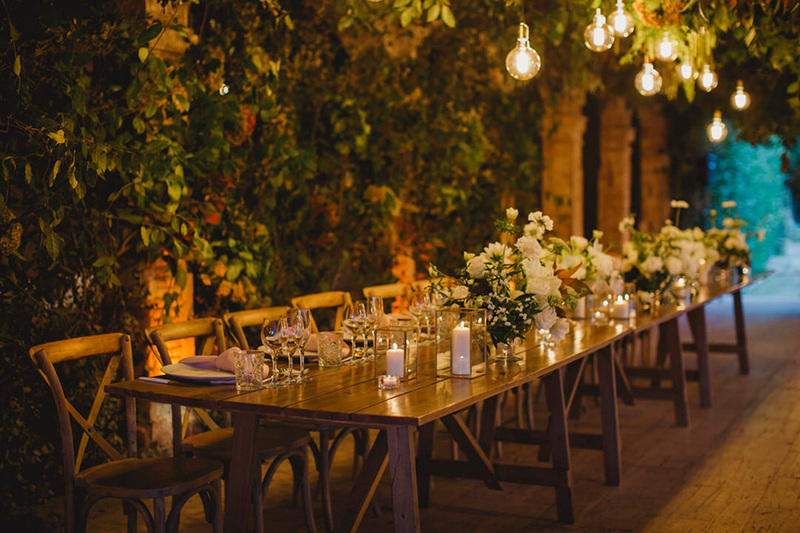 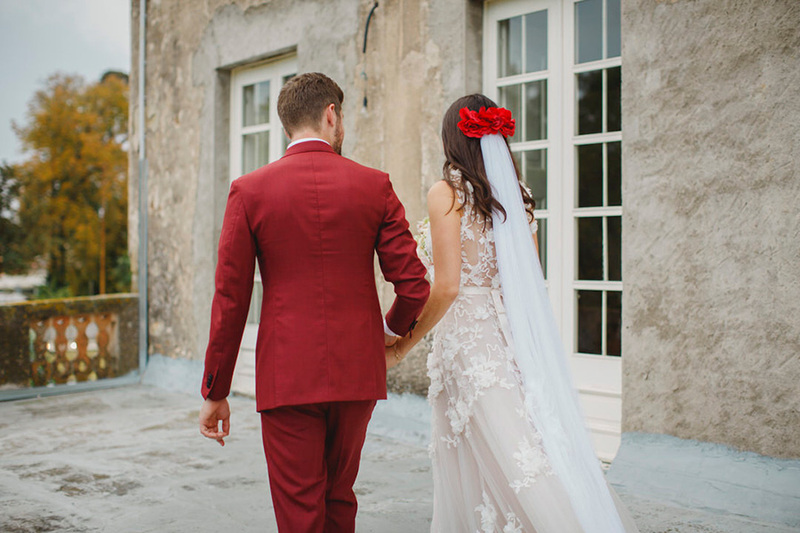 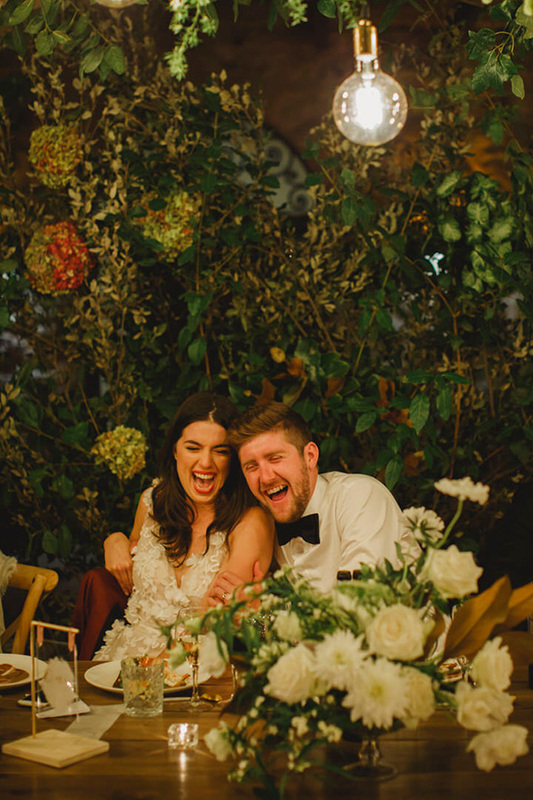 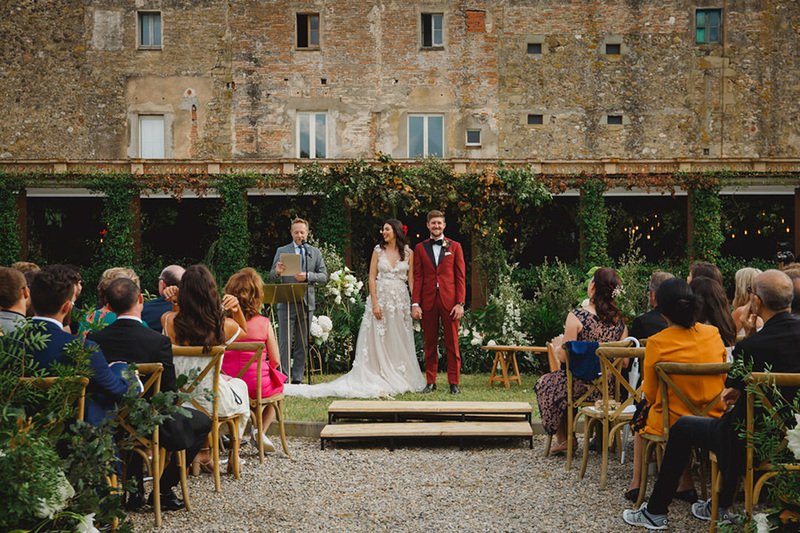 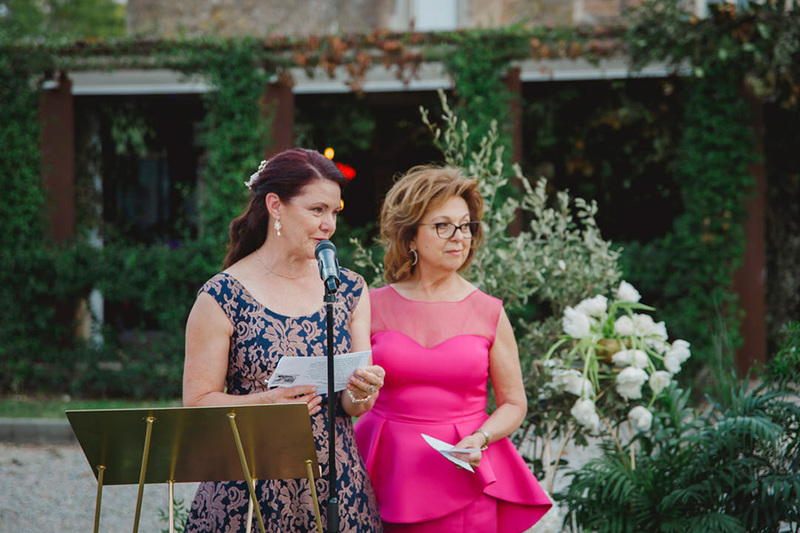 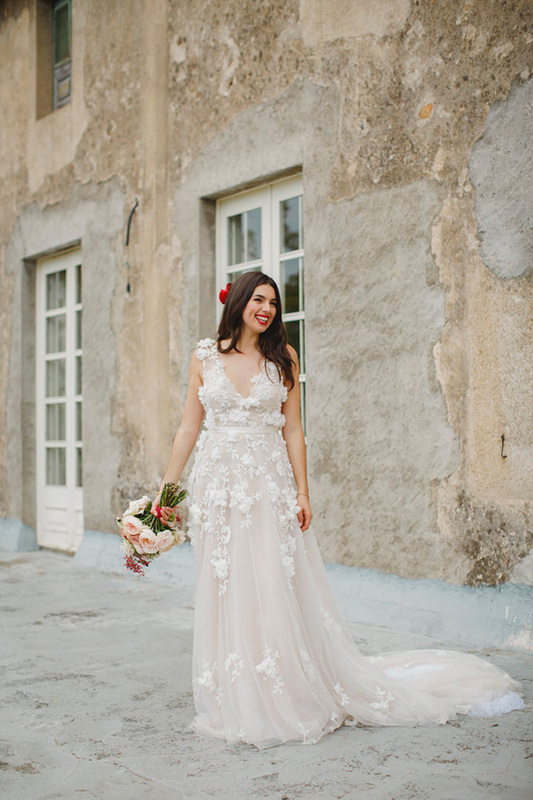 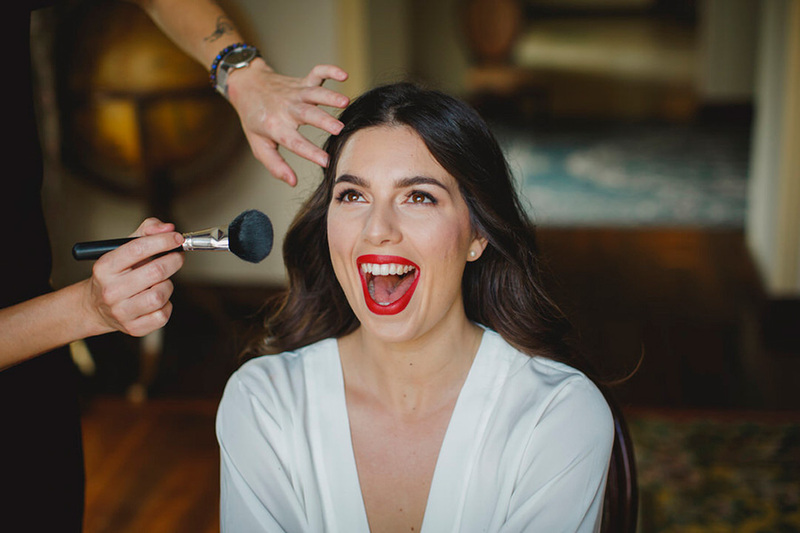 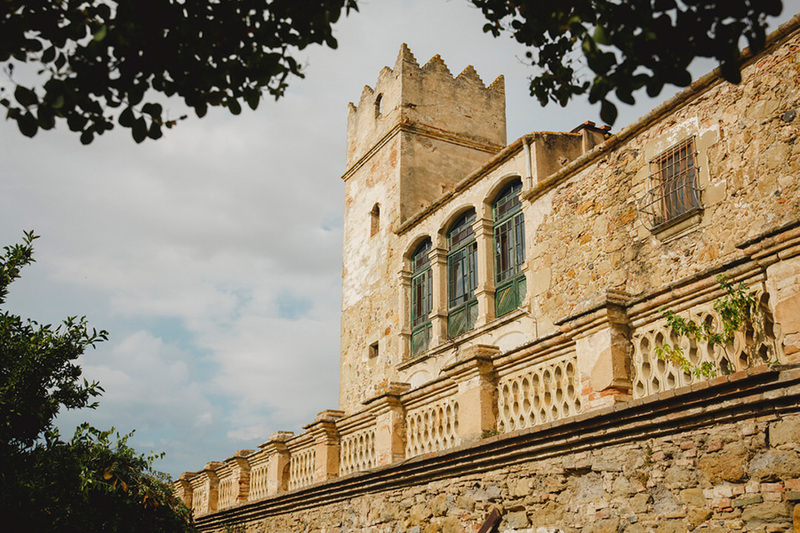 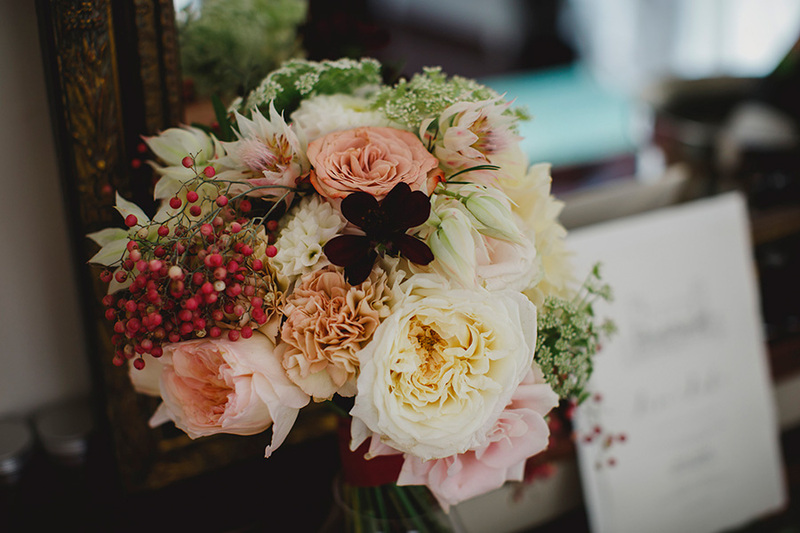 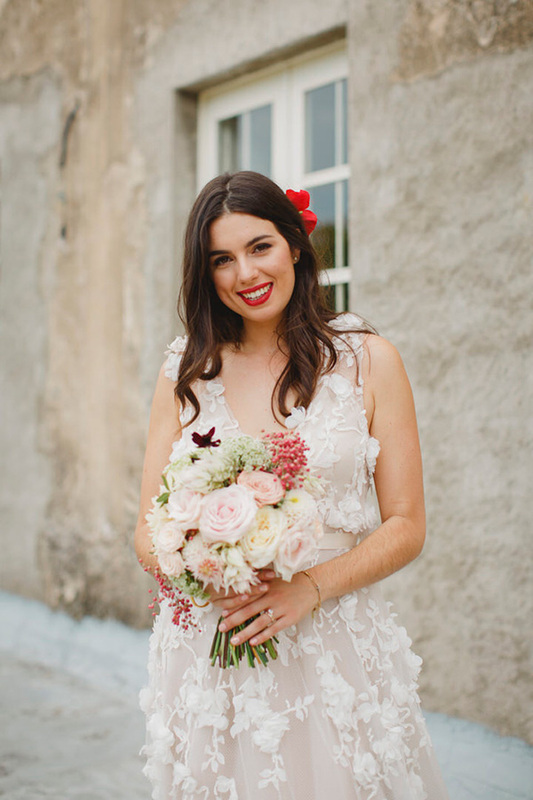 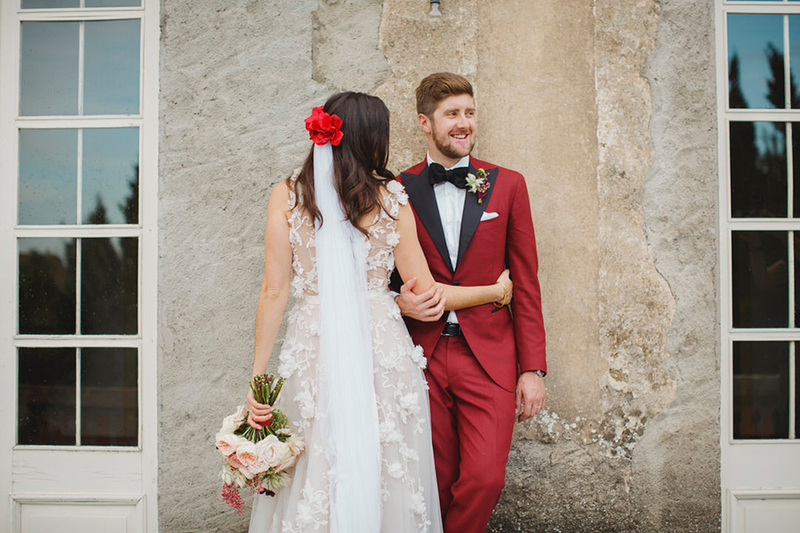 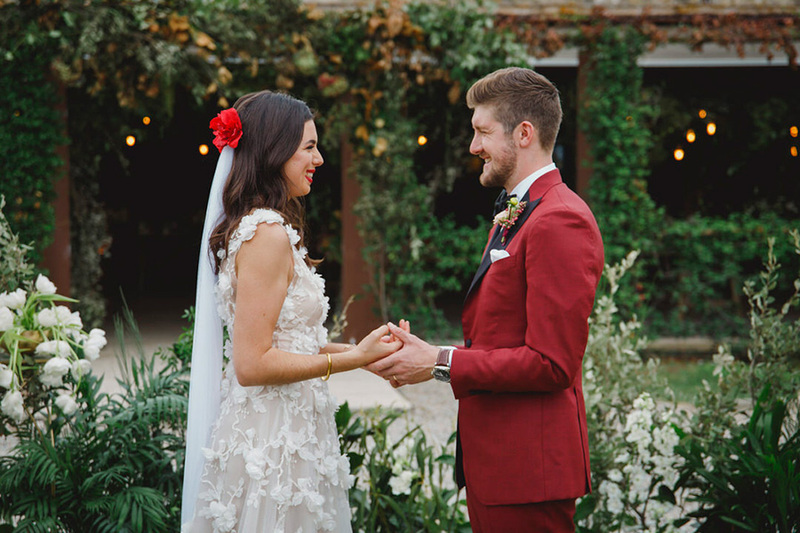 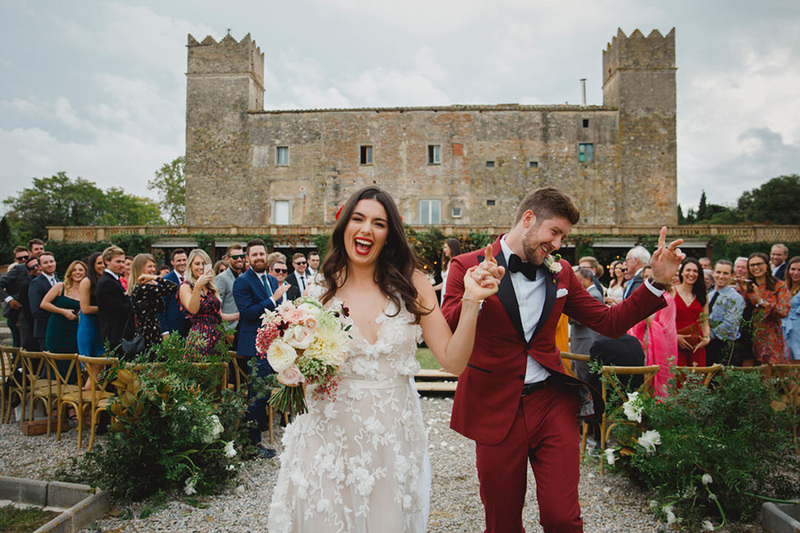 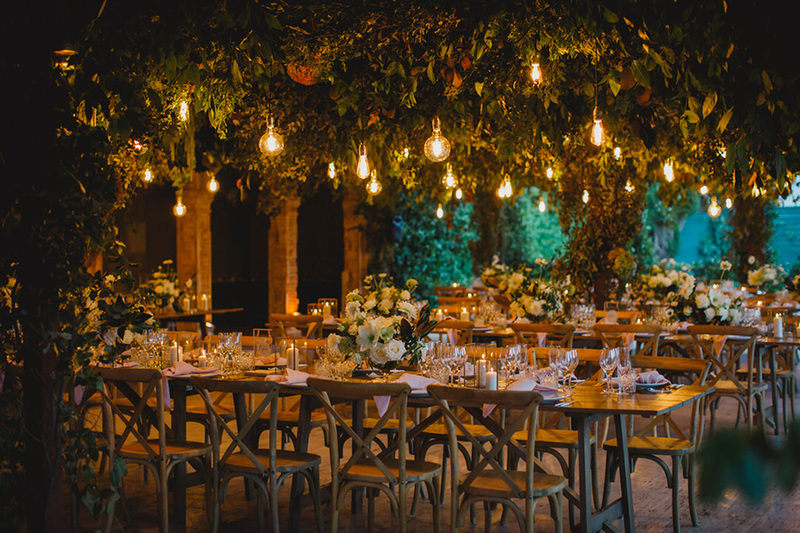 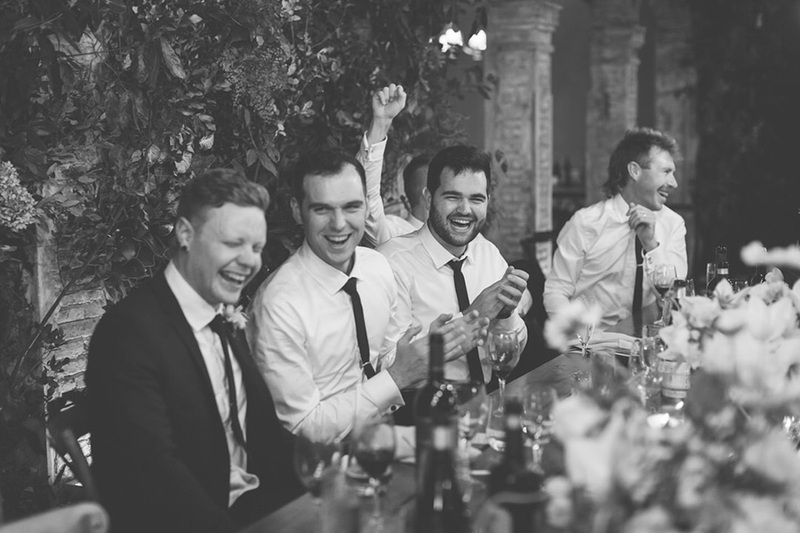 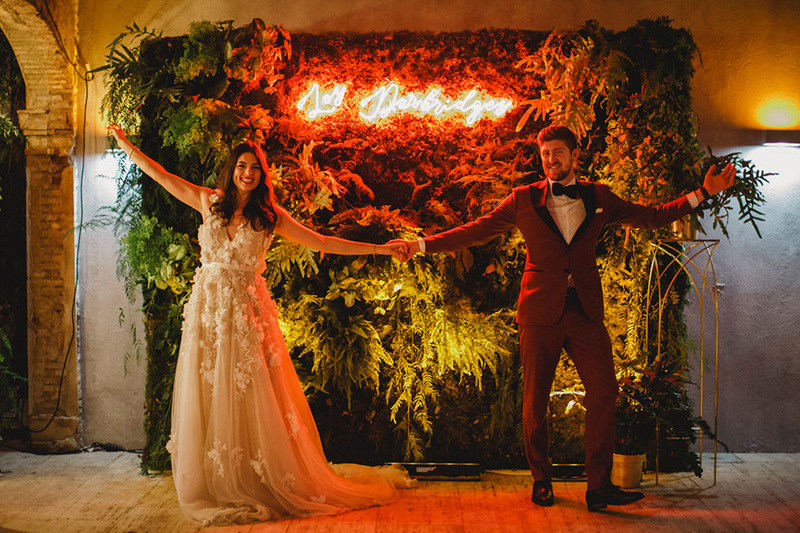 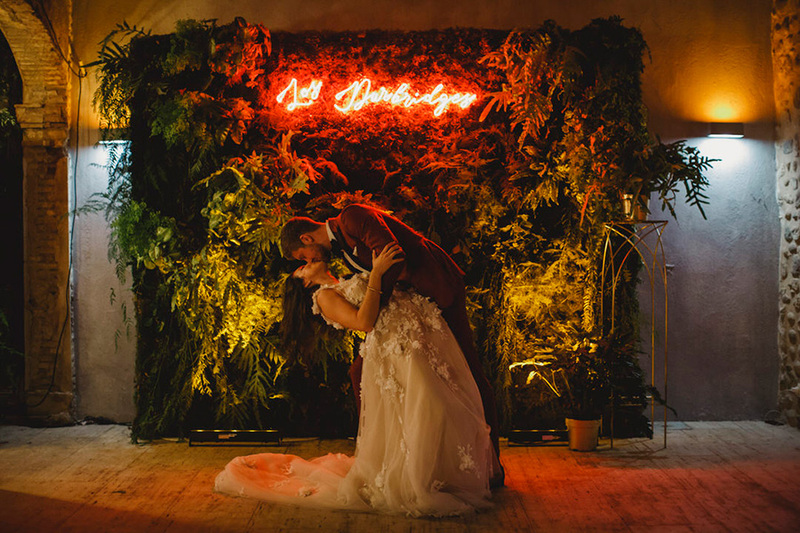 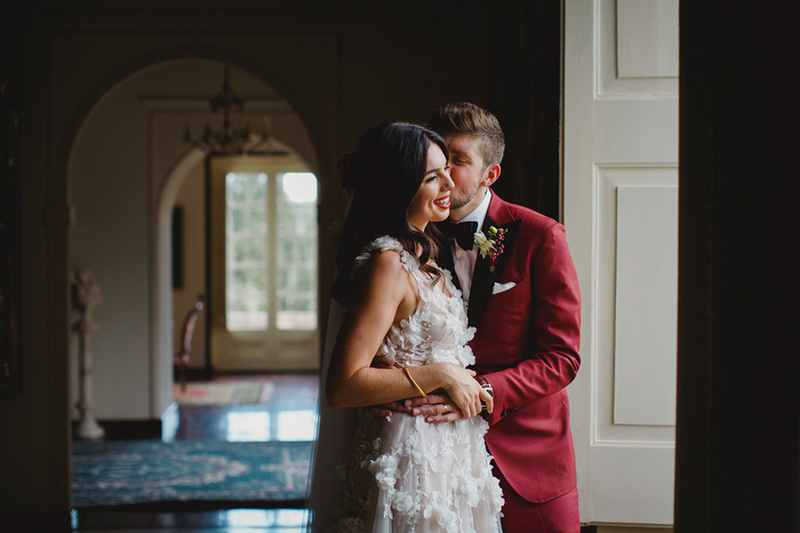 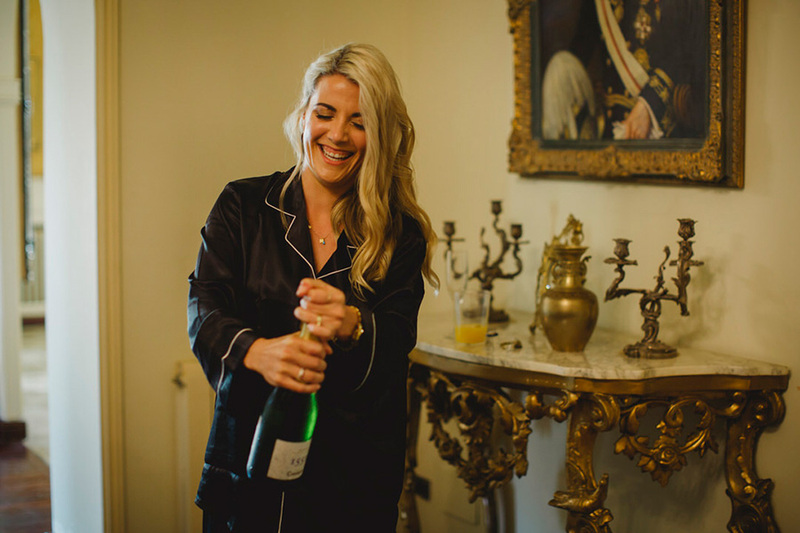 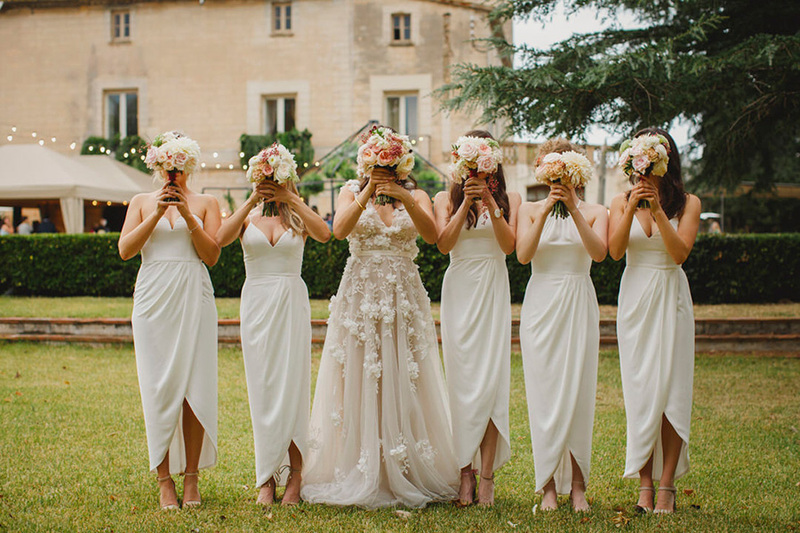 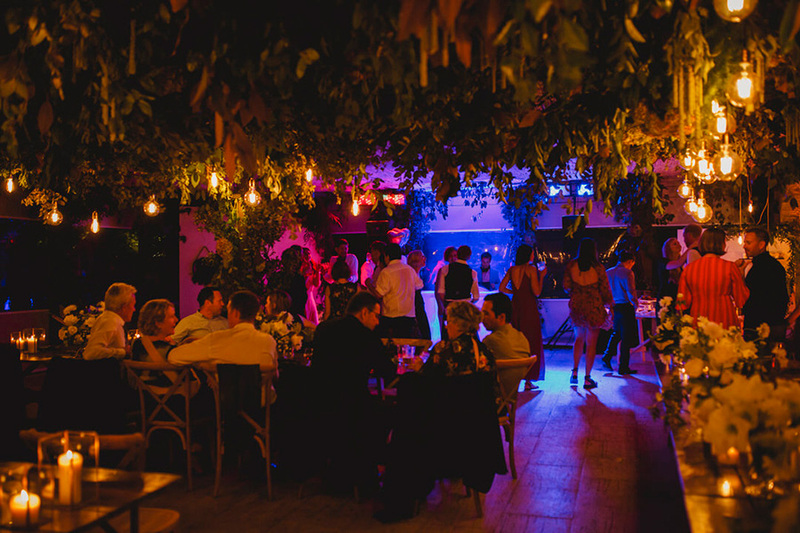 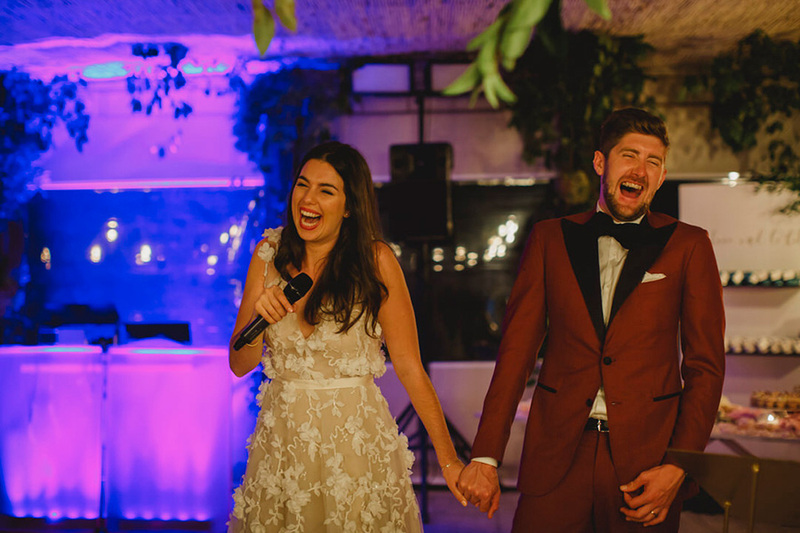 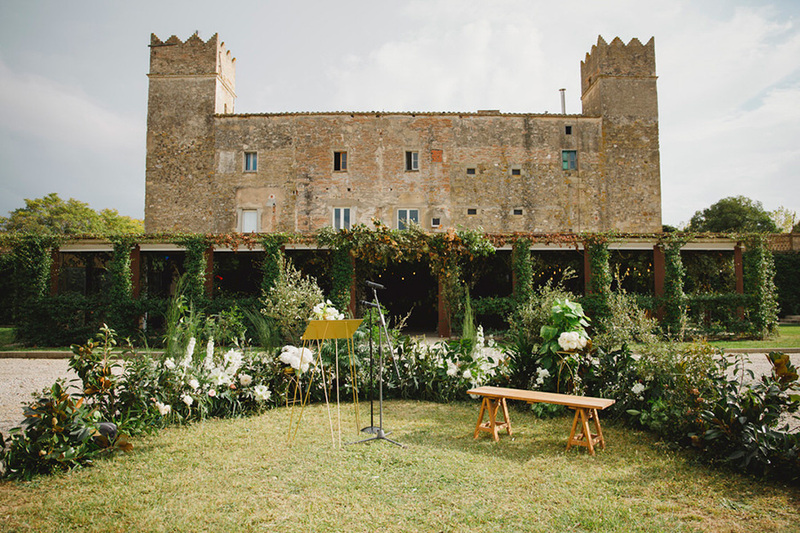 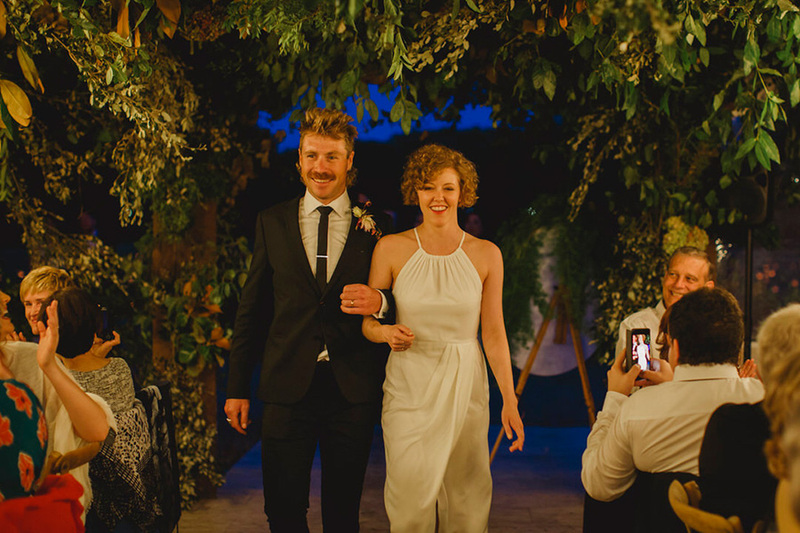 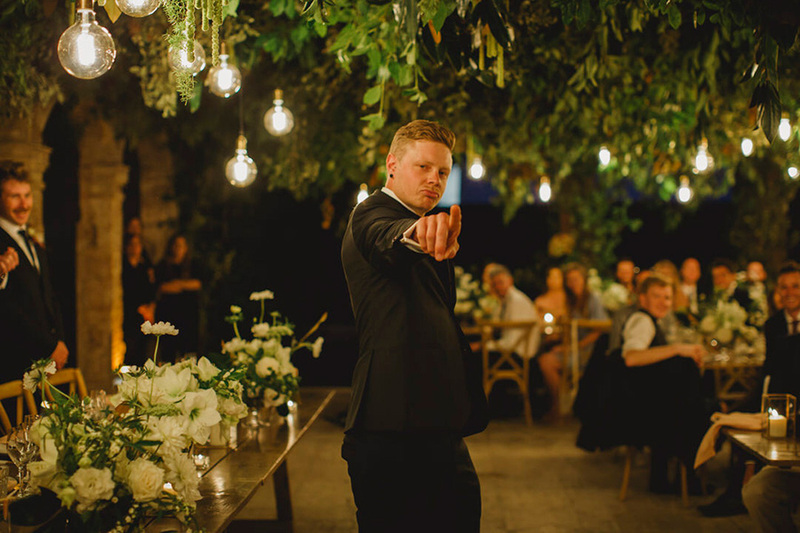 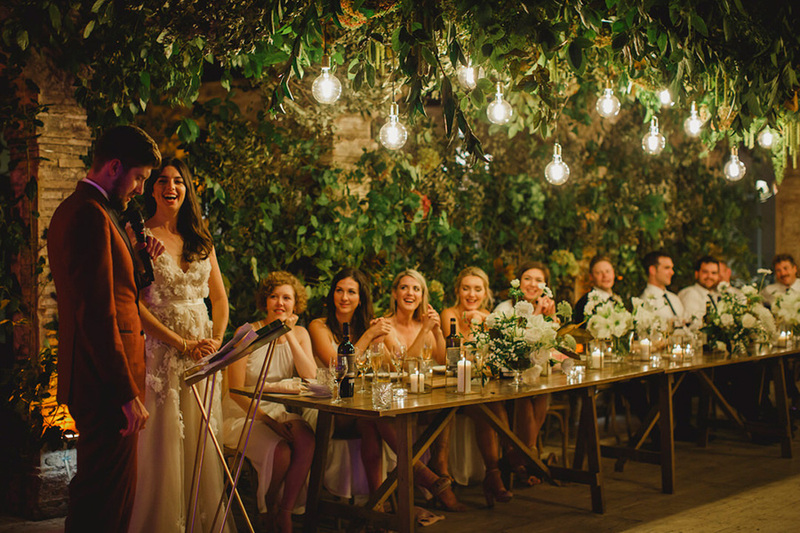 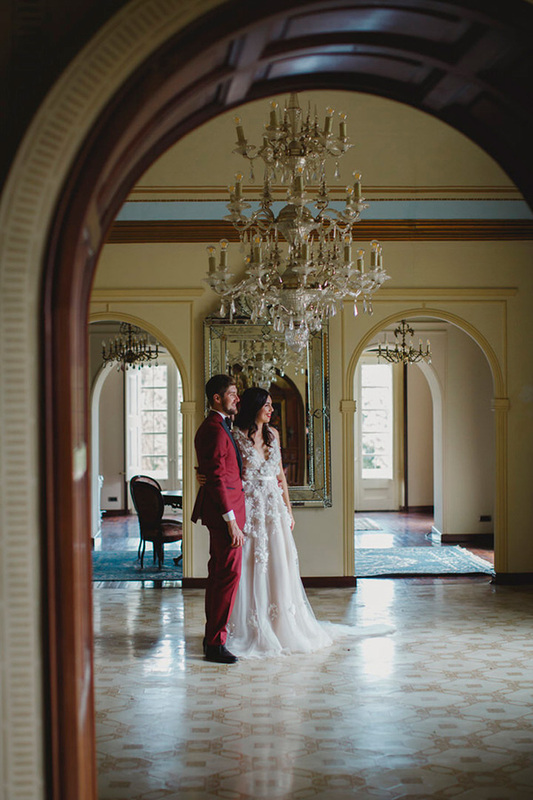 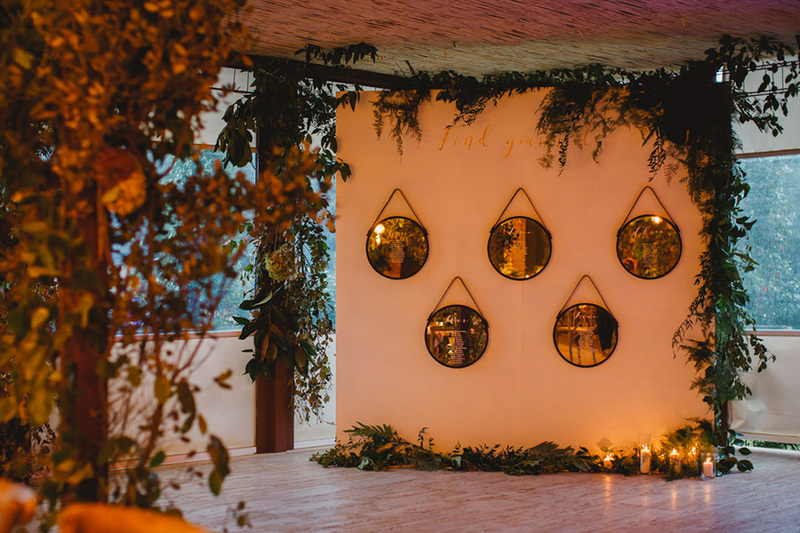 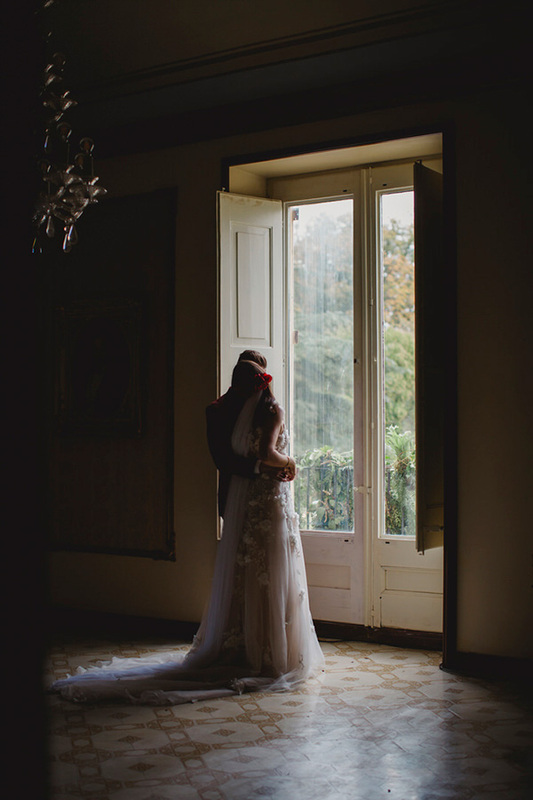 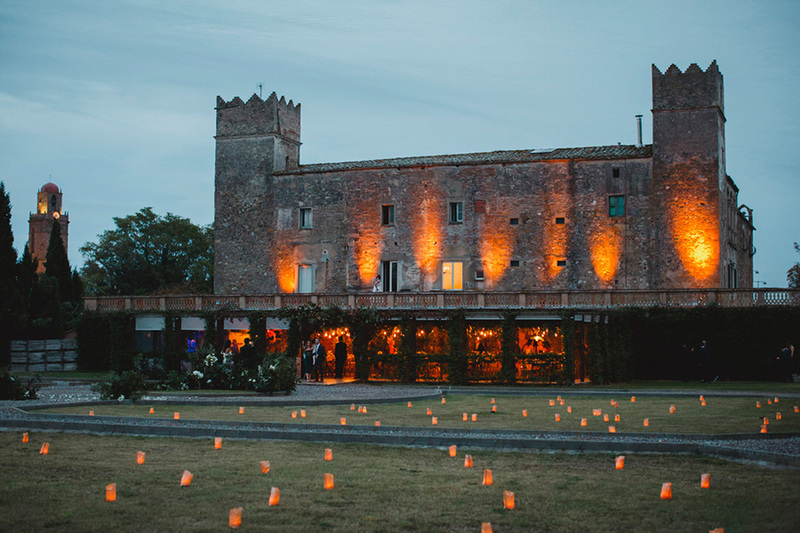 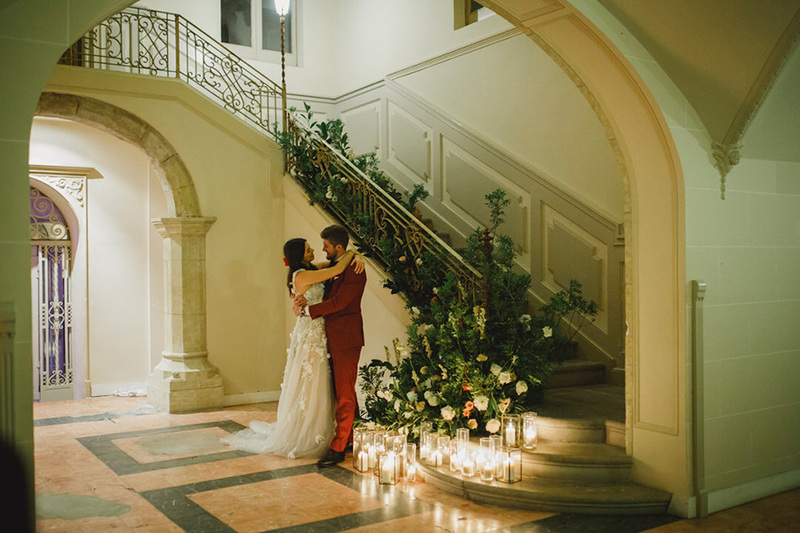 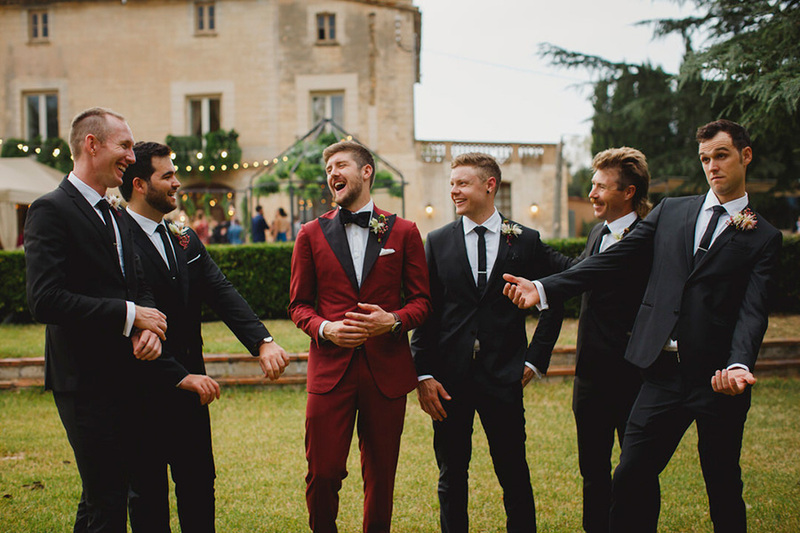 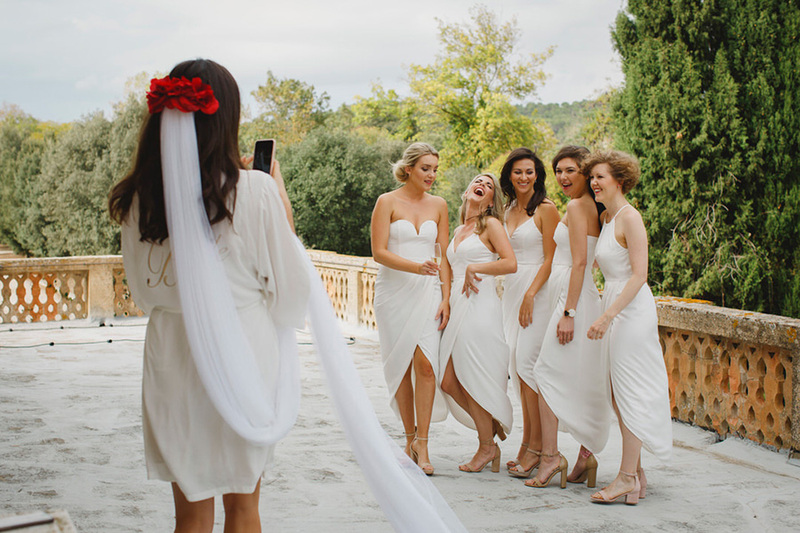 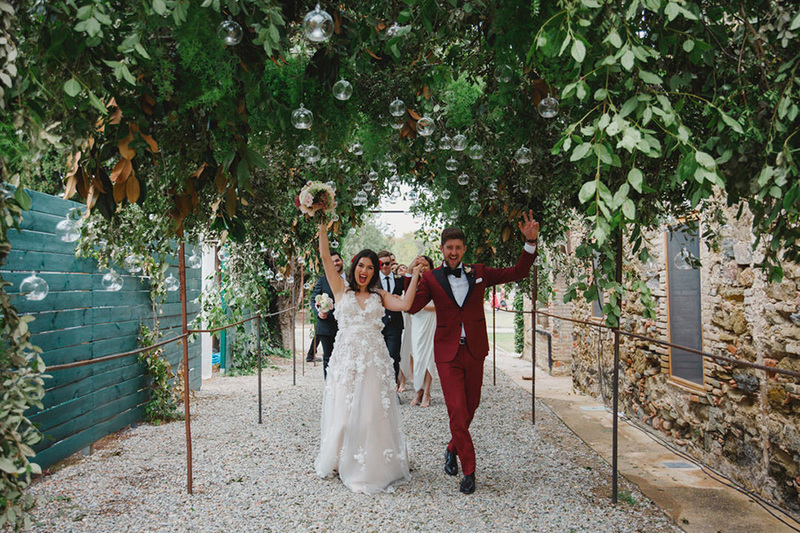 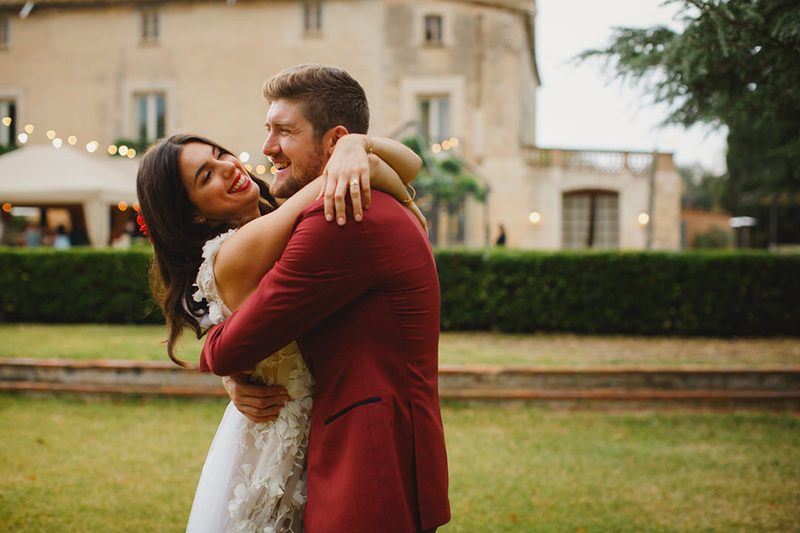 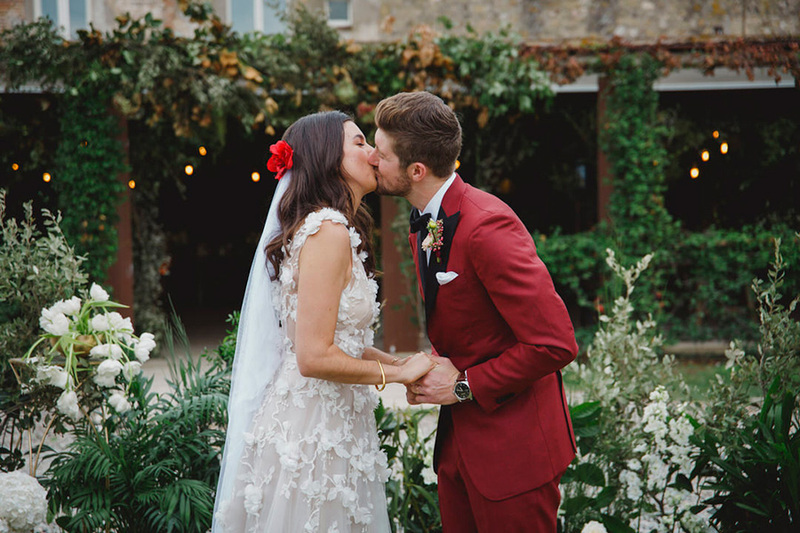 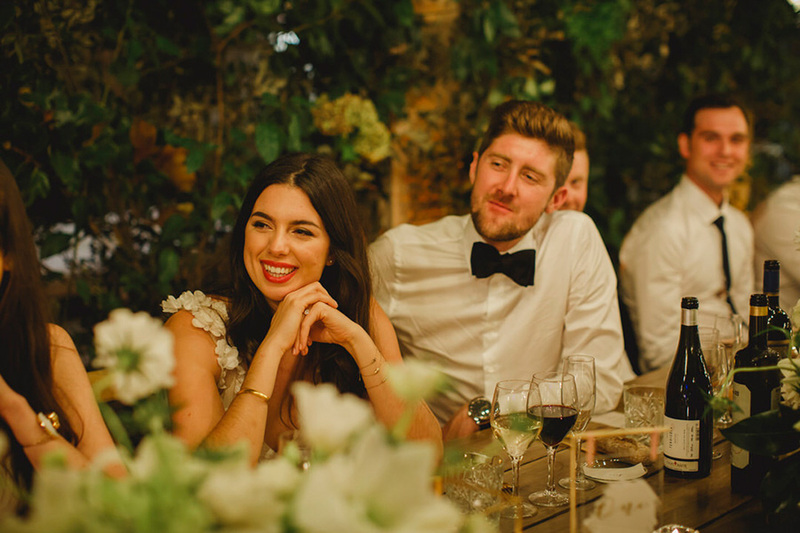 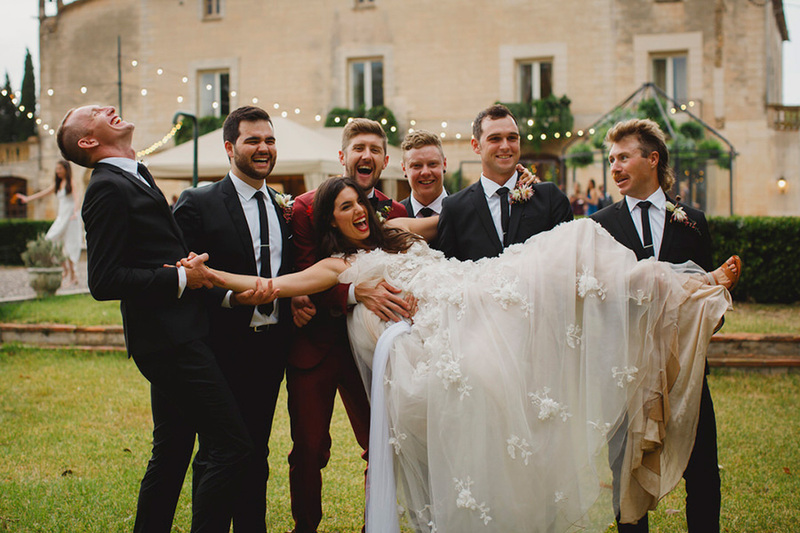 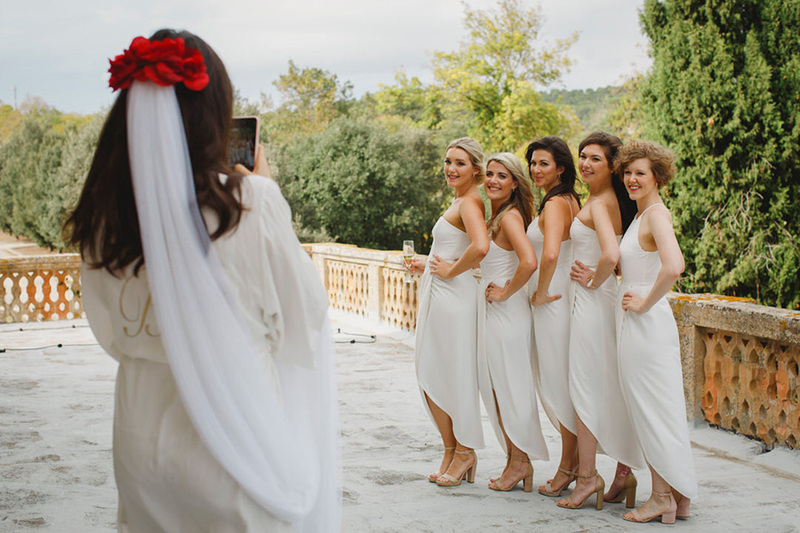 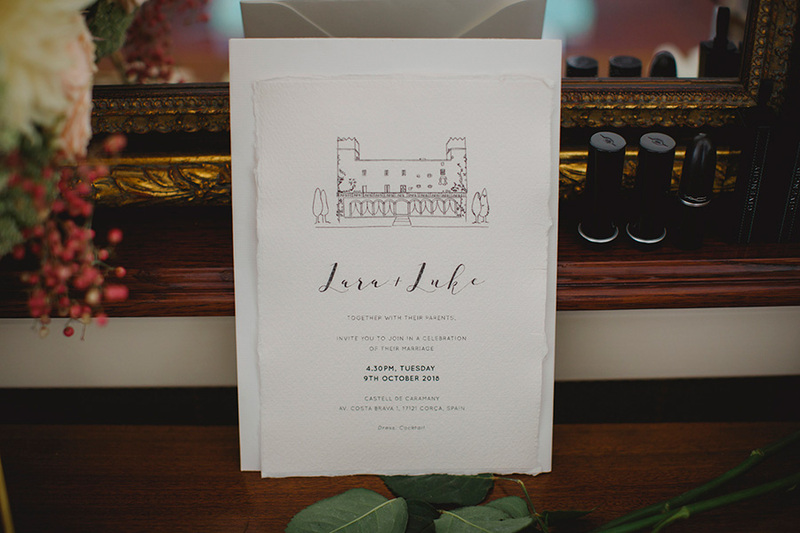 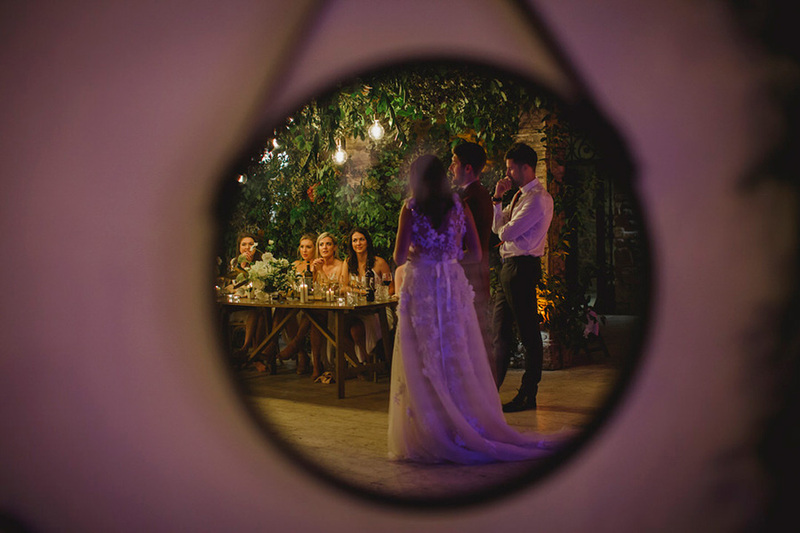 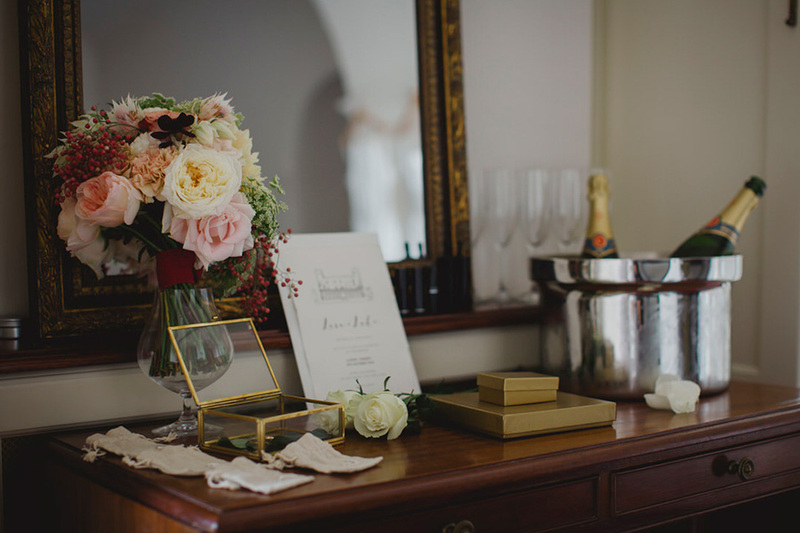 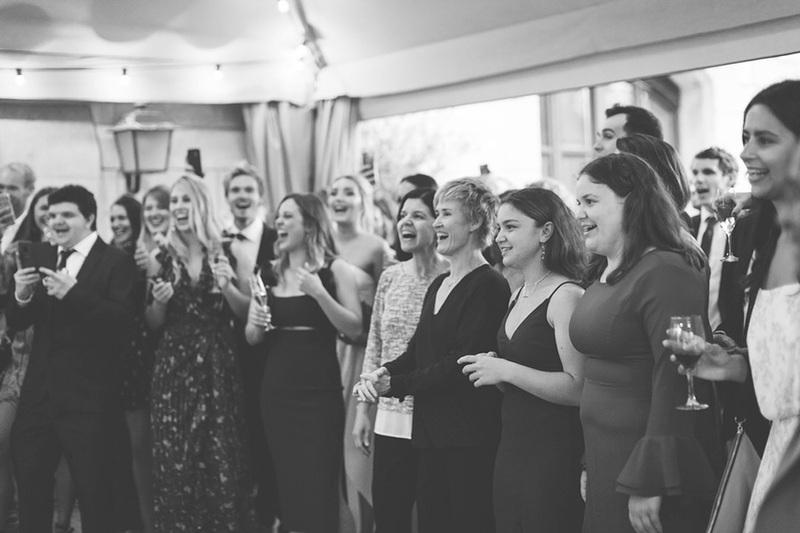 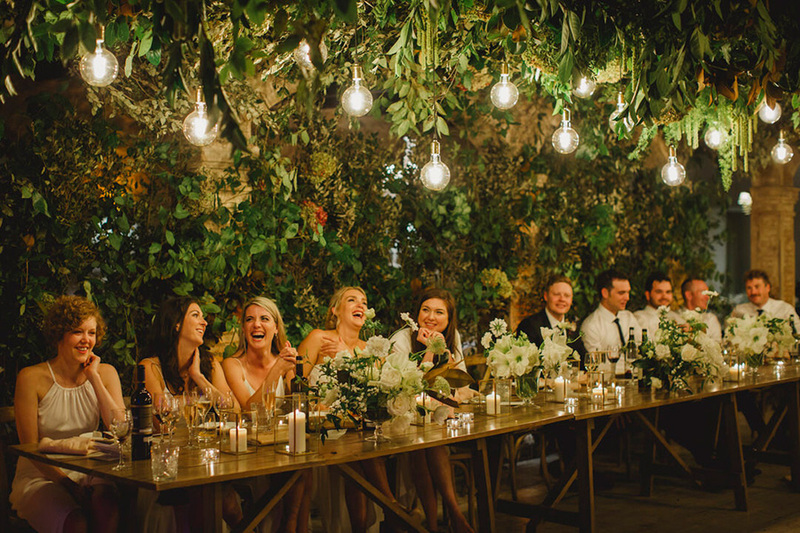 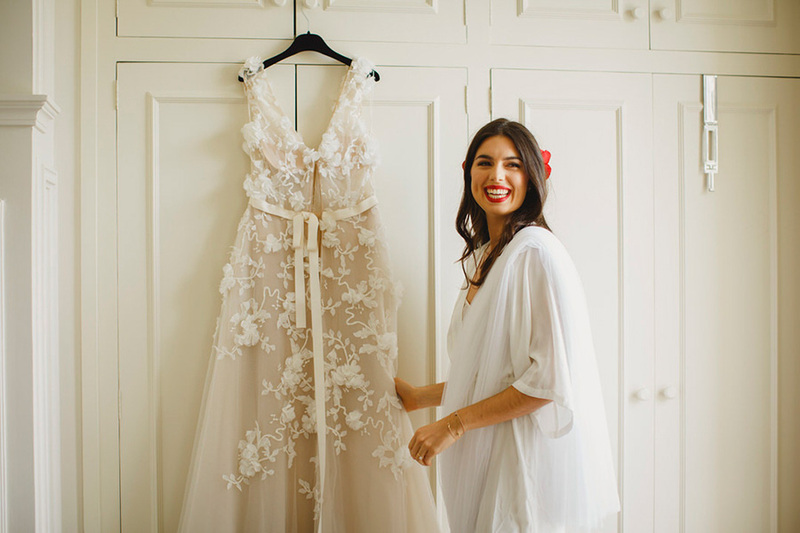 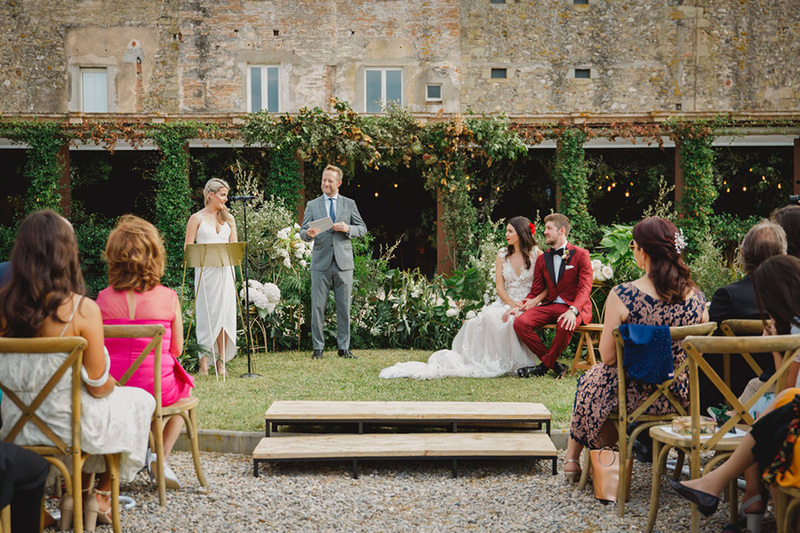 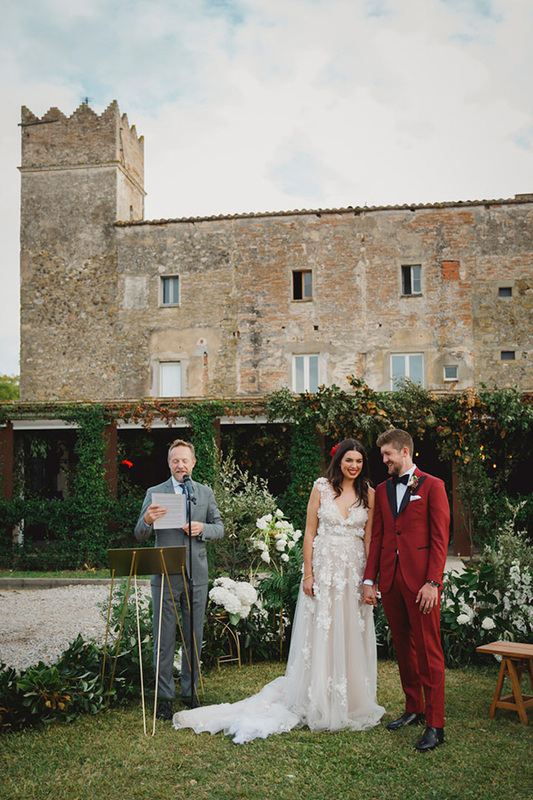 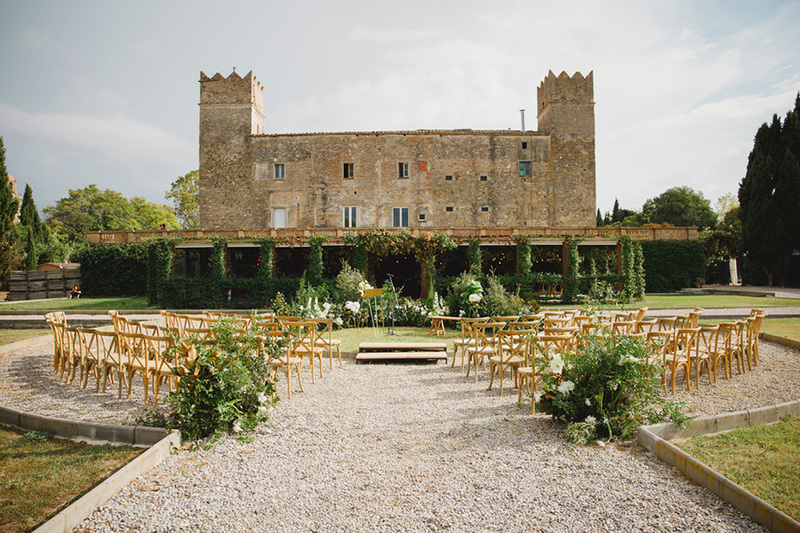 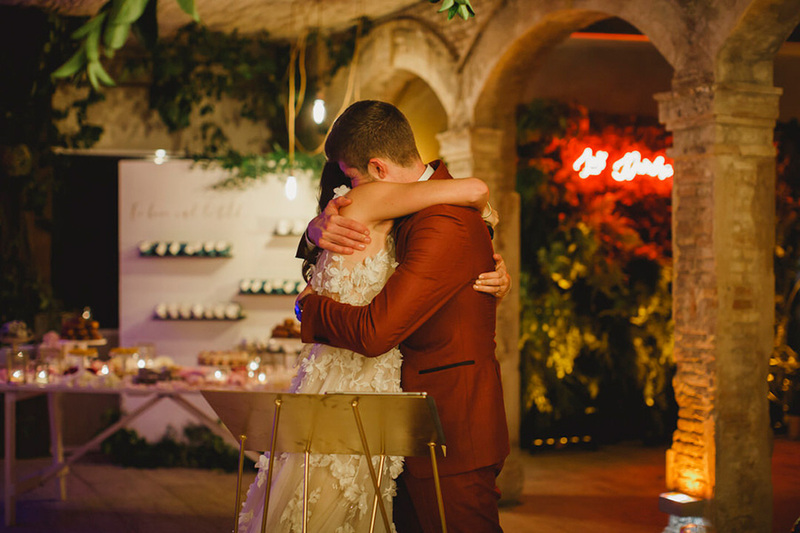 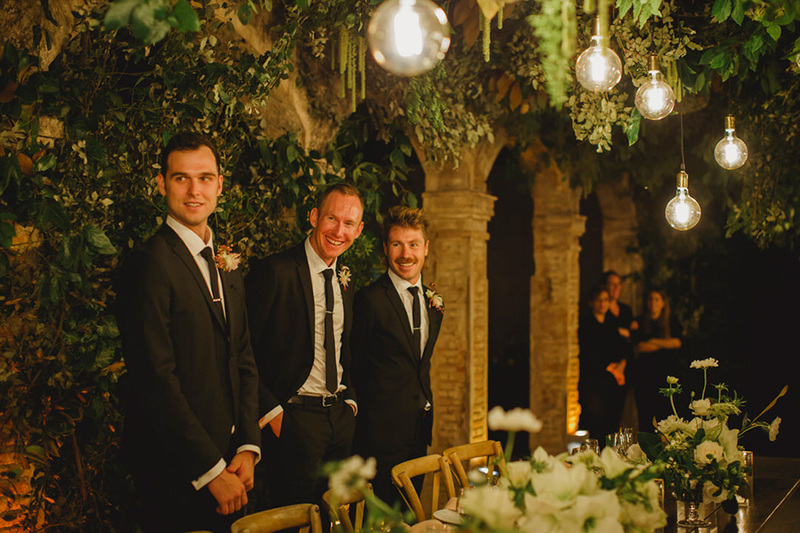 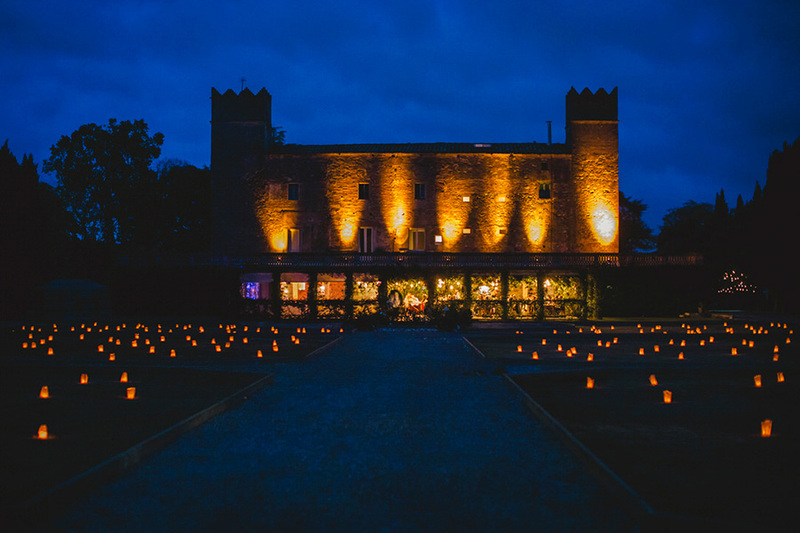 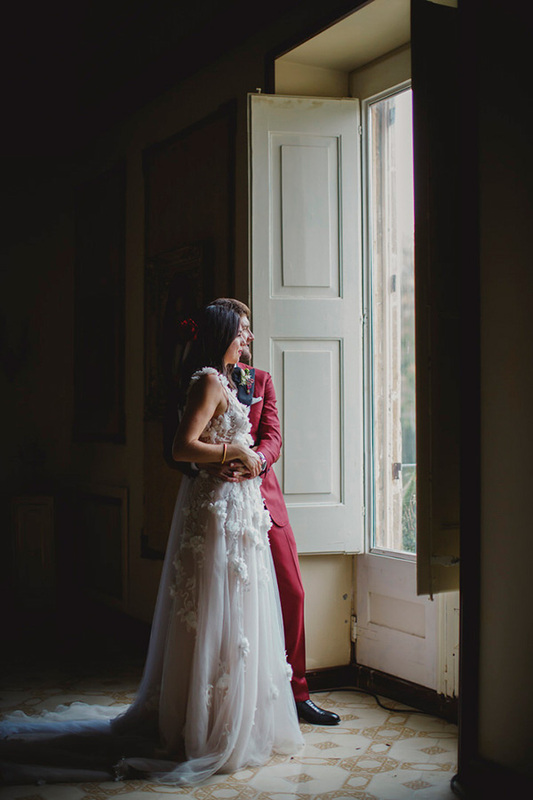 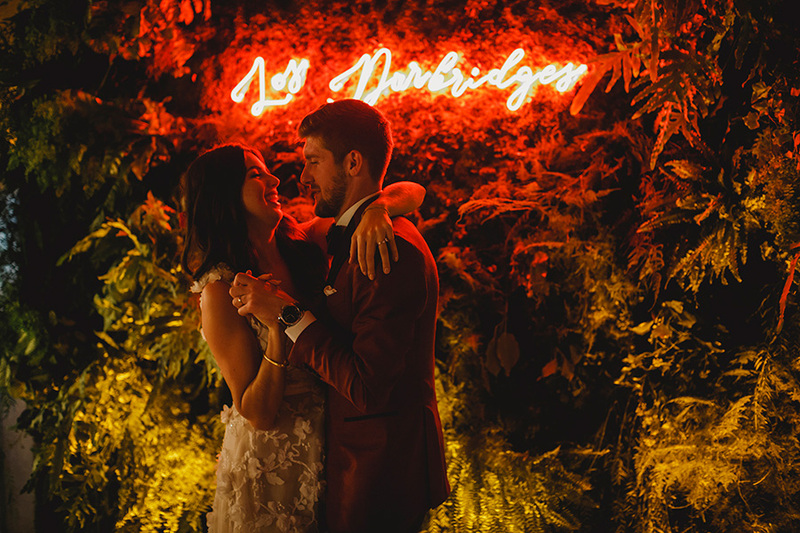 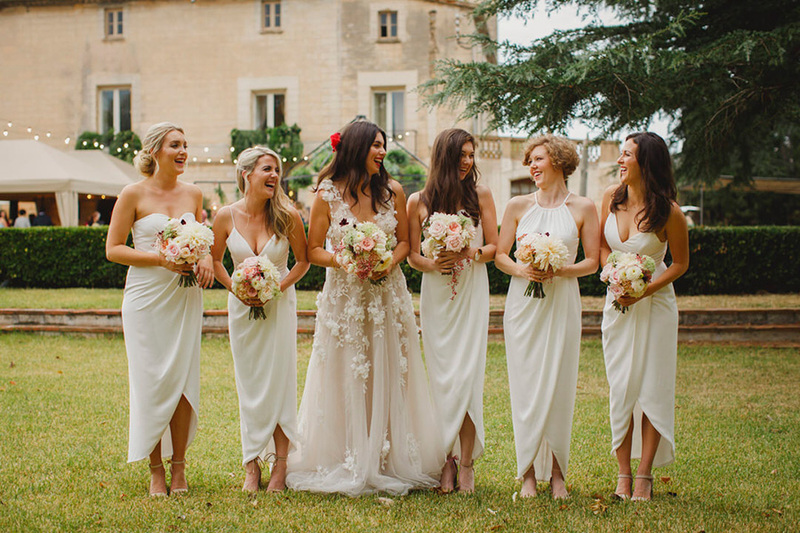 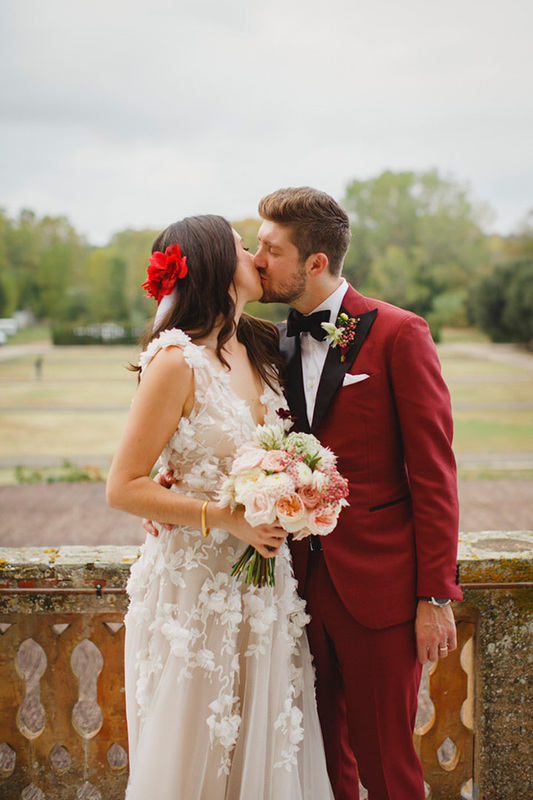 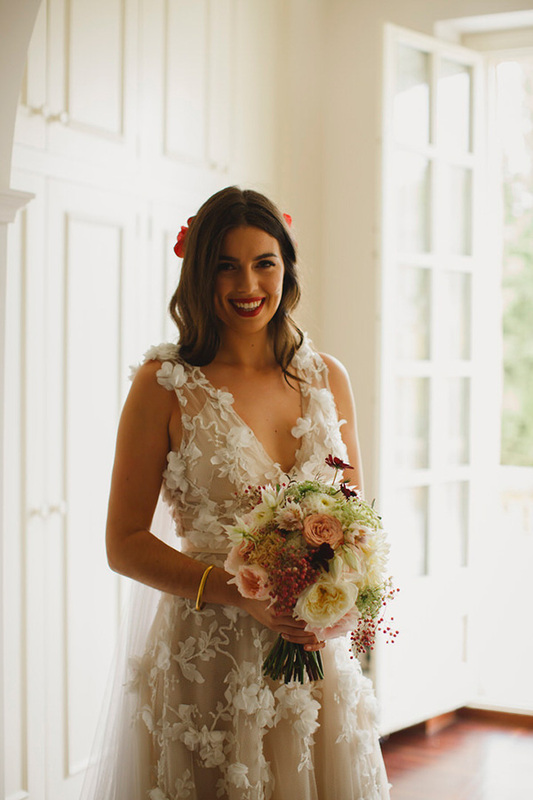 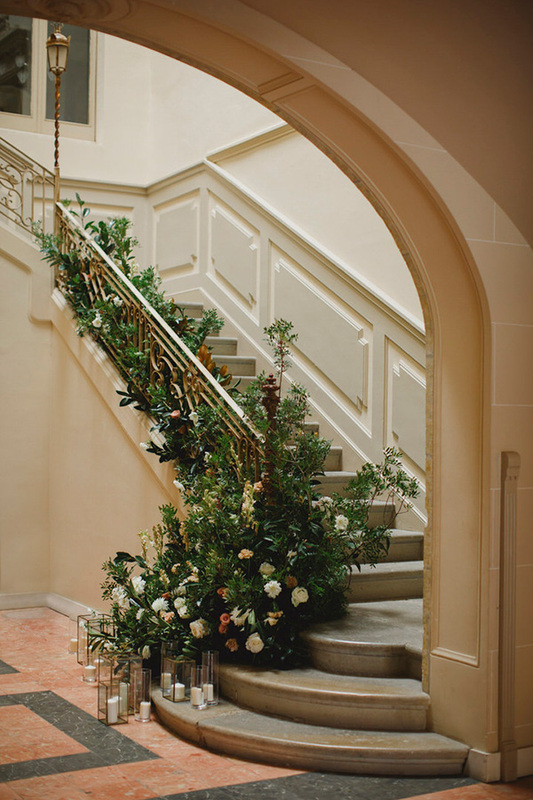 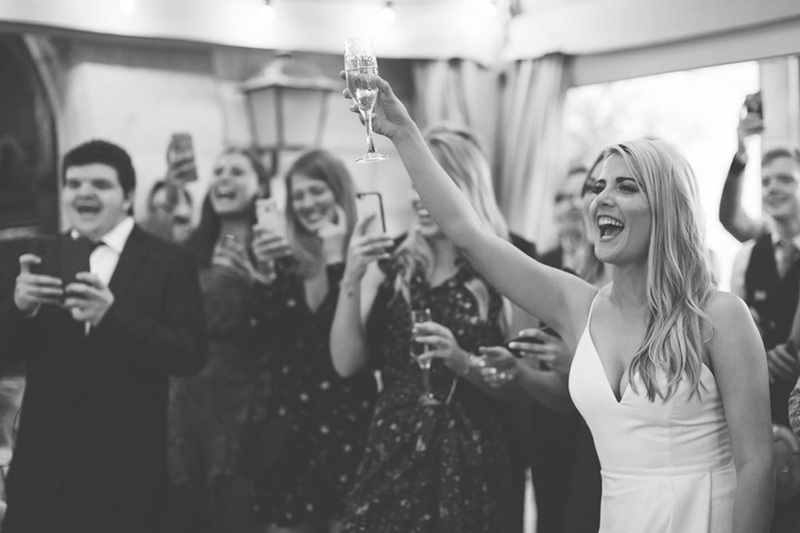 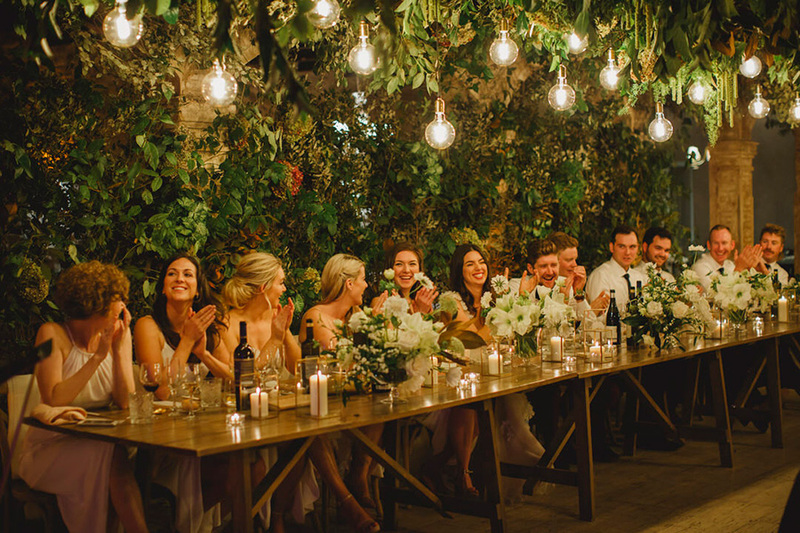 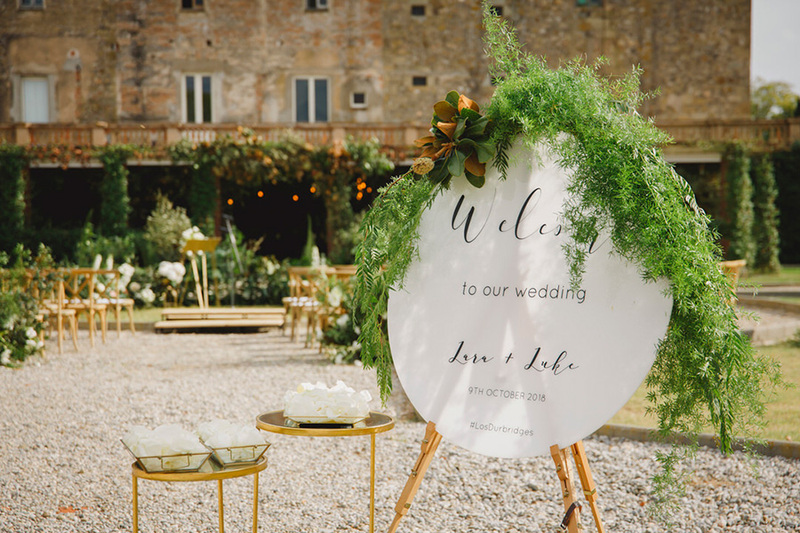 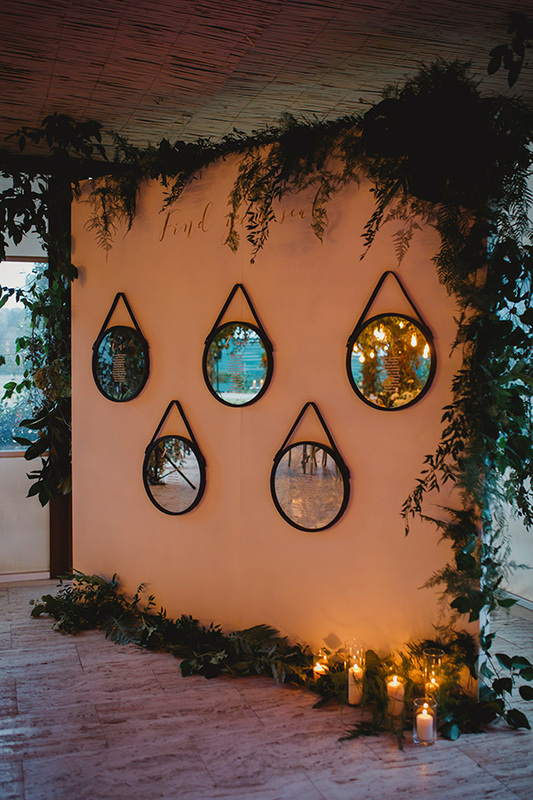 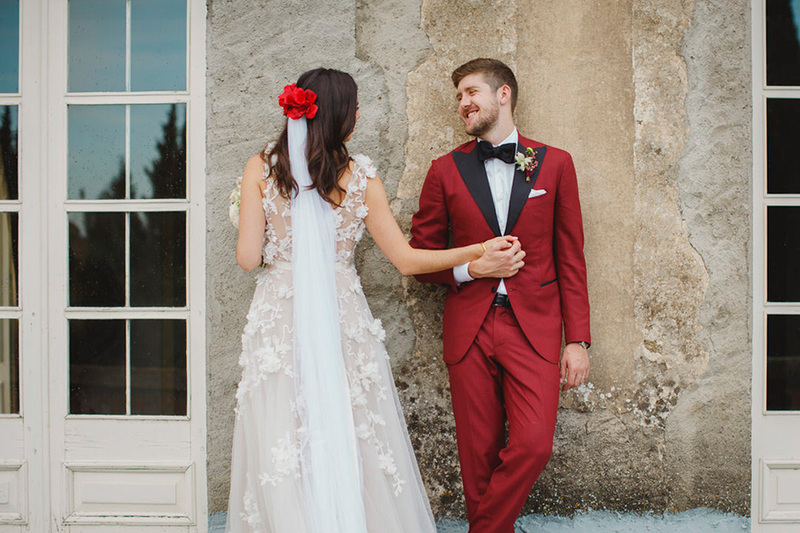 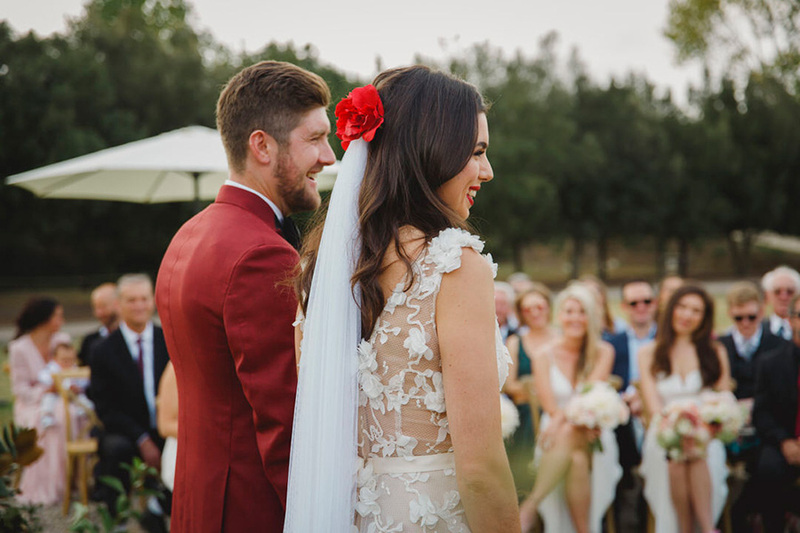 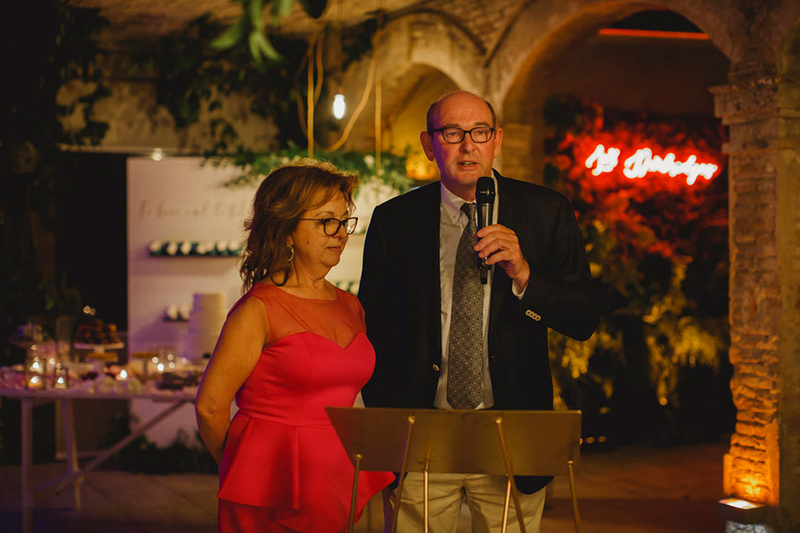 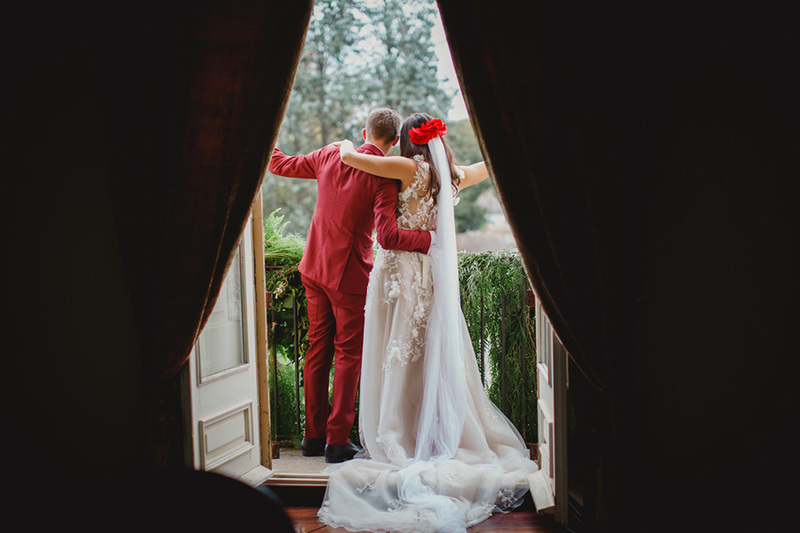 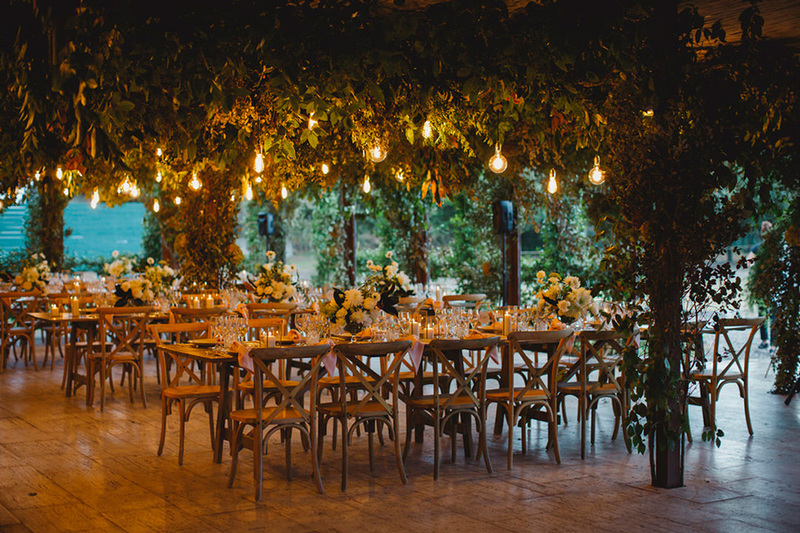 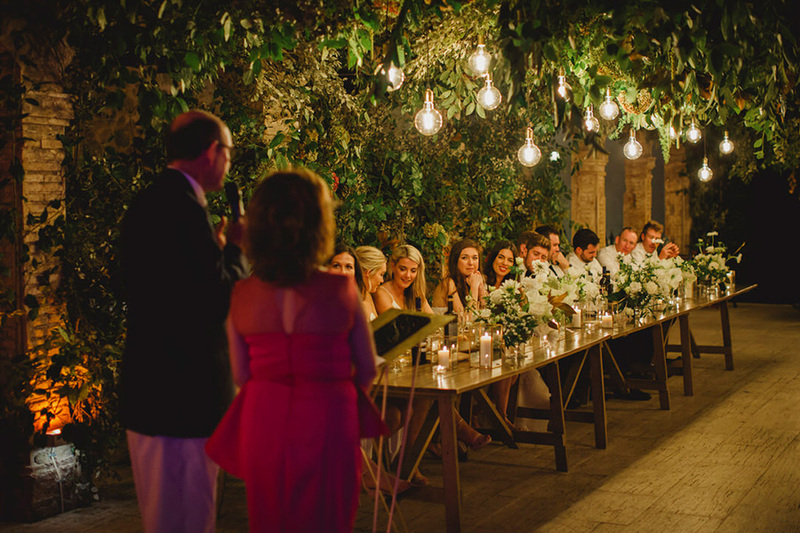 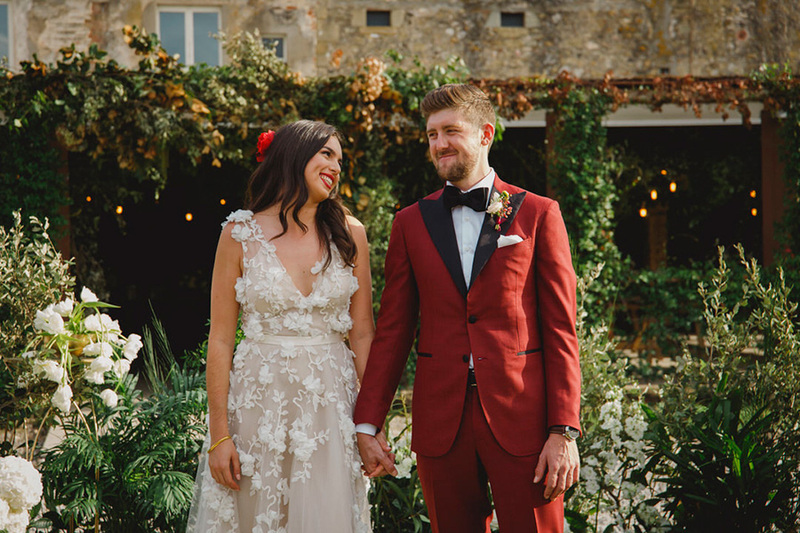 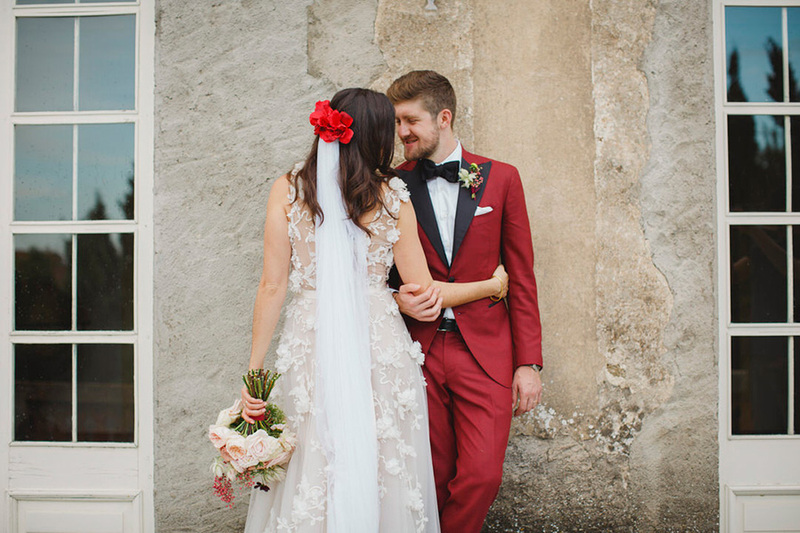 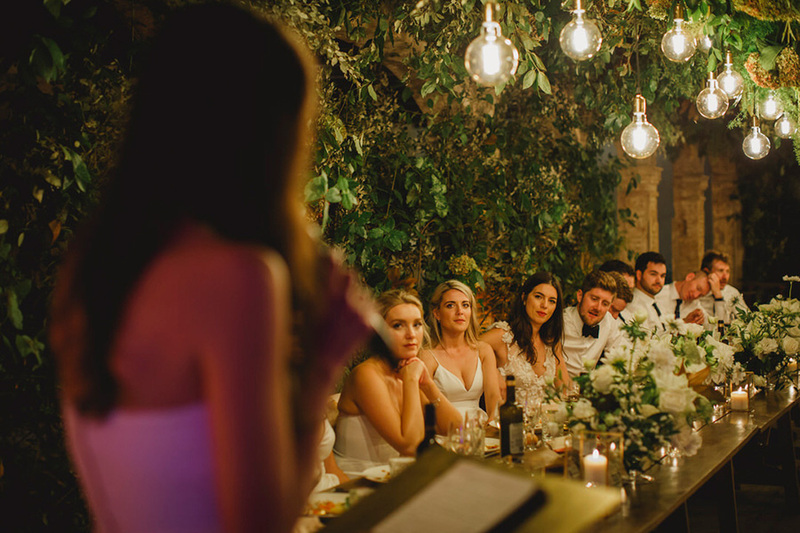 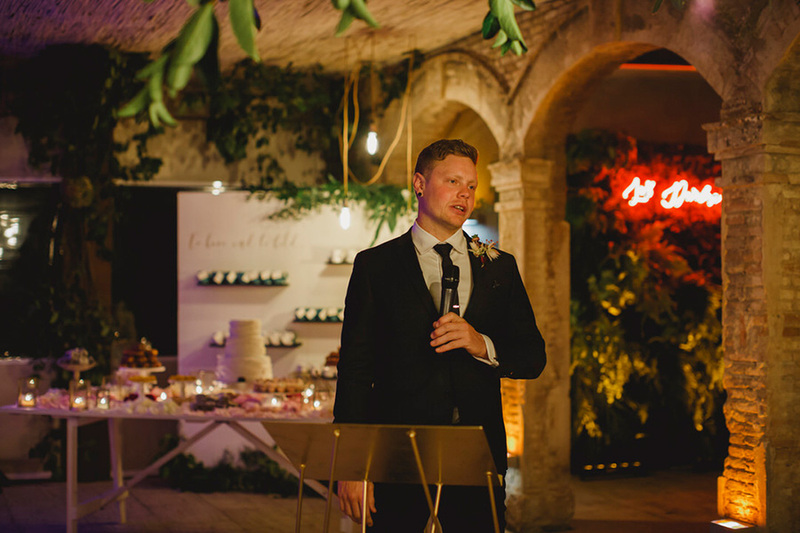 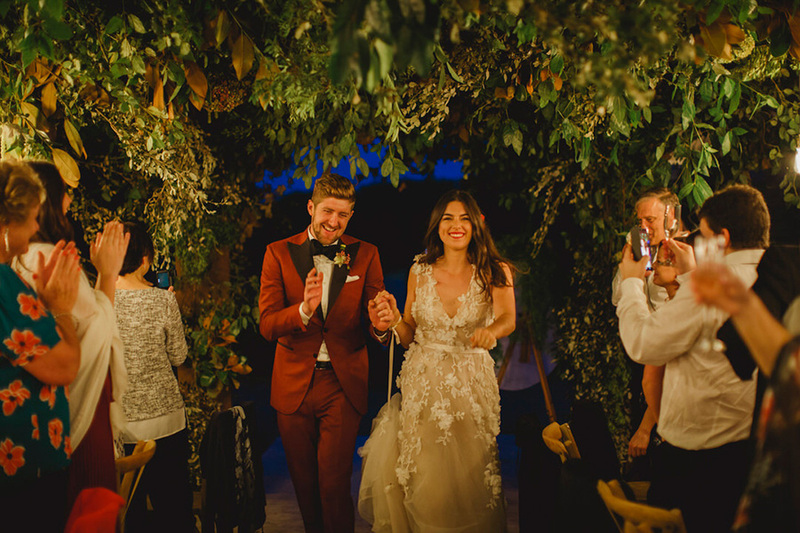 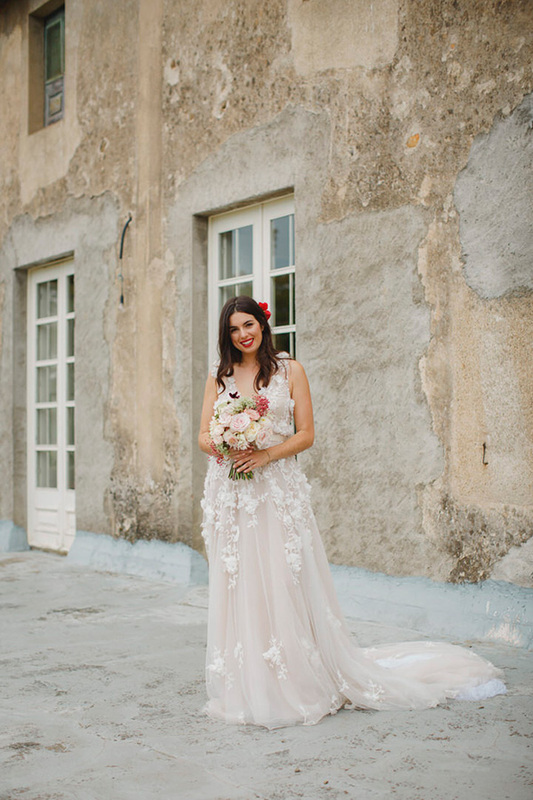 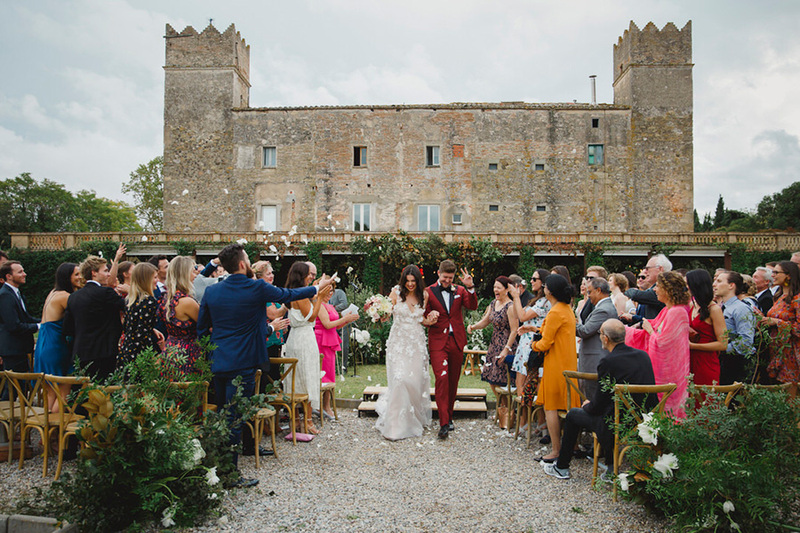 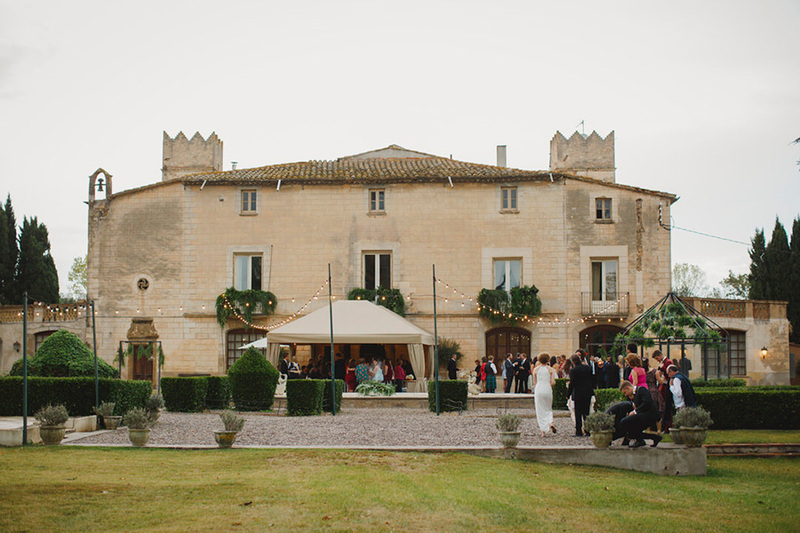 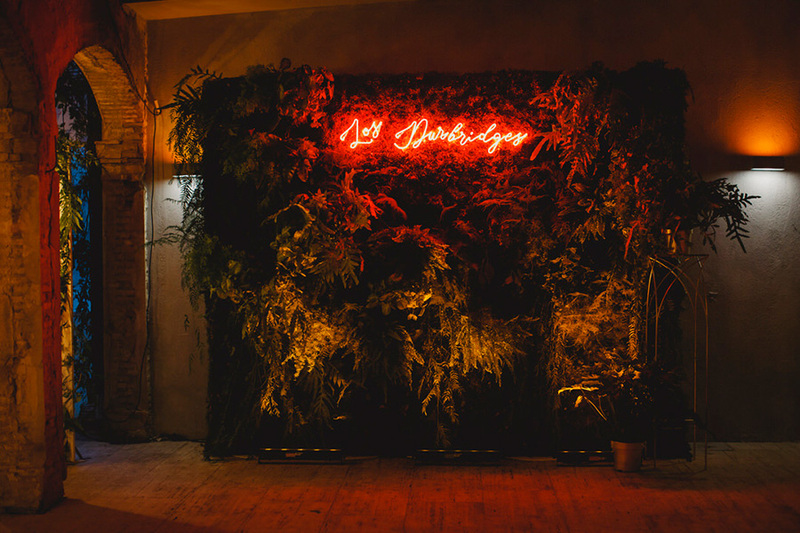 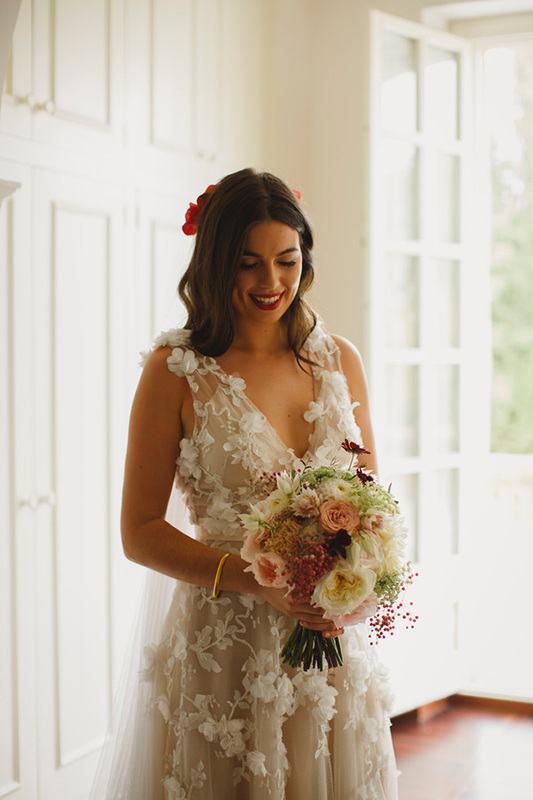 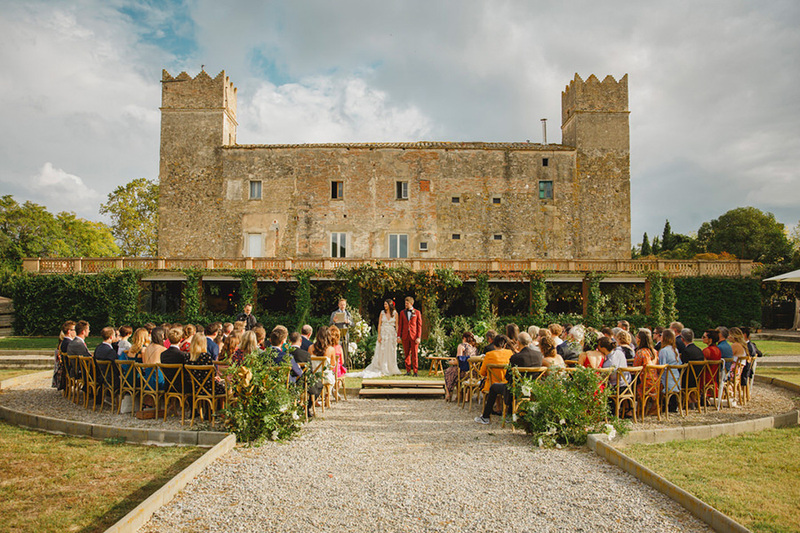 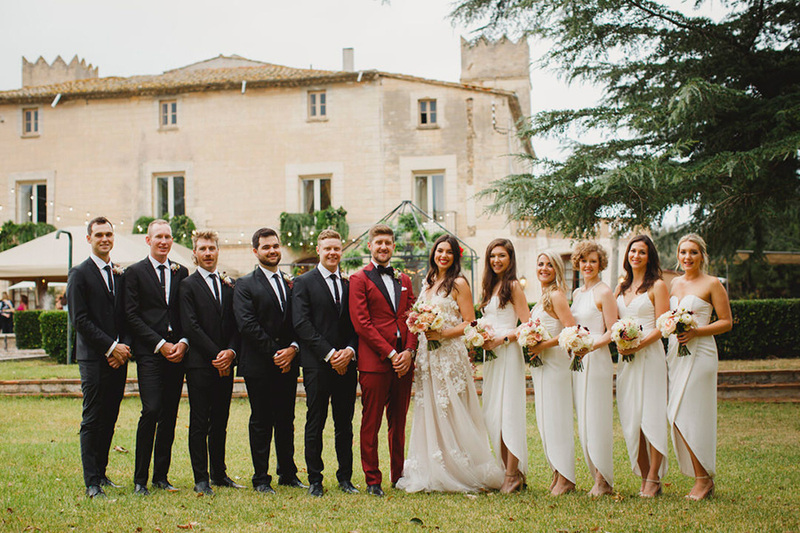 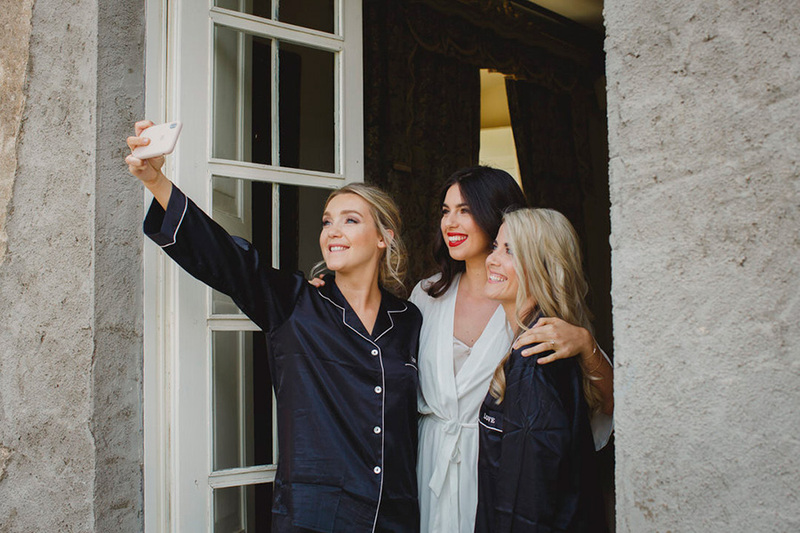 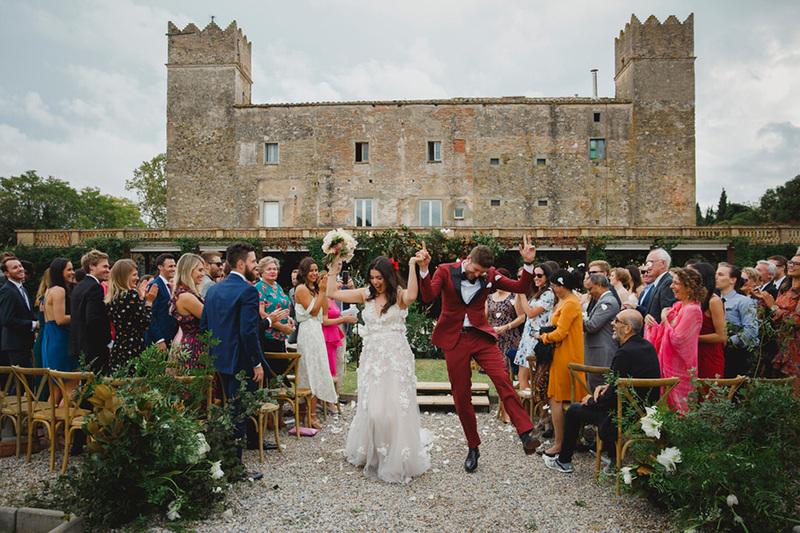 It’s difficult to explain what was more outstanding in this wedding when everything was a dream, from the elegant flowers and greenery to the oneiric lightning, from the romantic castle to the charming red lips of the bride, from the bold burgundy suit of the groom to the trendy bespoke neon sign. 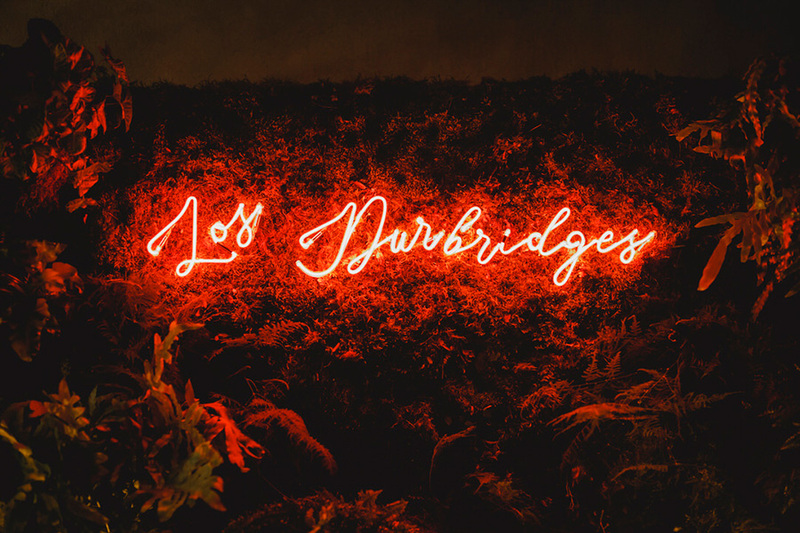 They are “Los Durbridges” for everybody and will always be.